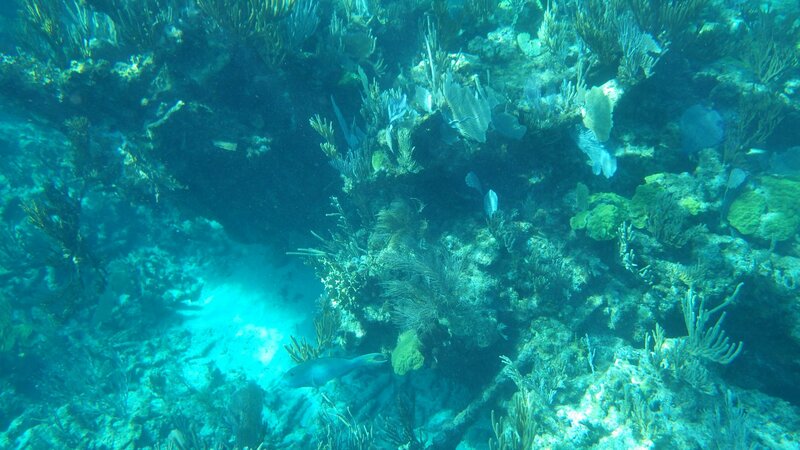 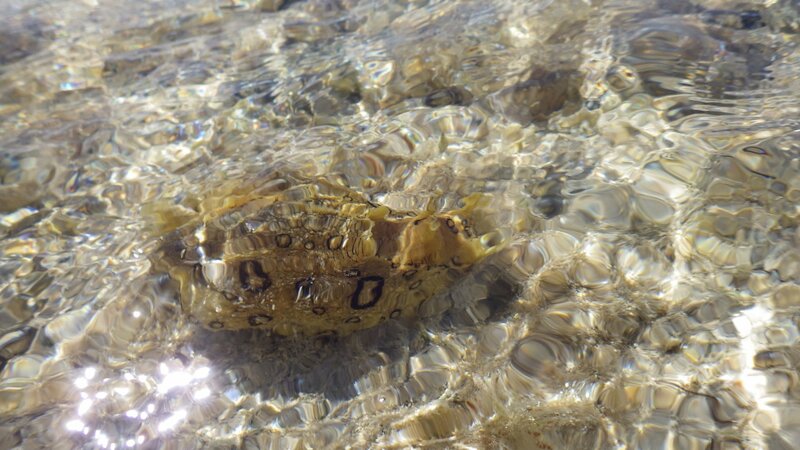 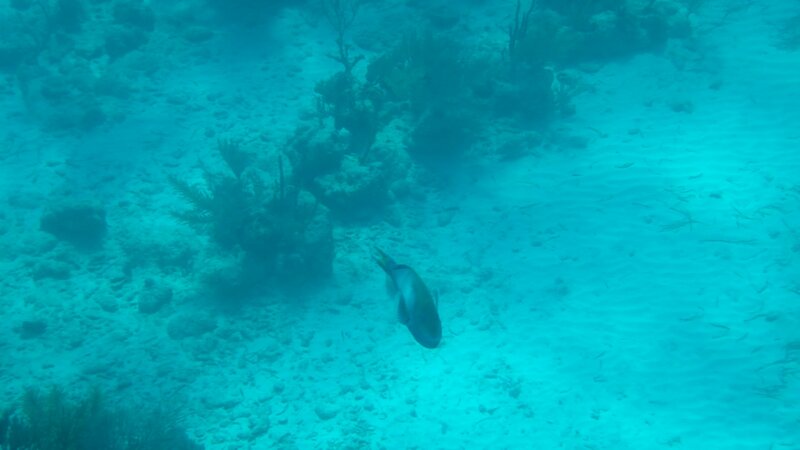 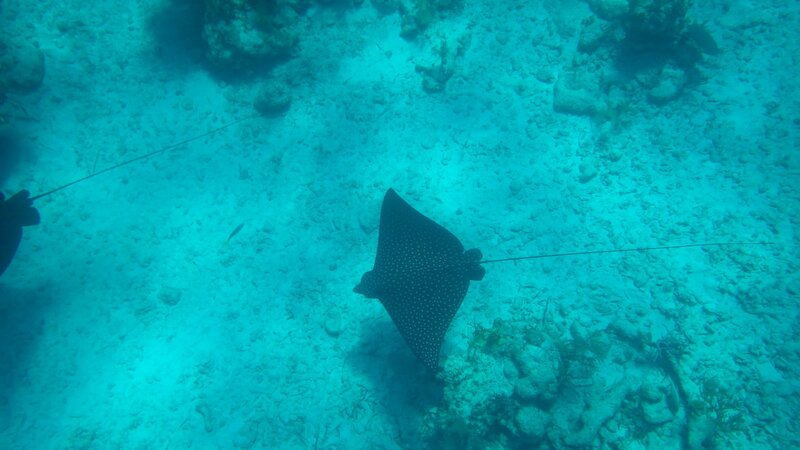 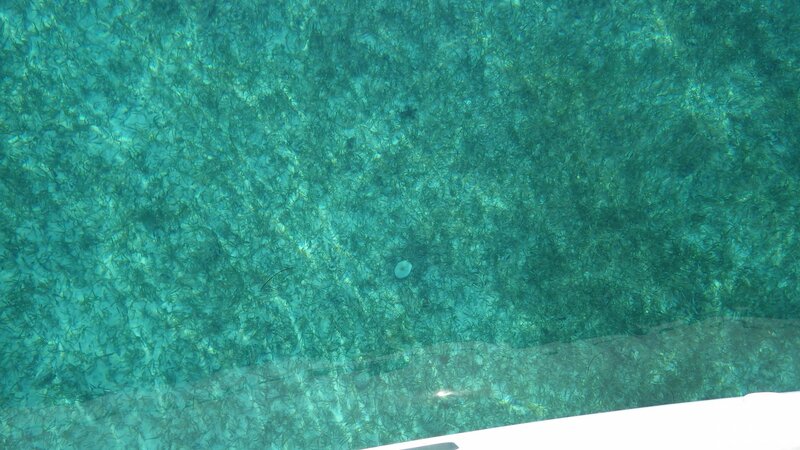 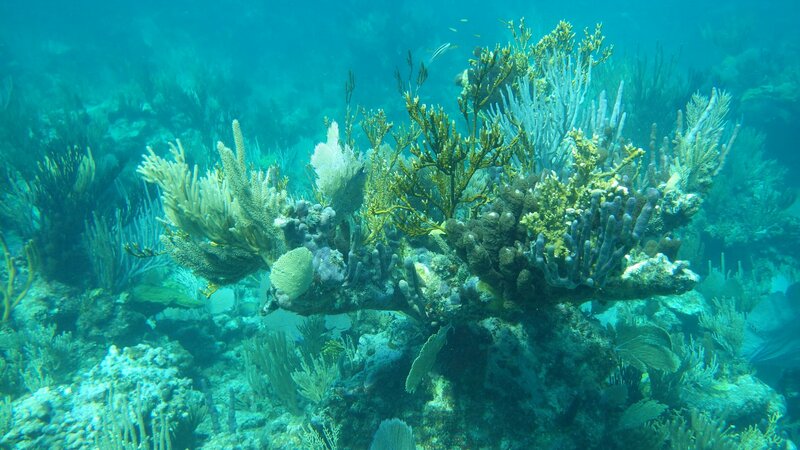 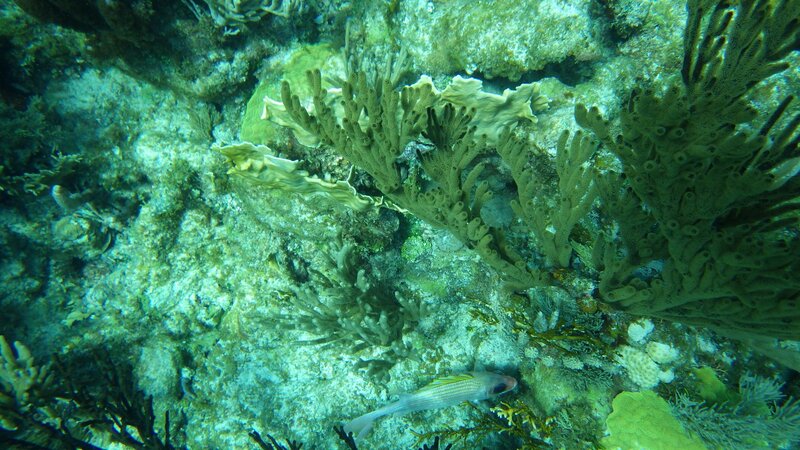 Had a good snorkeling around coral reef � seen lots of fish, sting rays cruising below. 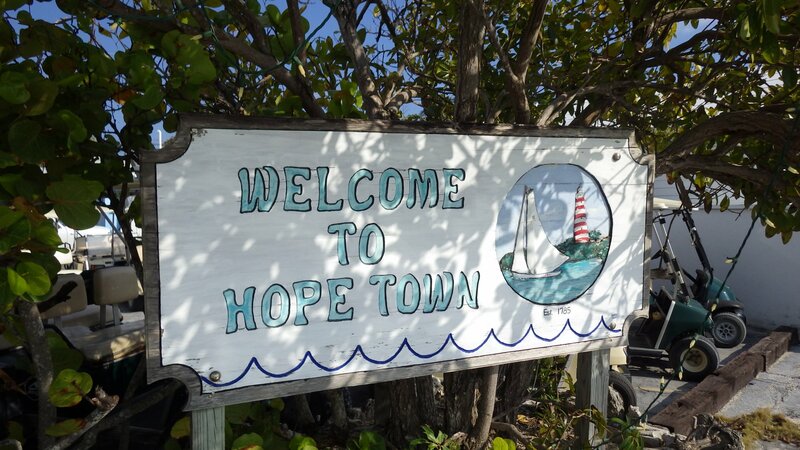 Visited a pretty Hope Town. 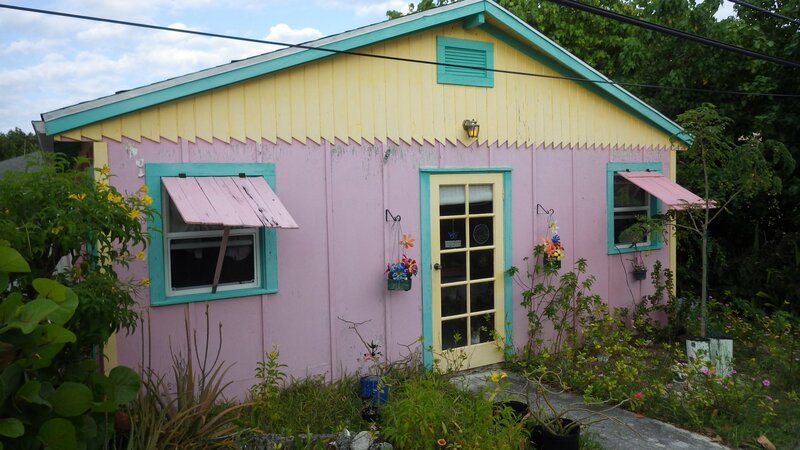 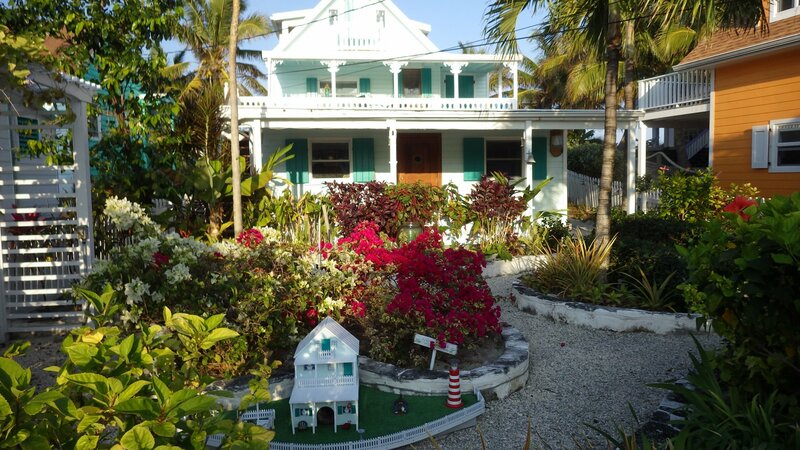 Mostly cottages, occupied by resident or vacationing Americans. 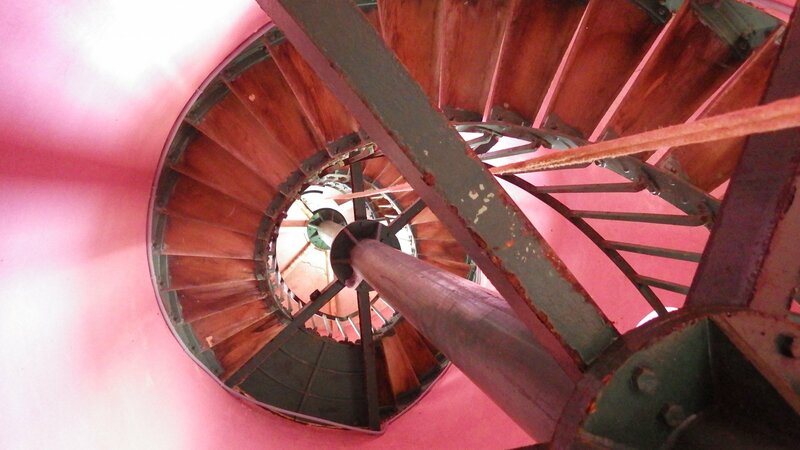 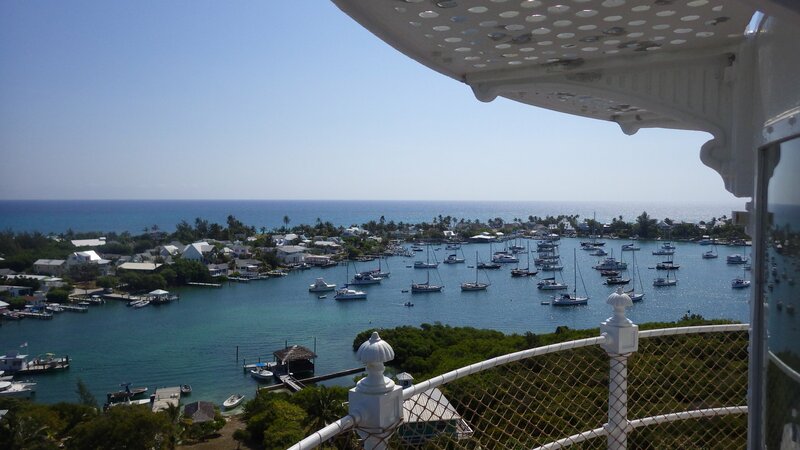 Views from the top of the landmark lighthouse are beautiful, well worth the climb up. 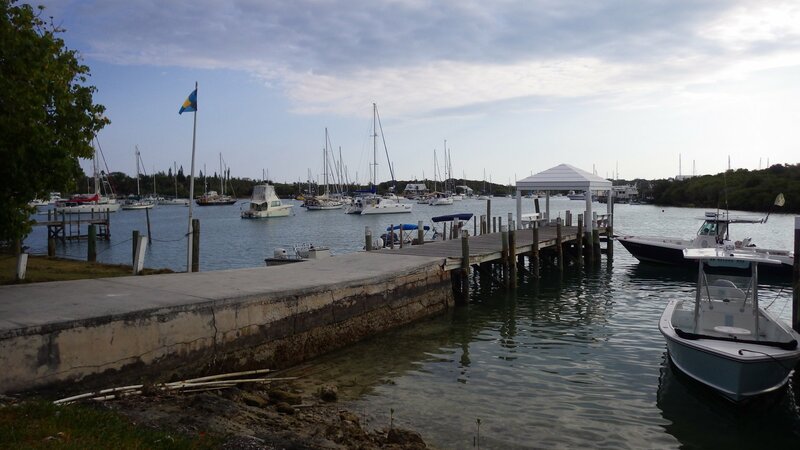 The town's inner arbour is small and there is no place to anchor, so we anchored outside. 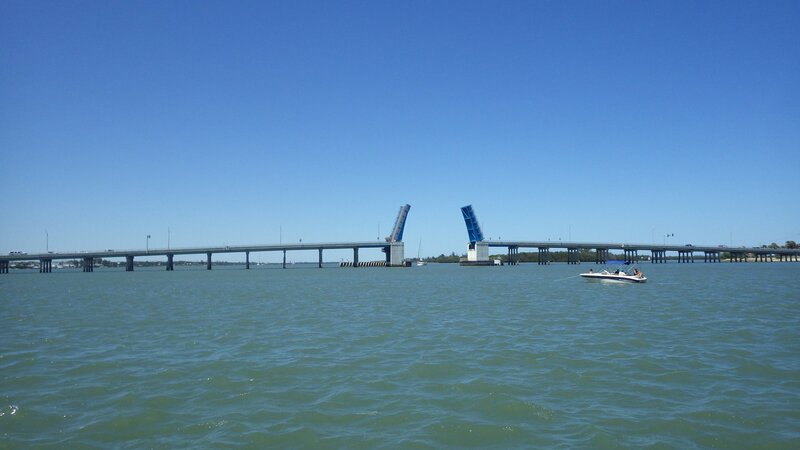 Then, moved to the west coast of the bay until westerly winds pass. 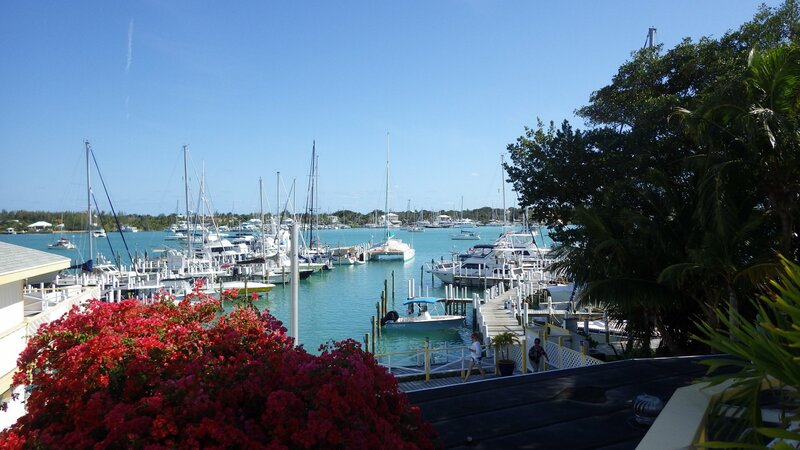 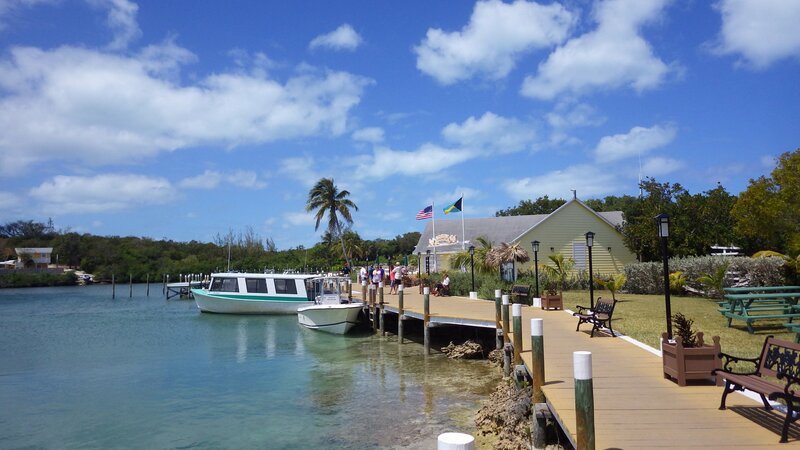 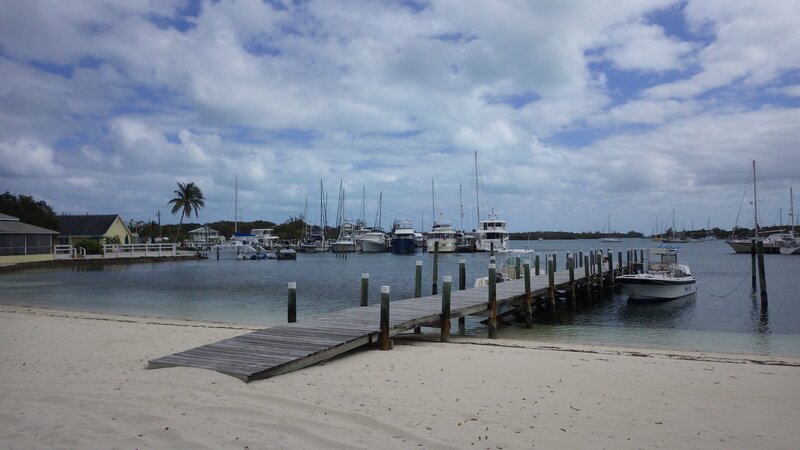 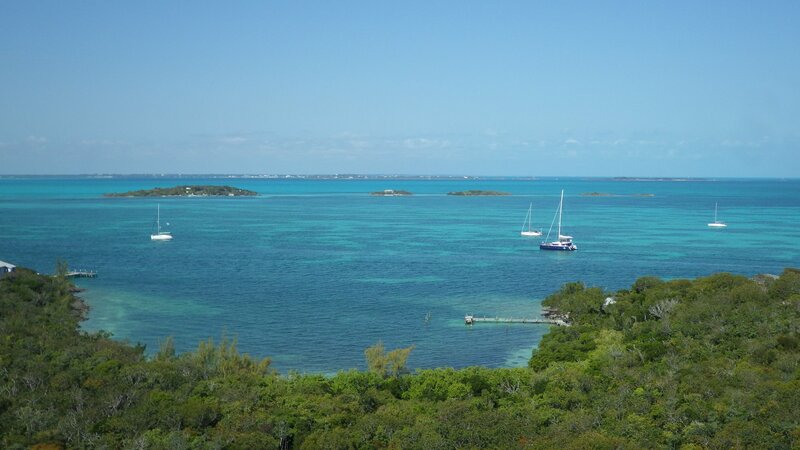 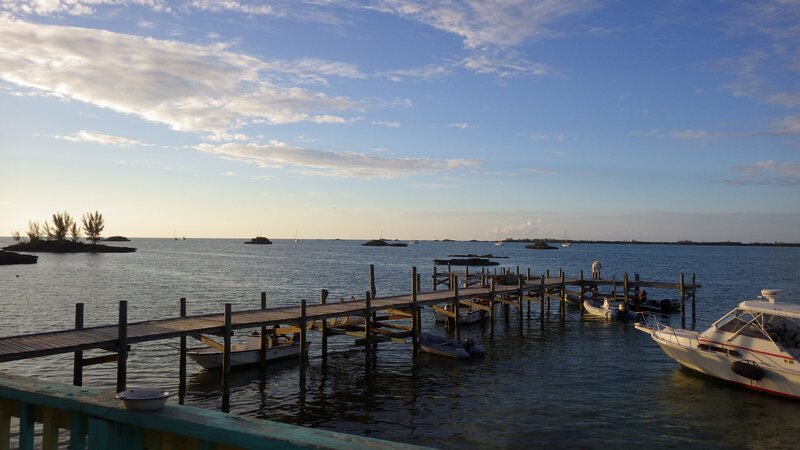 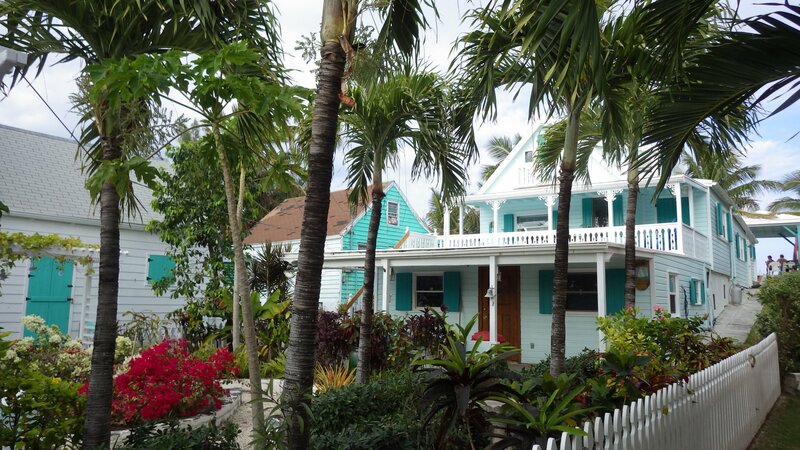 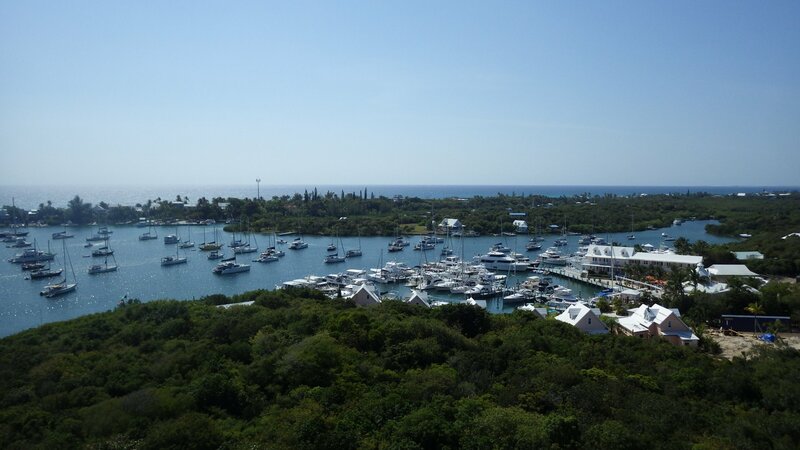 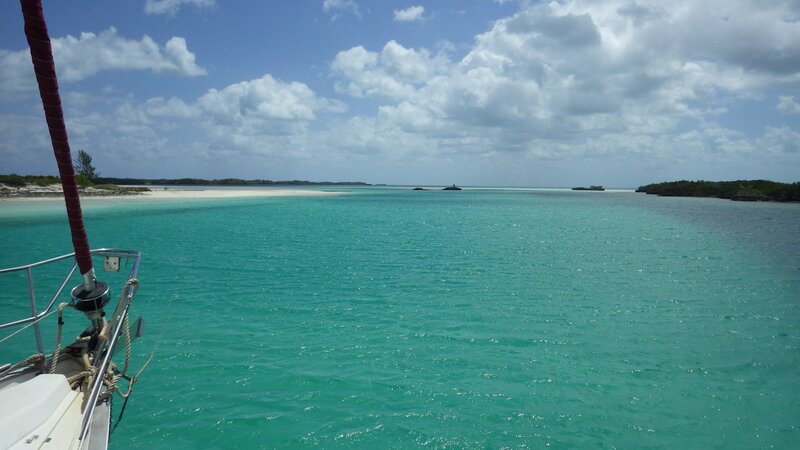 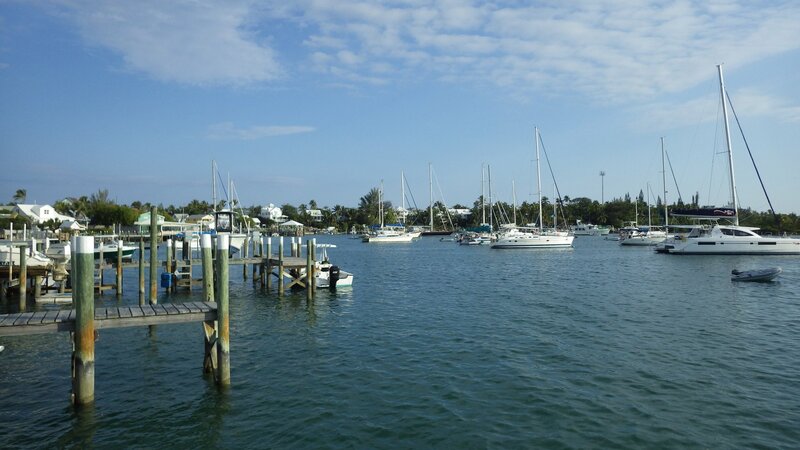 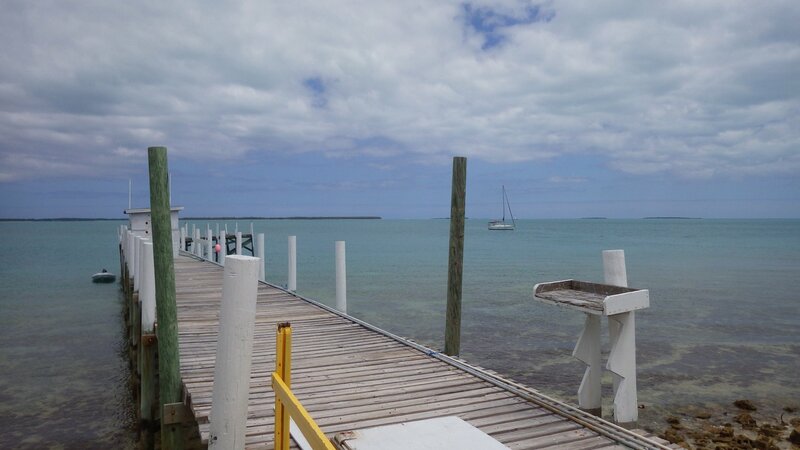 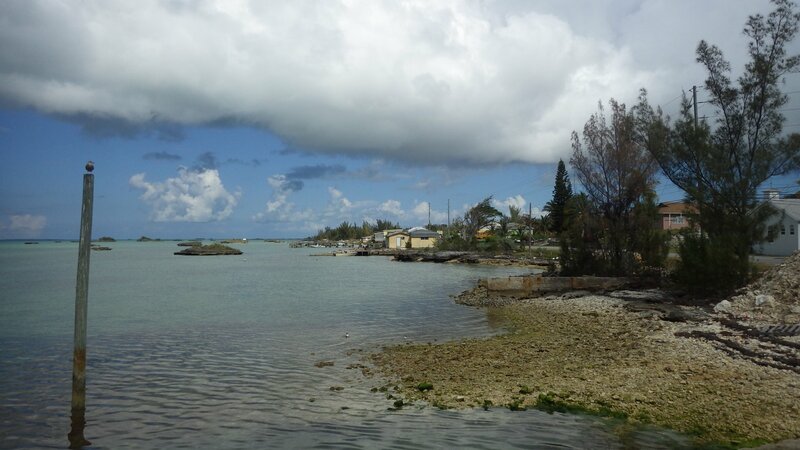 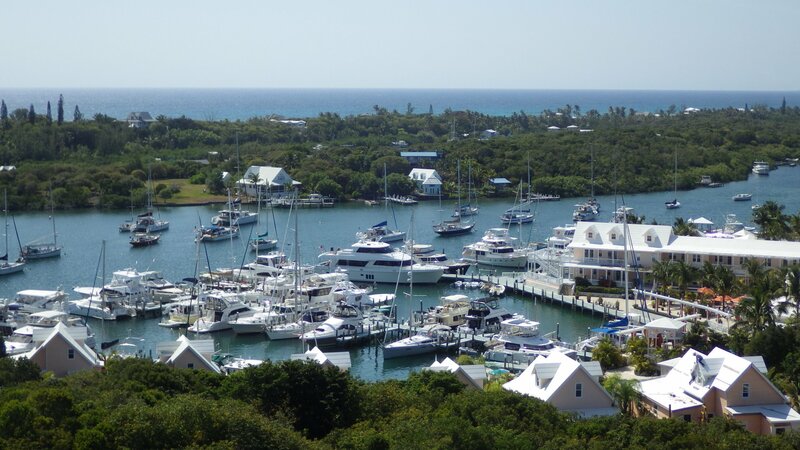 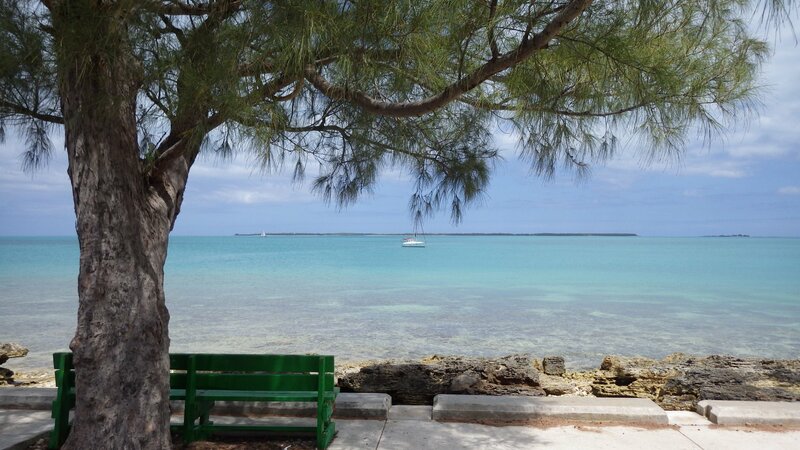 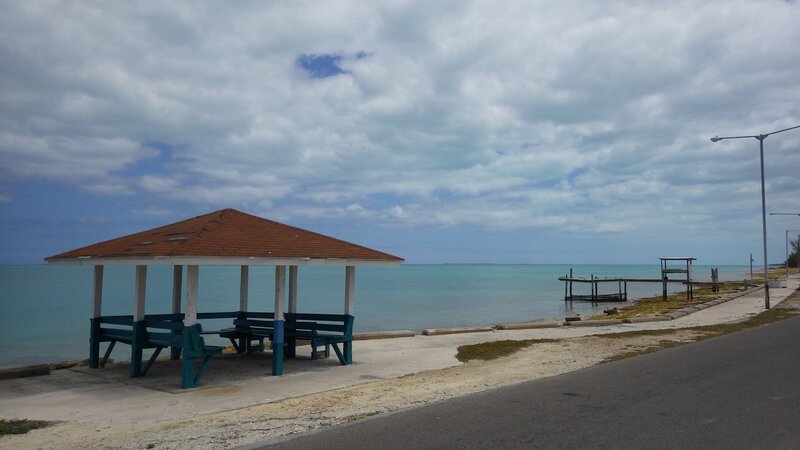 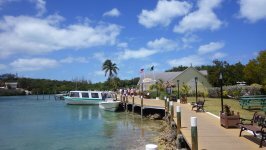 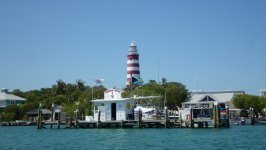 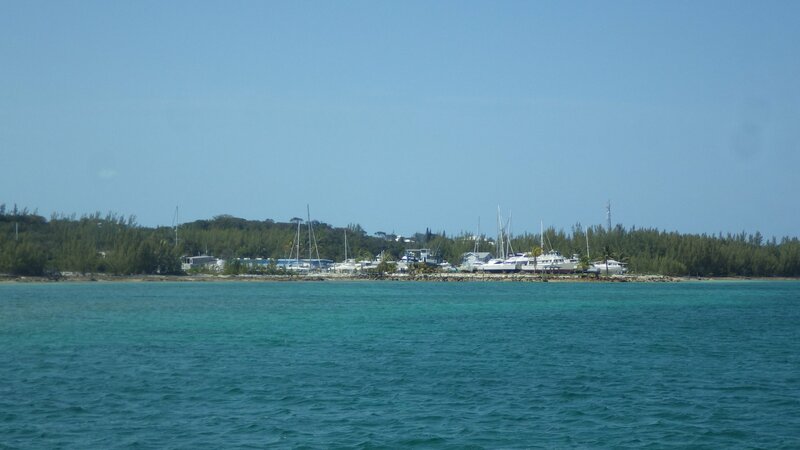 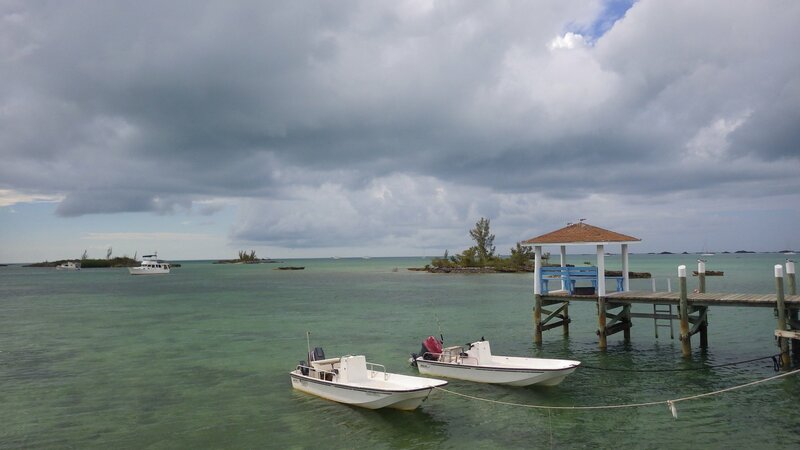 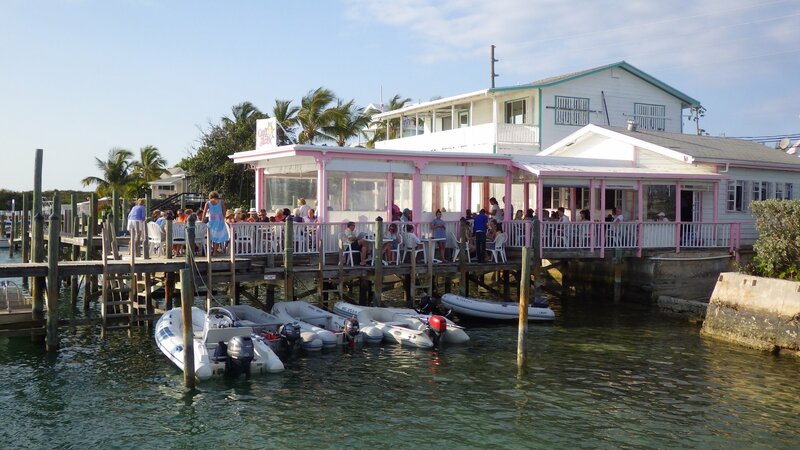 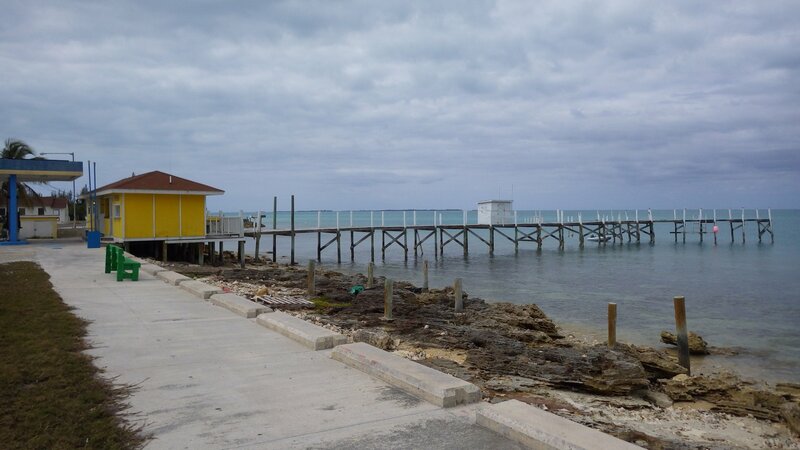 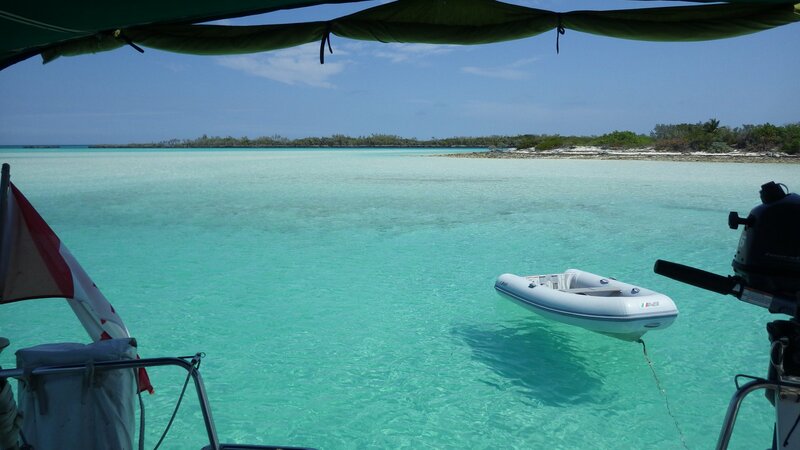 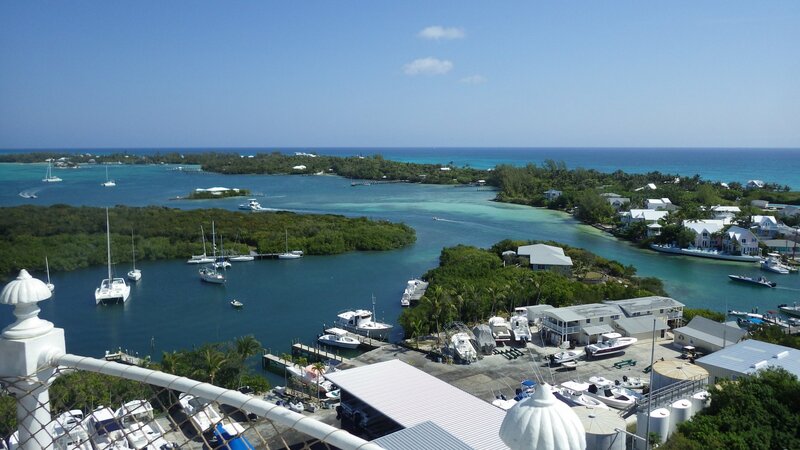 Marsh harbor is a center town of Abacos. 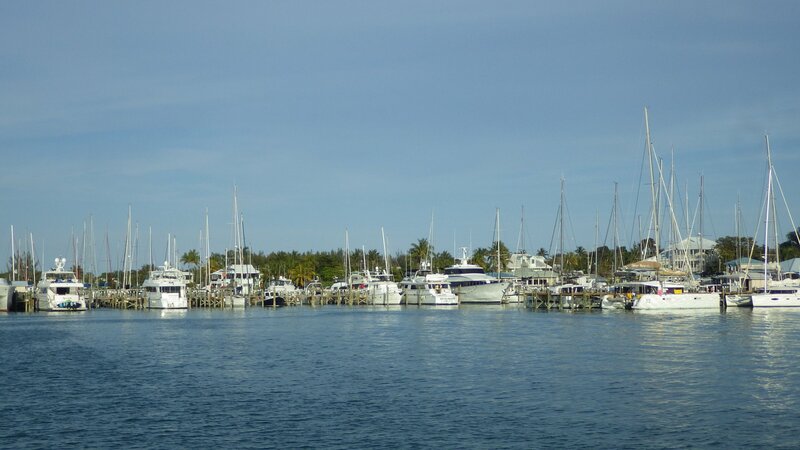 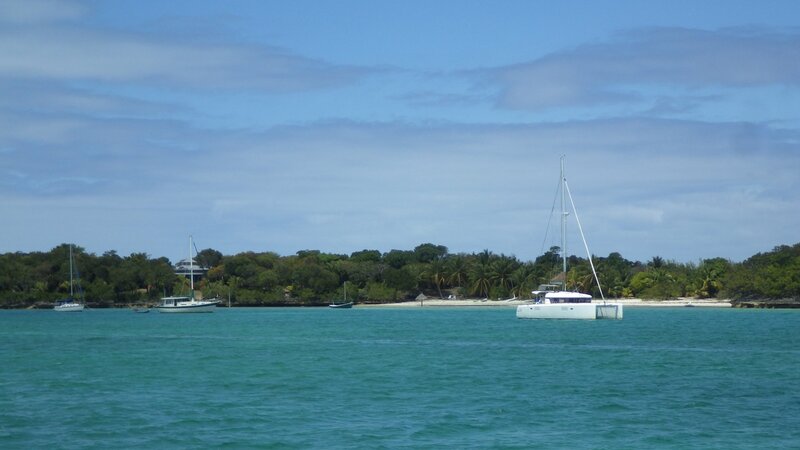 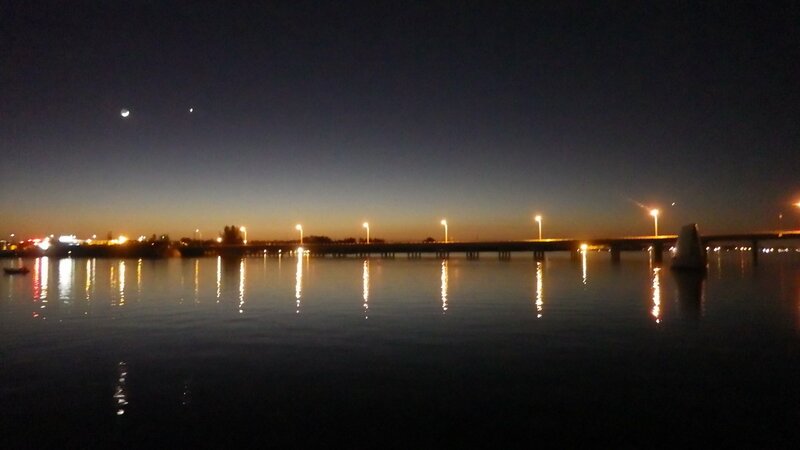 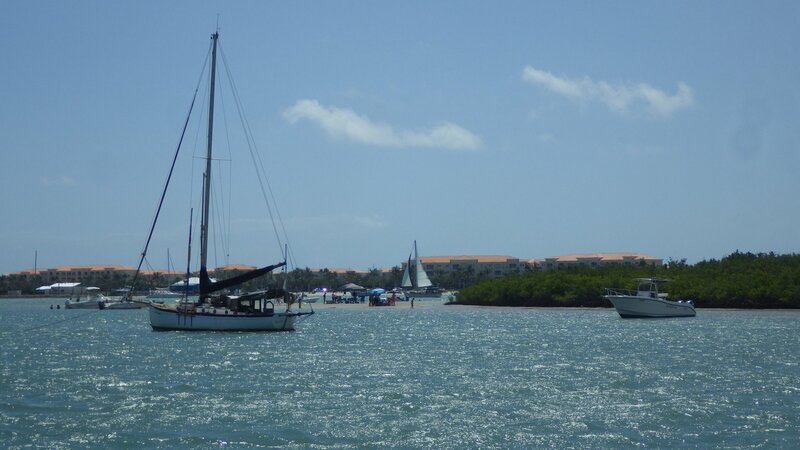 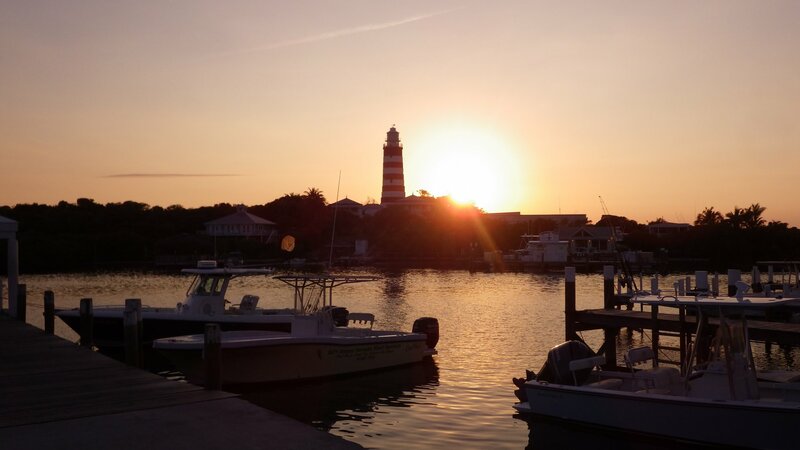 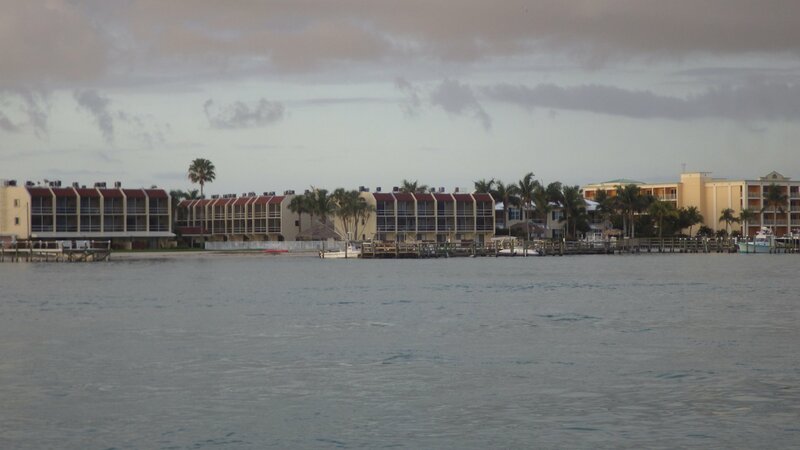 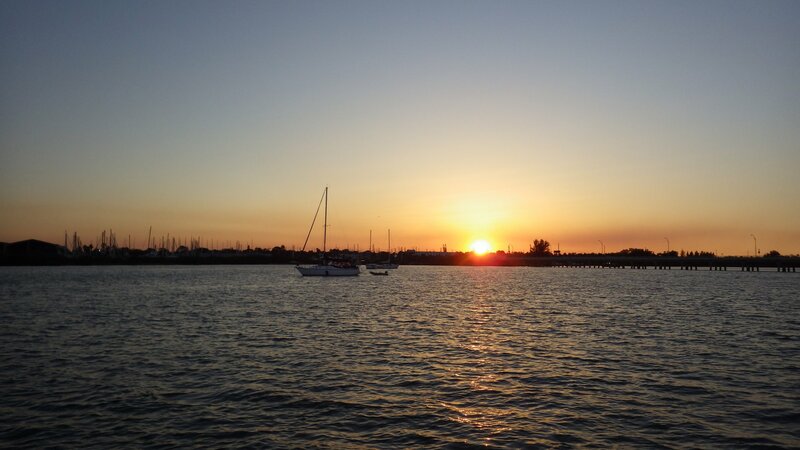 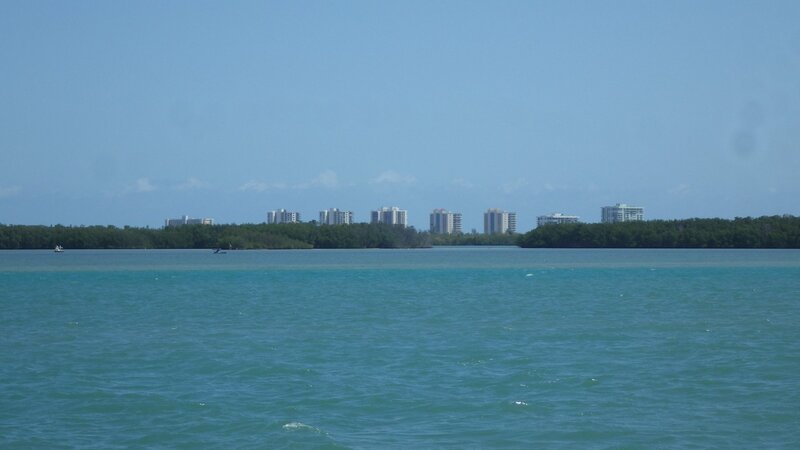 Protected and busy harbor, few marinas, modern grocery stores, restaurants. 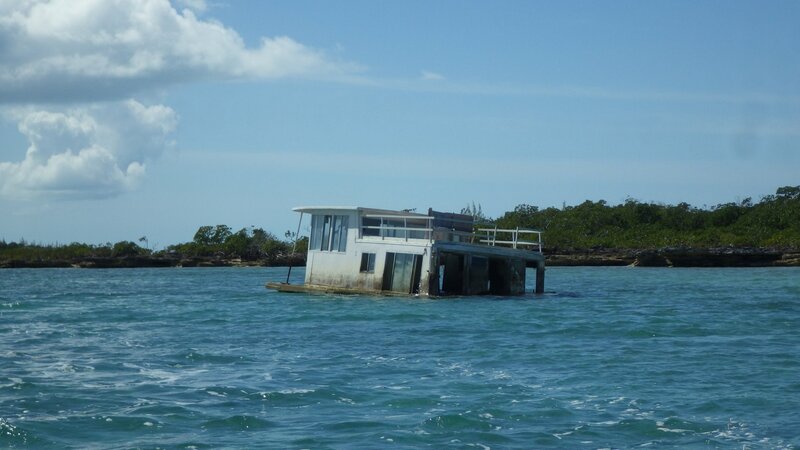 Stayed few days. 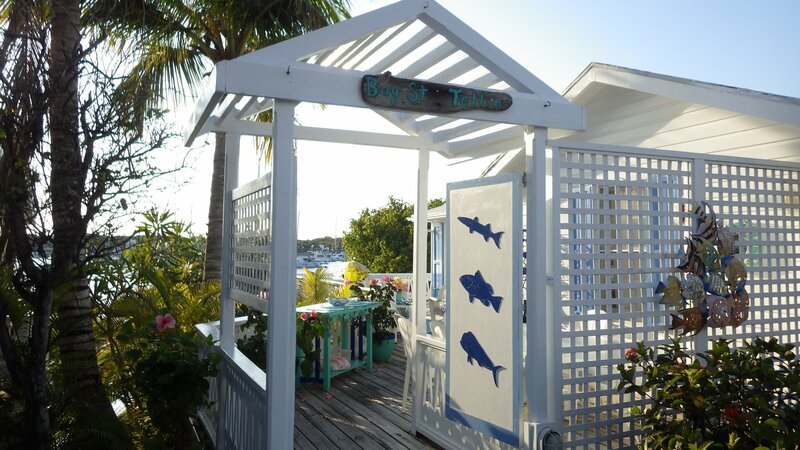 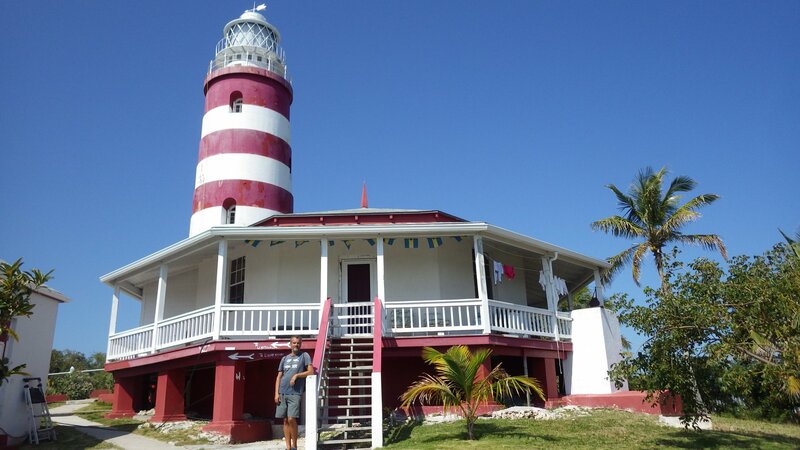 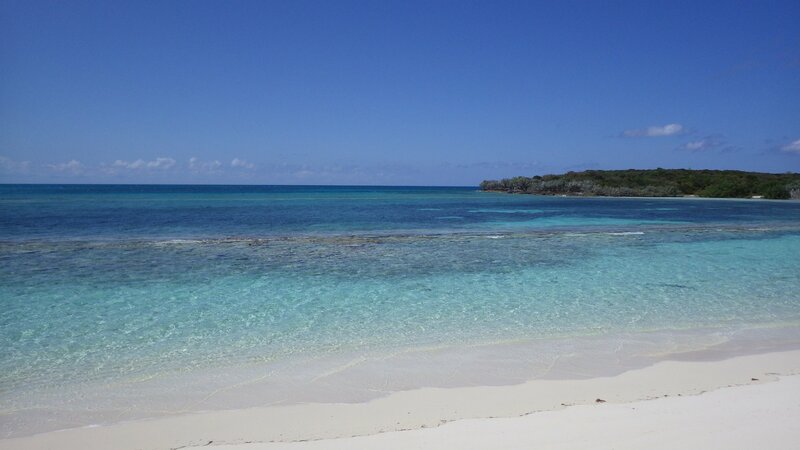 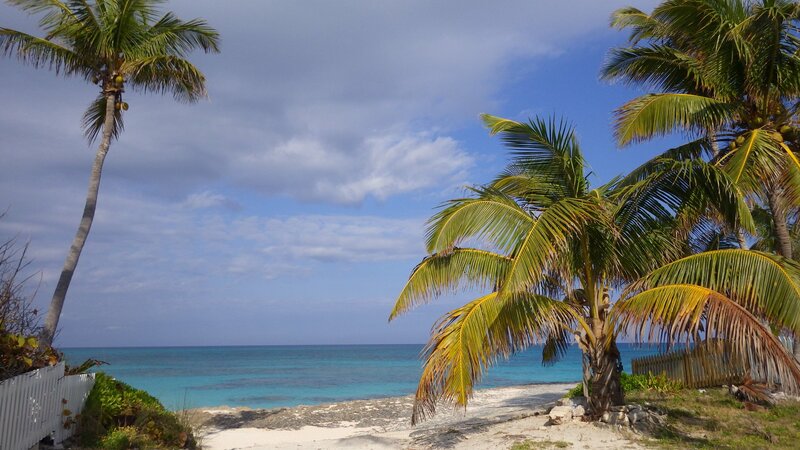 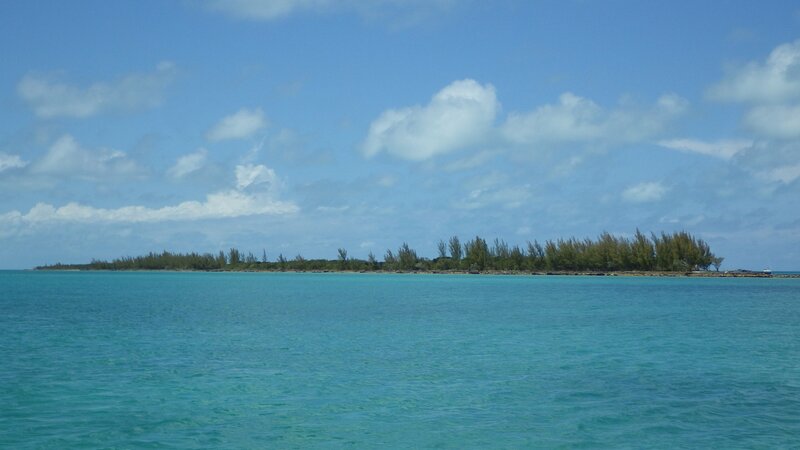 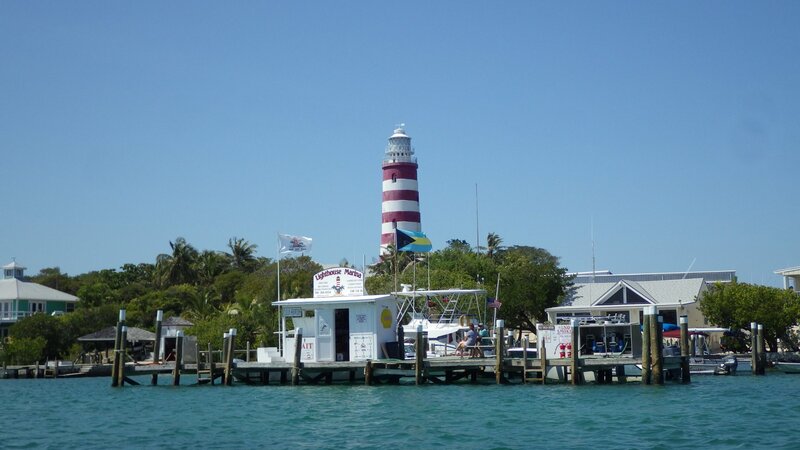 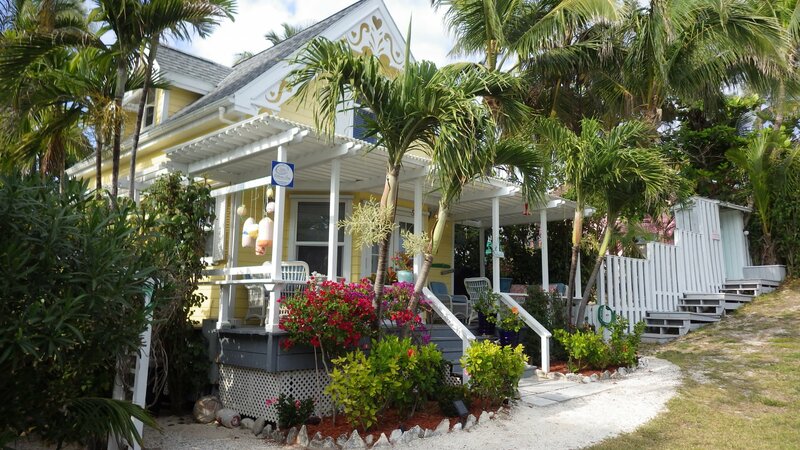 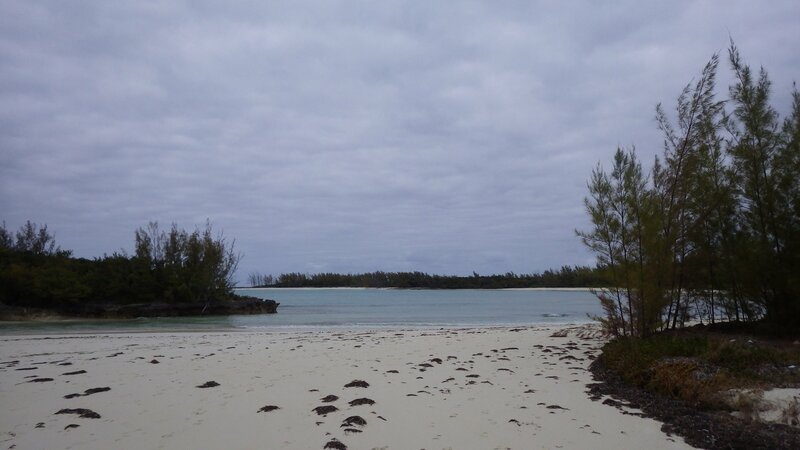 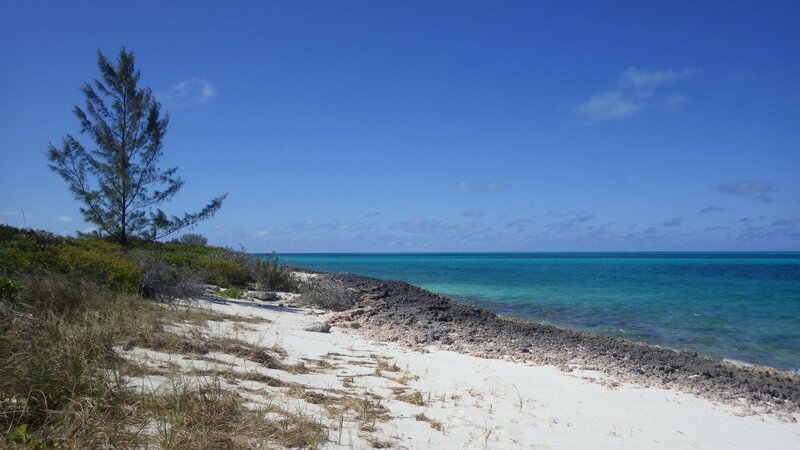 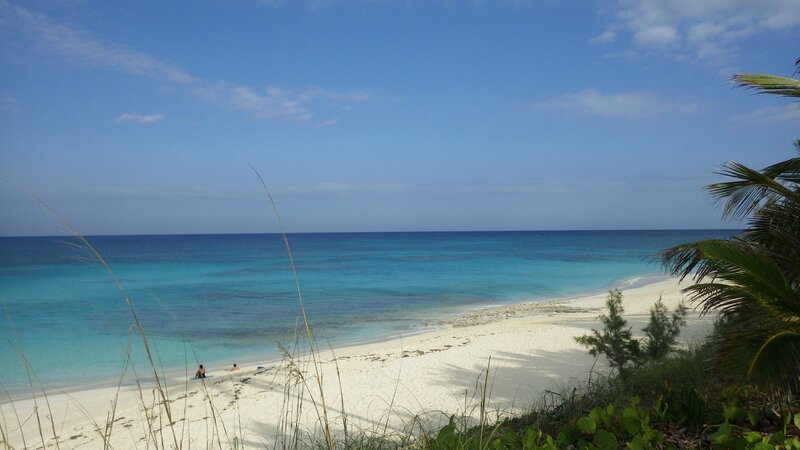 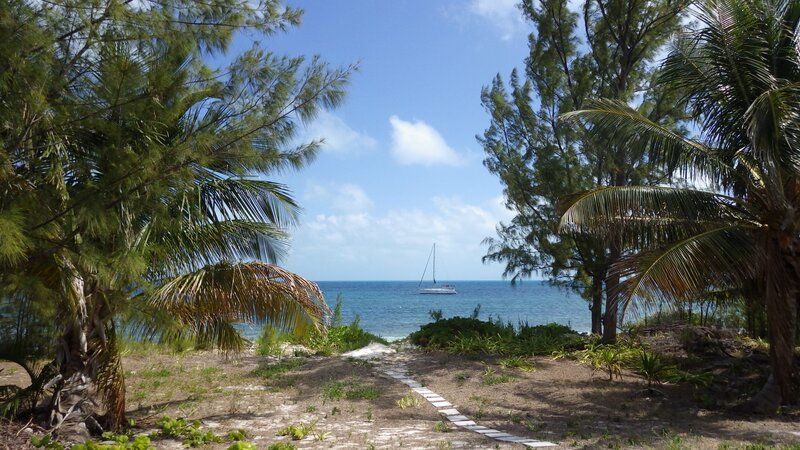 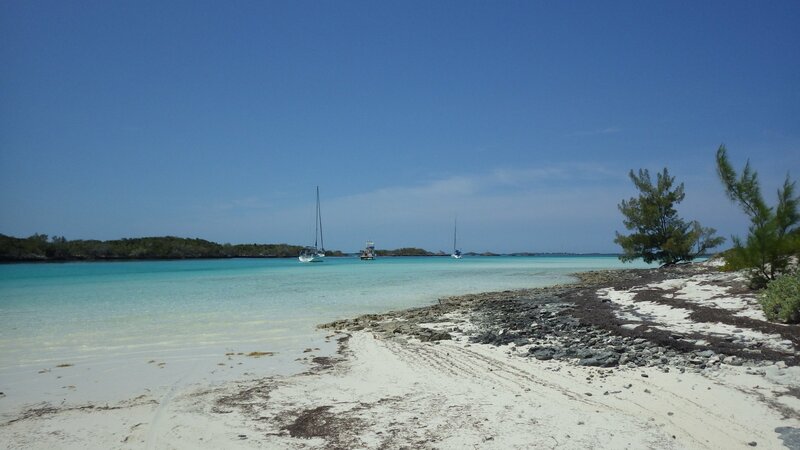 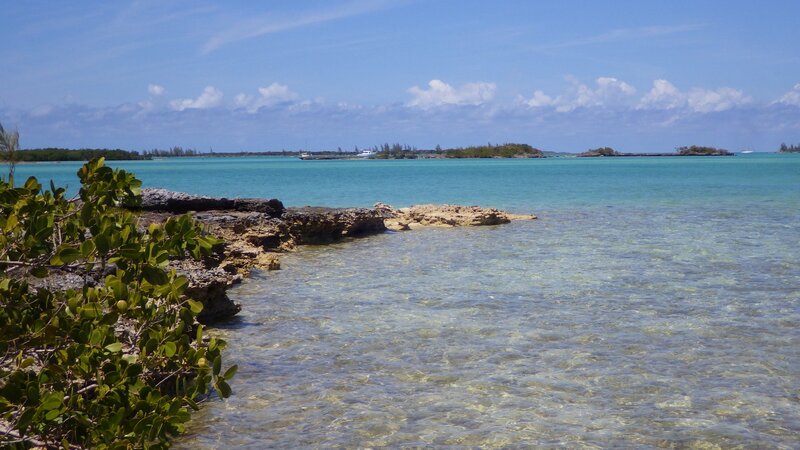 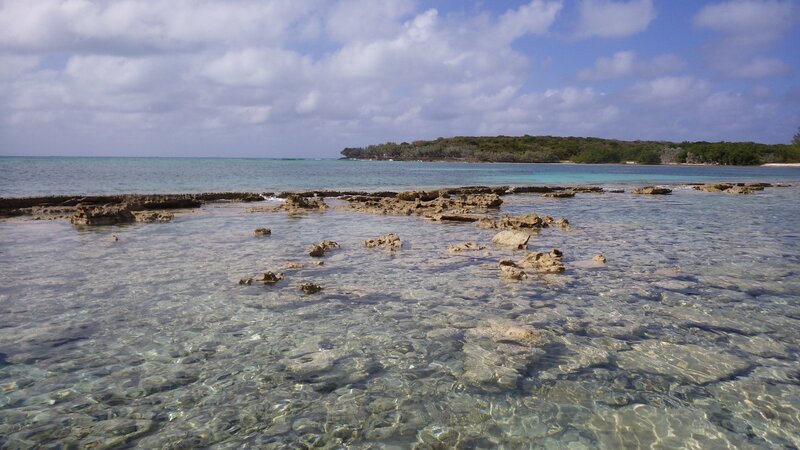 An overnight stop at Spoil Cay, near Great Guana Cay. 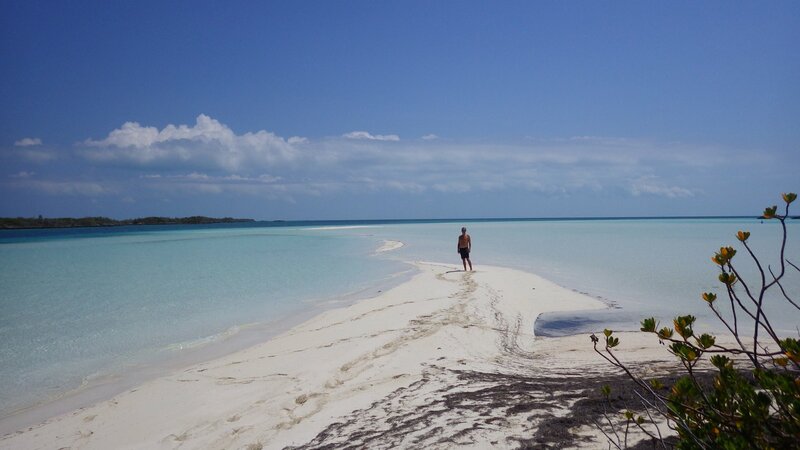 Had this tiny island to ourselves after visiting boats left in the evening. 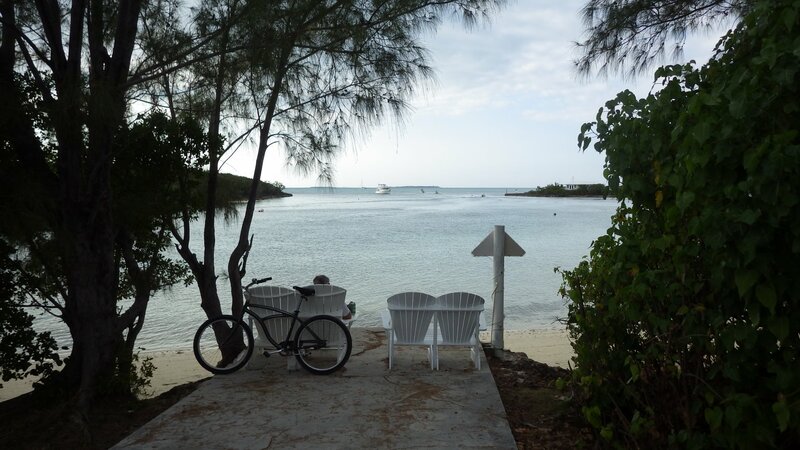 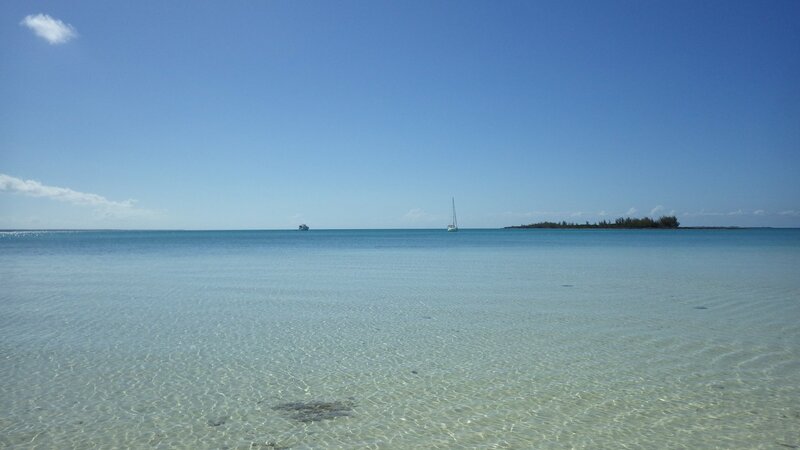 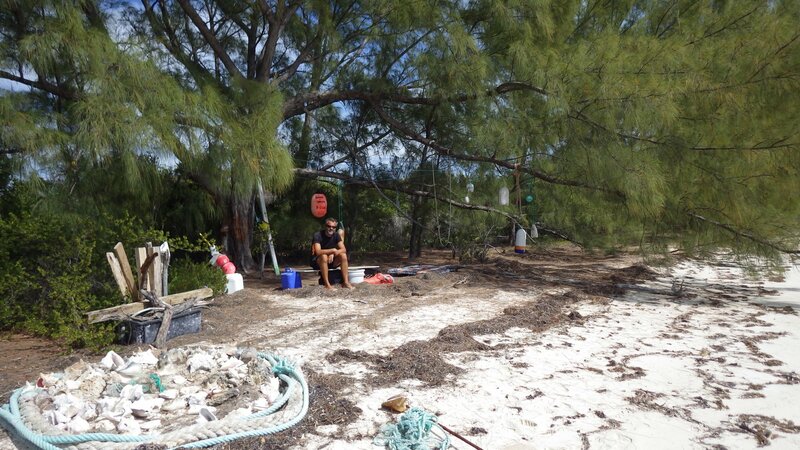 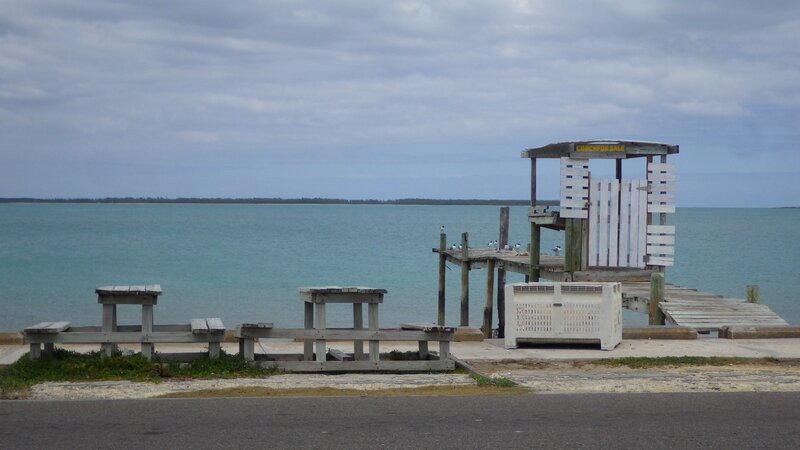 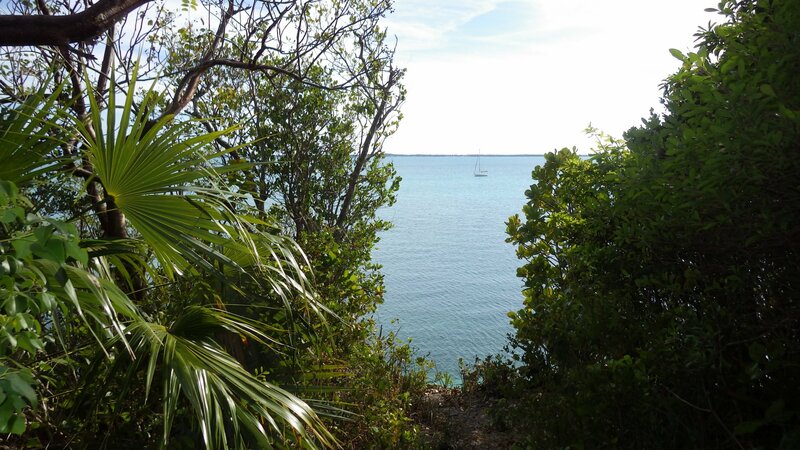 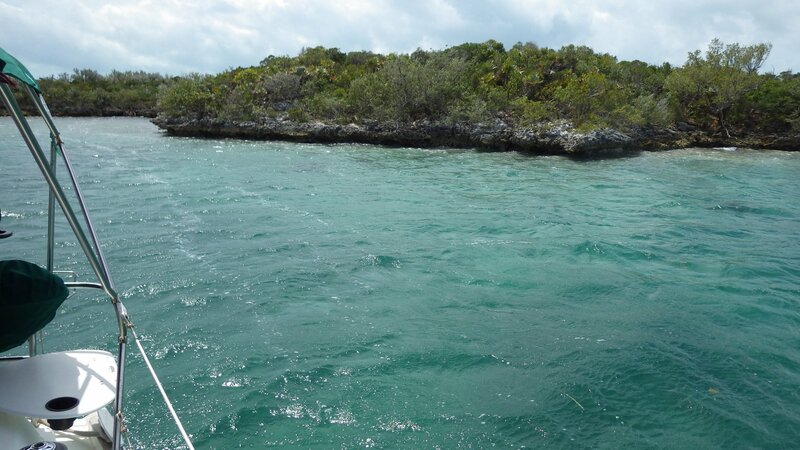 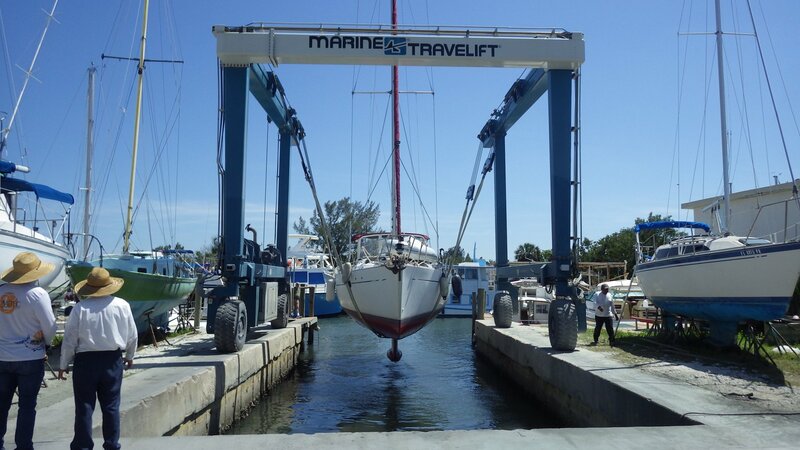 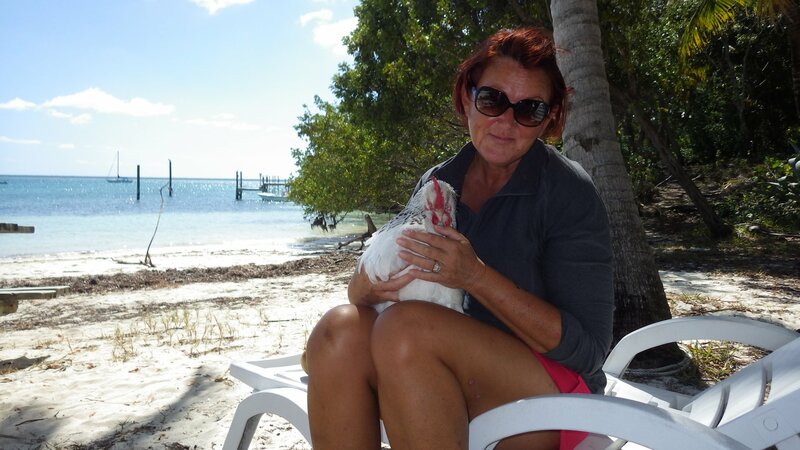 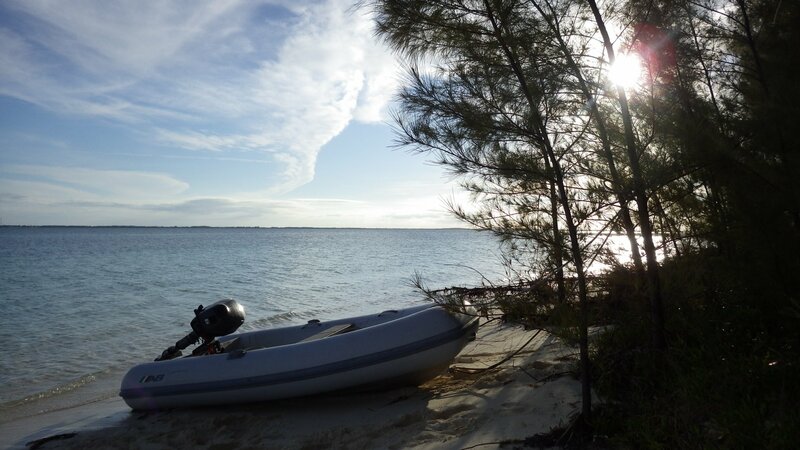 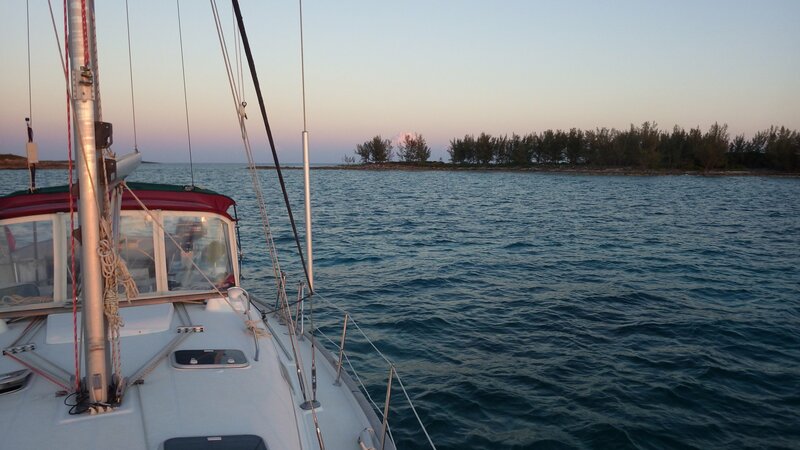 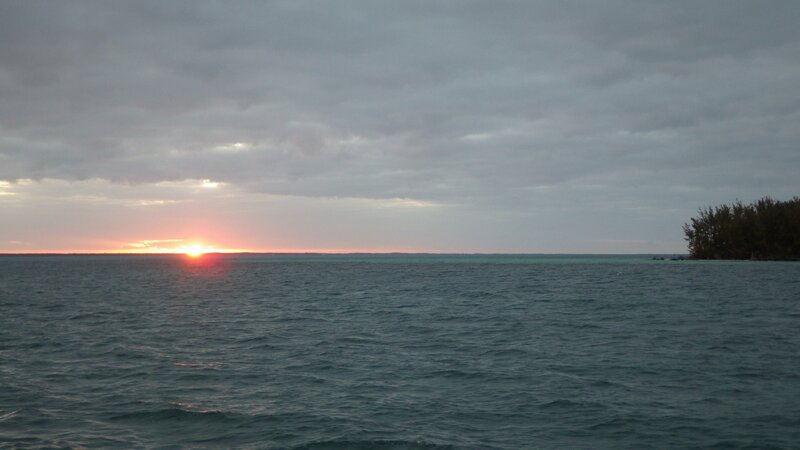 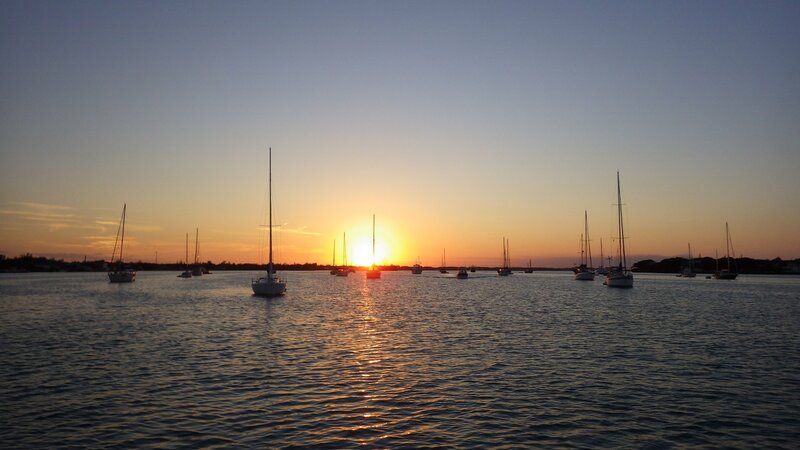 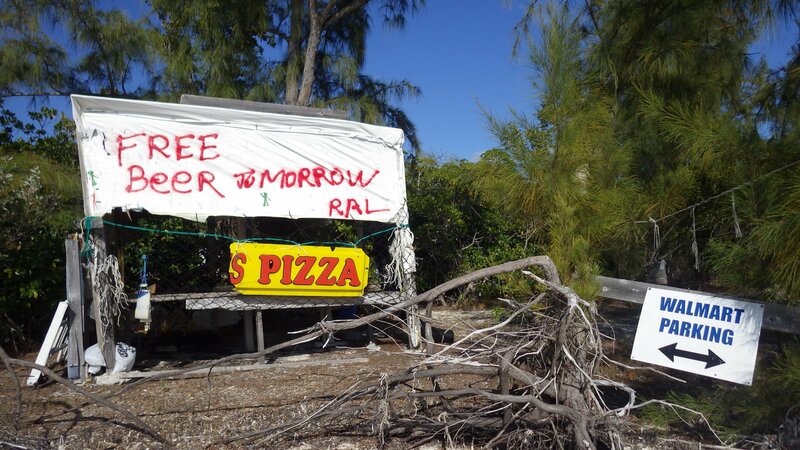 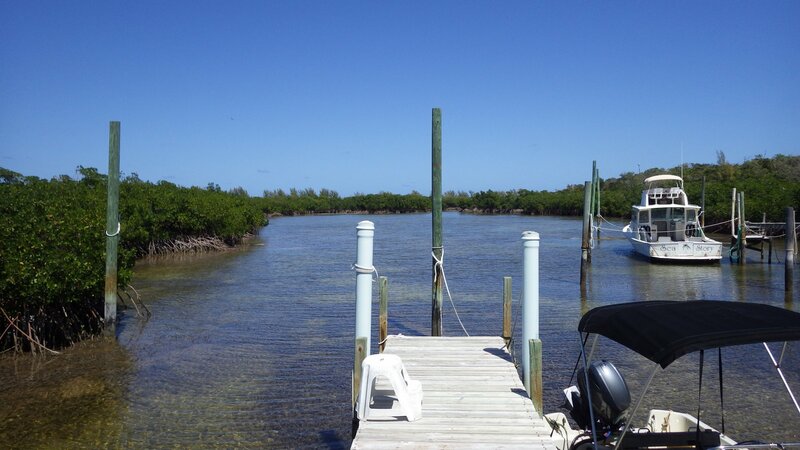 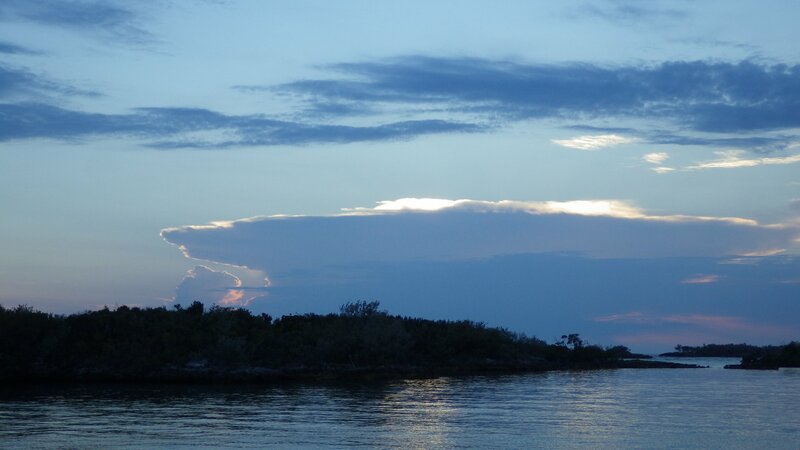 Stayed few days at White Sound in Green Turtle Cay, to ride-out cold front and fill up our water tanks at the marina. 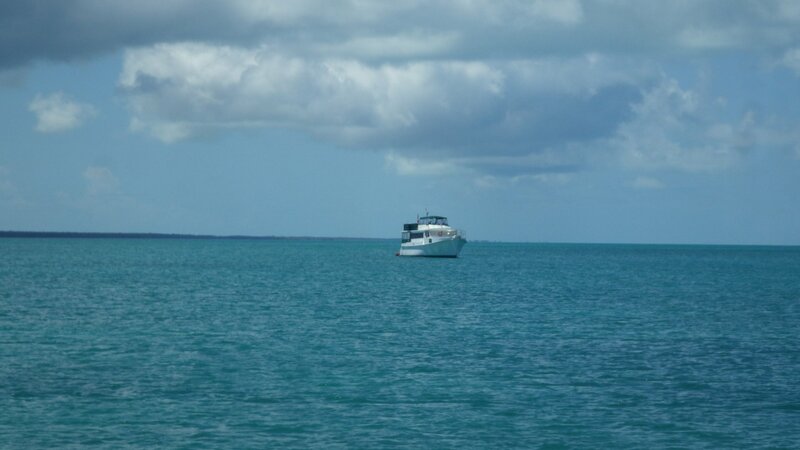 Met and invited for dinner an older cruising couple from Northern Ontario, who were anchored beside us. 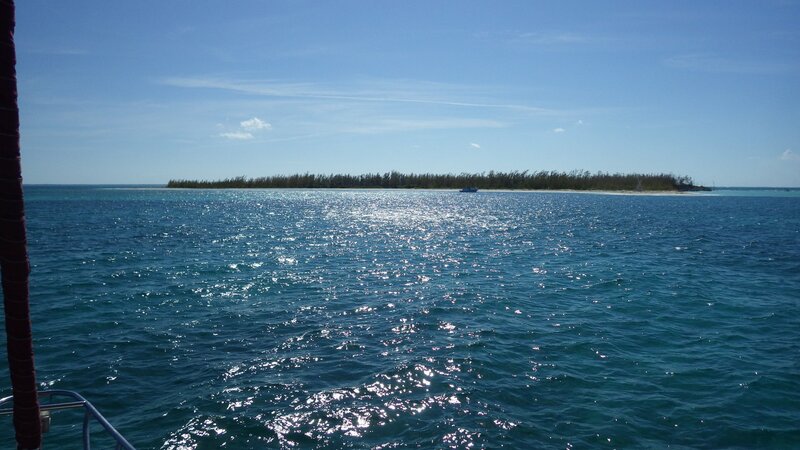 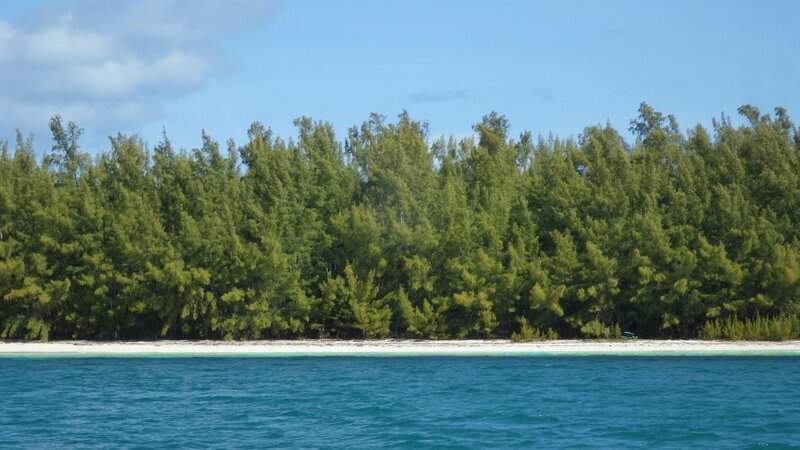 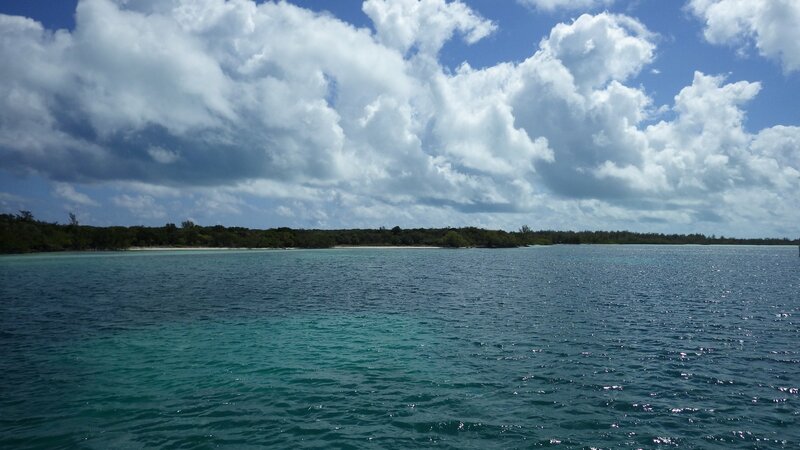 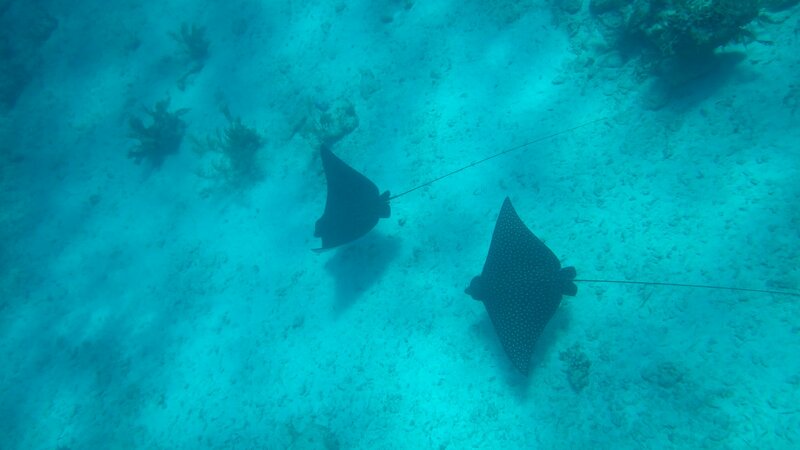 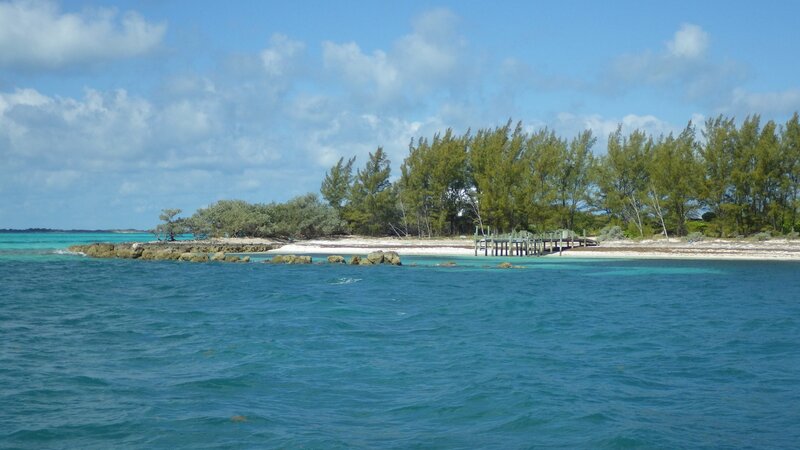 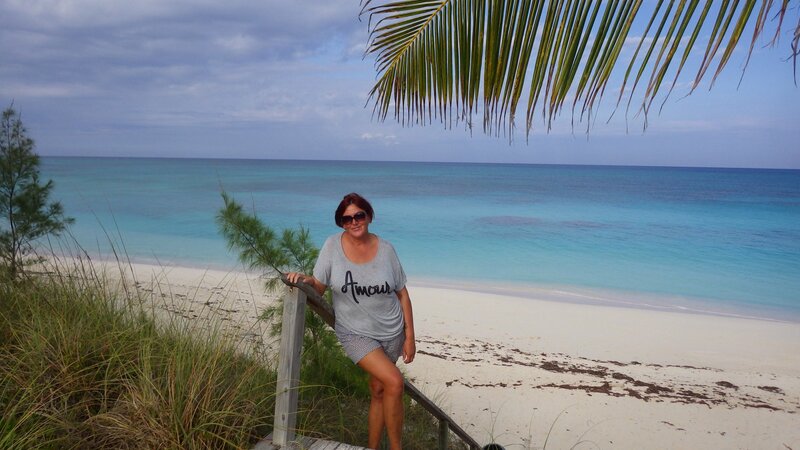 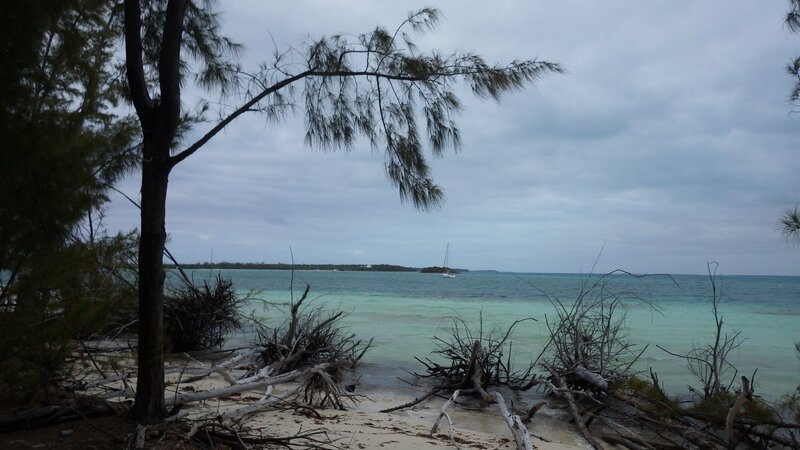 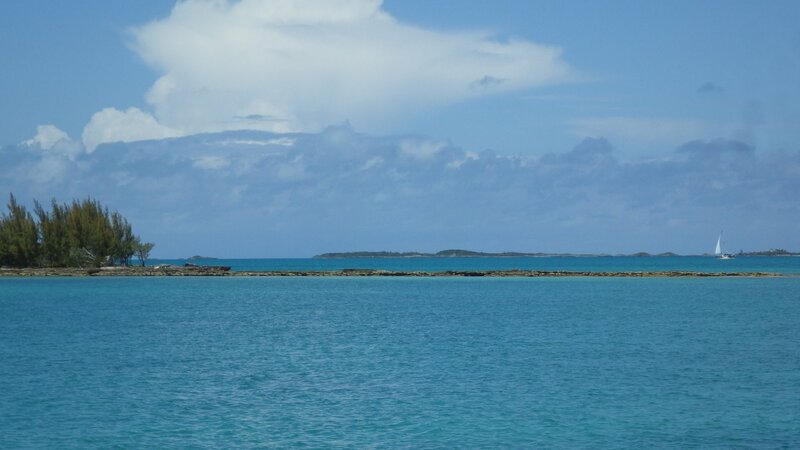 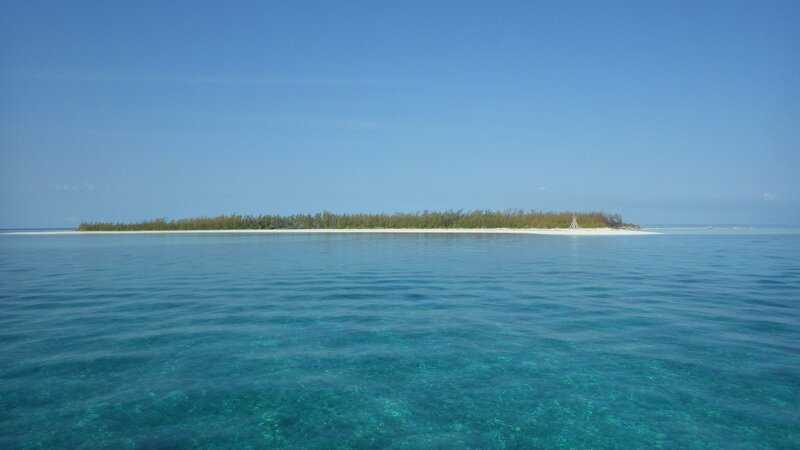 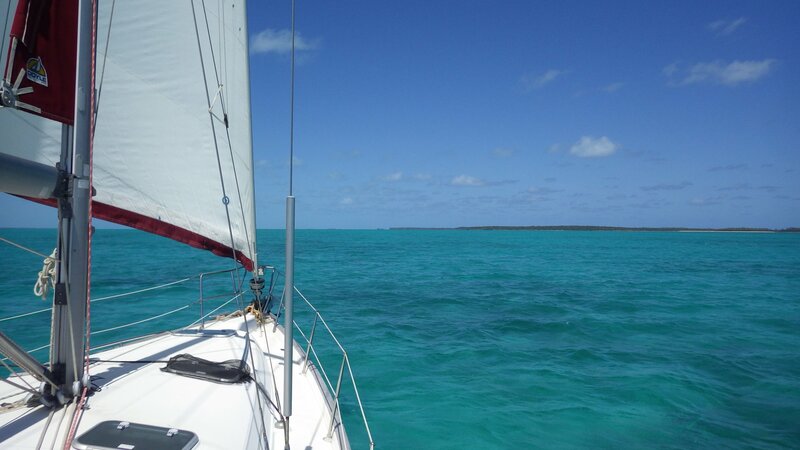 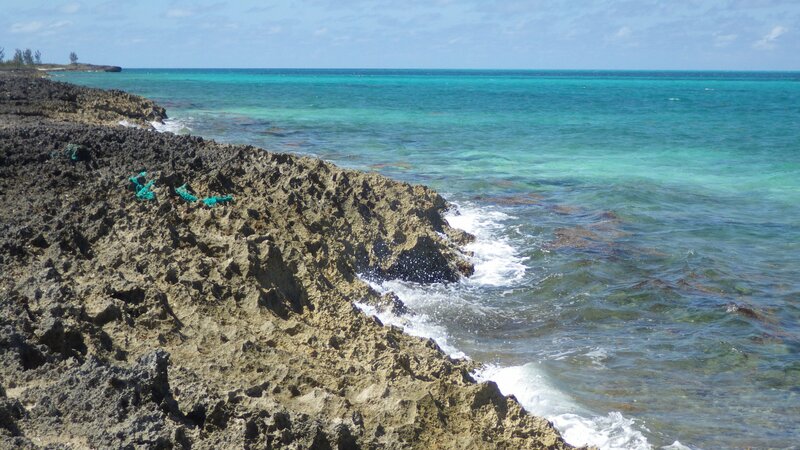 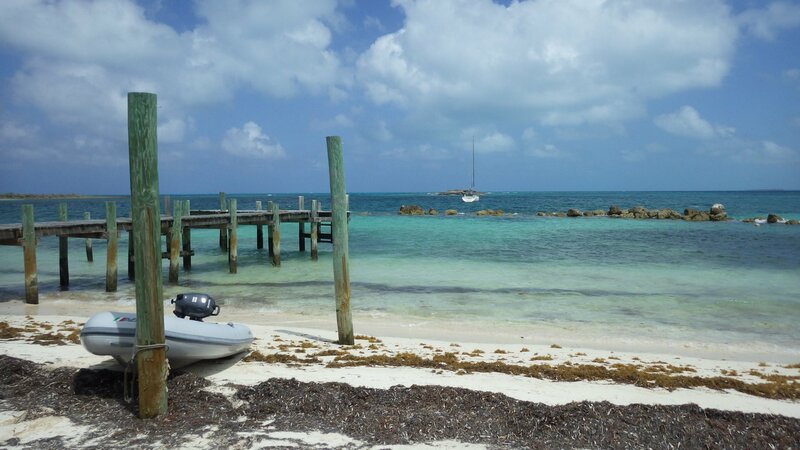 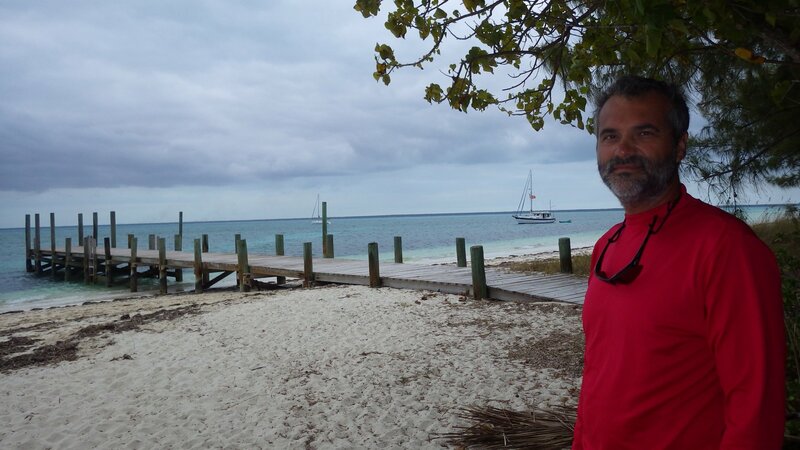 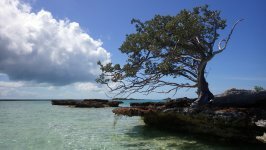 Visited couple anchorages at Manjack Cay. 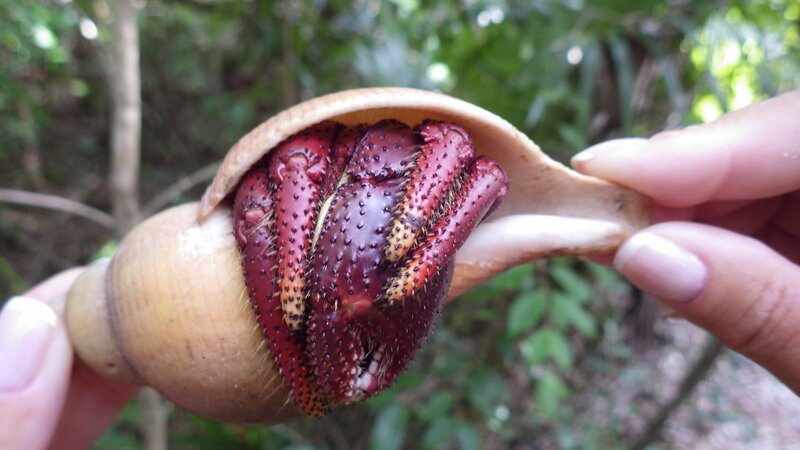 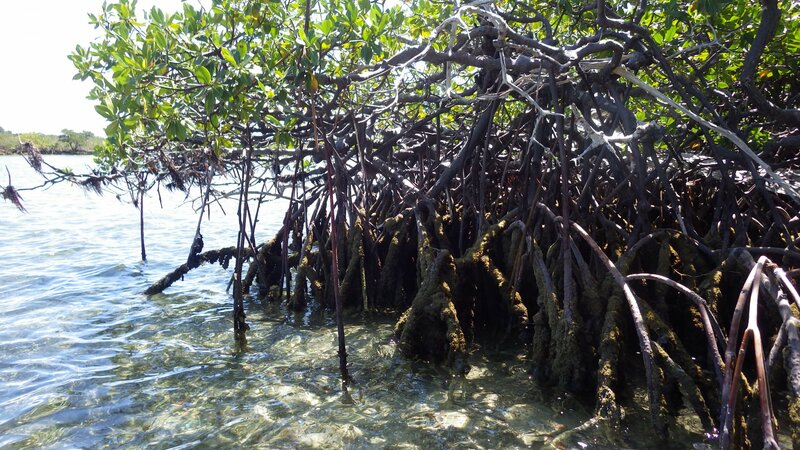 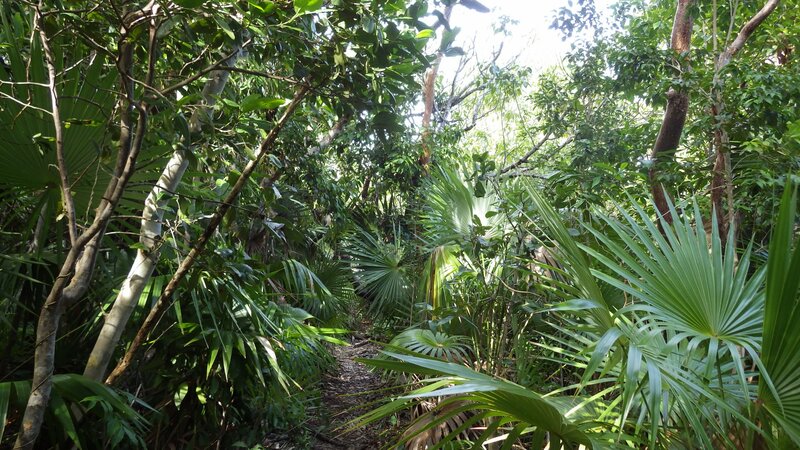 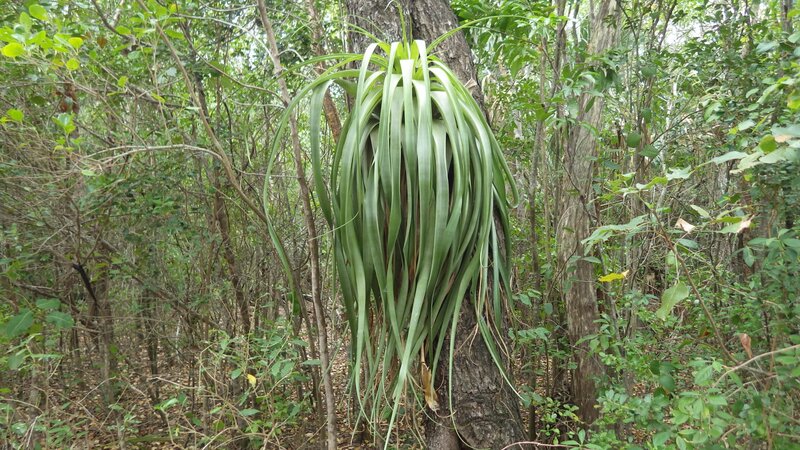 Interesting jungle walks around the island to stretch legs, several beaches. 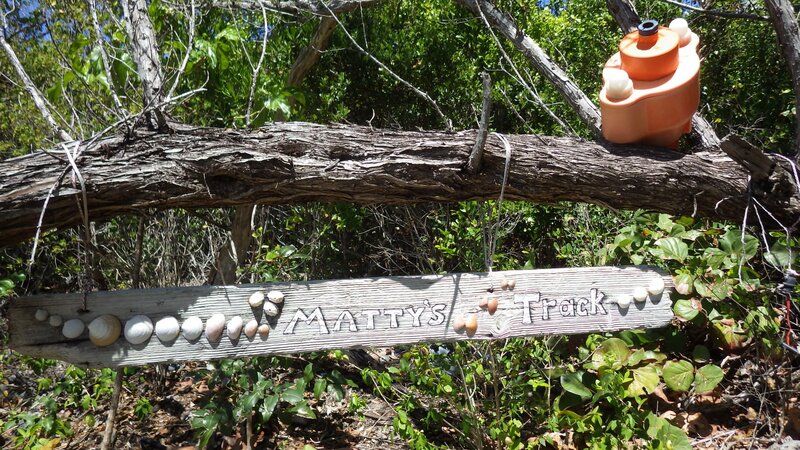 A short visit to Coopers Town for lunch. 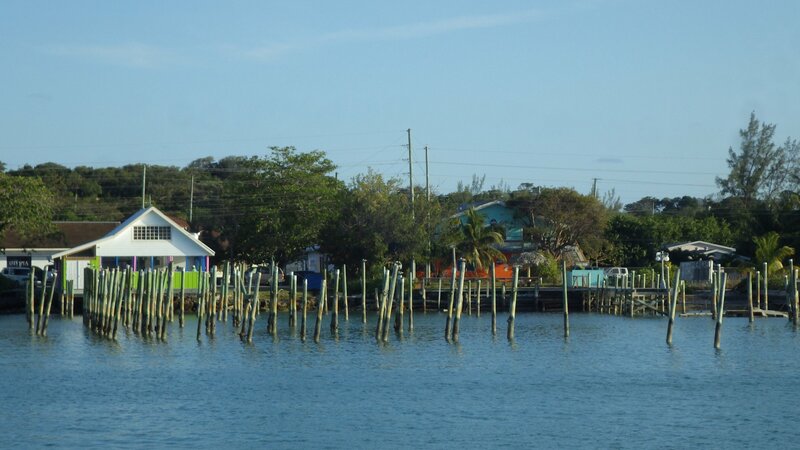 Small, quiet and unassuming coastal community. 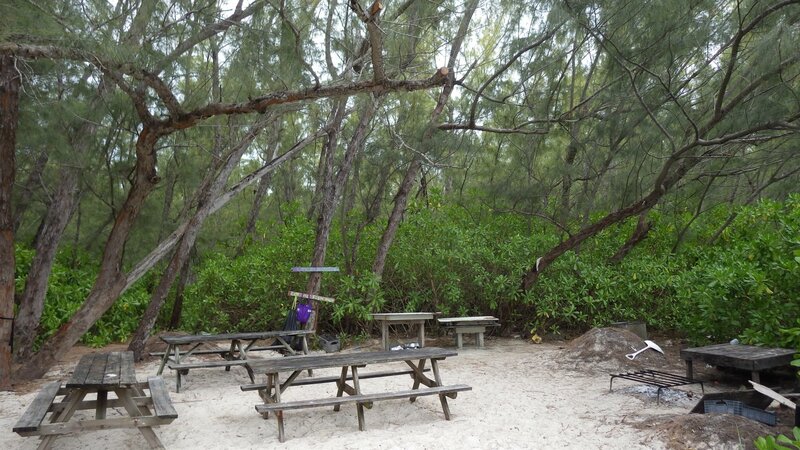 Some supplies and places to eat. 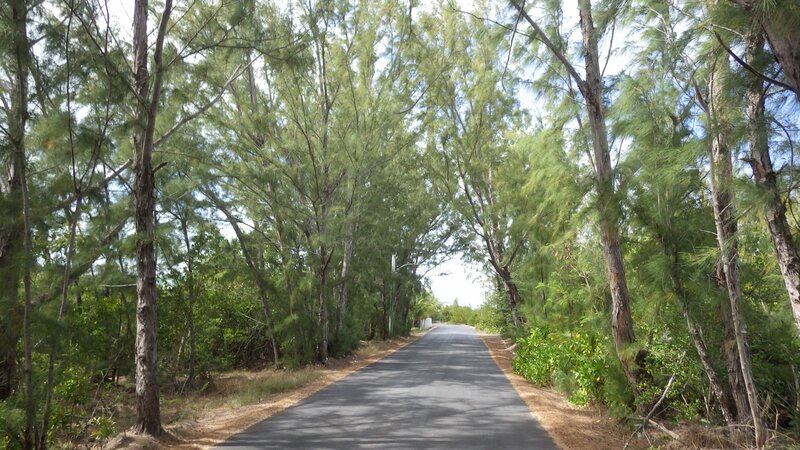 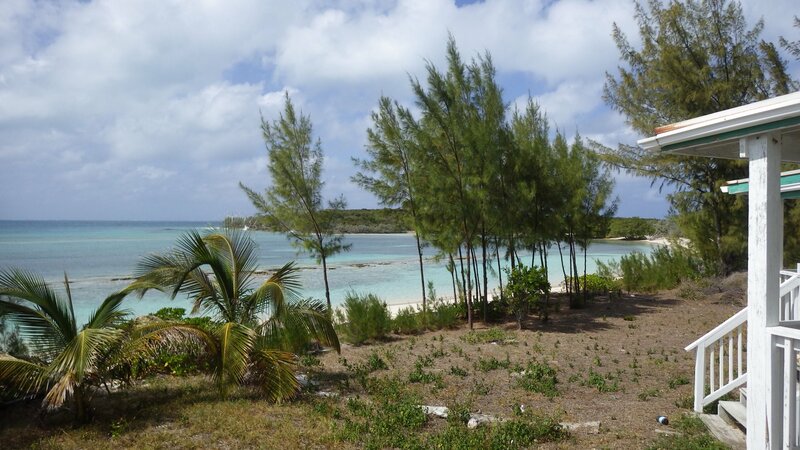 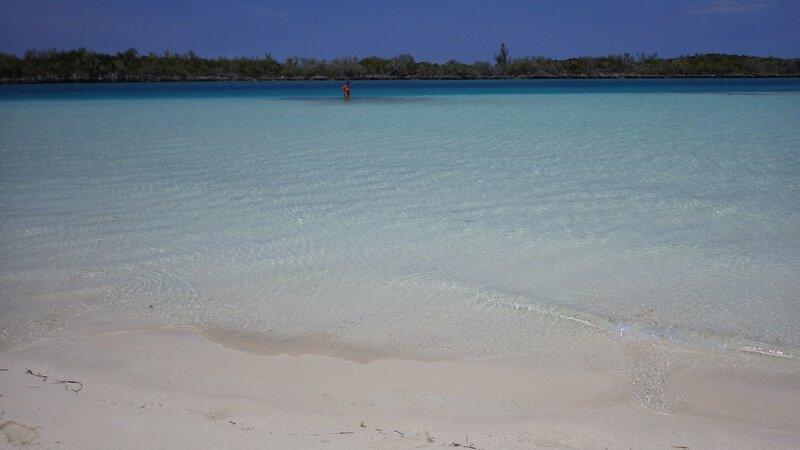 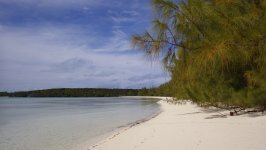 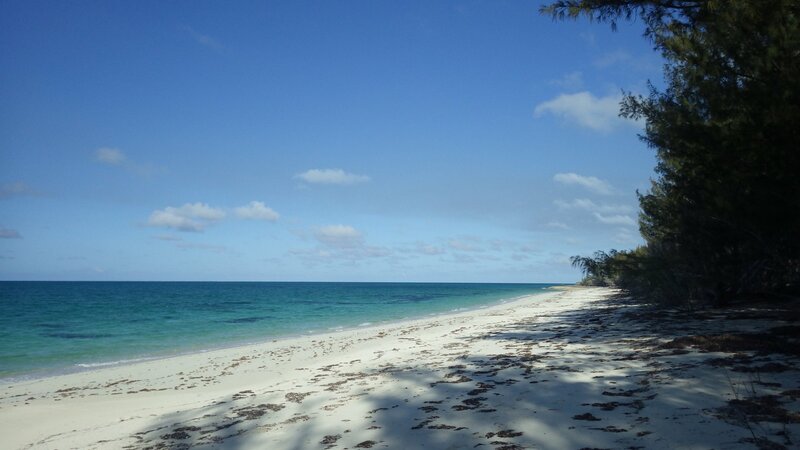 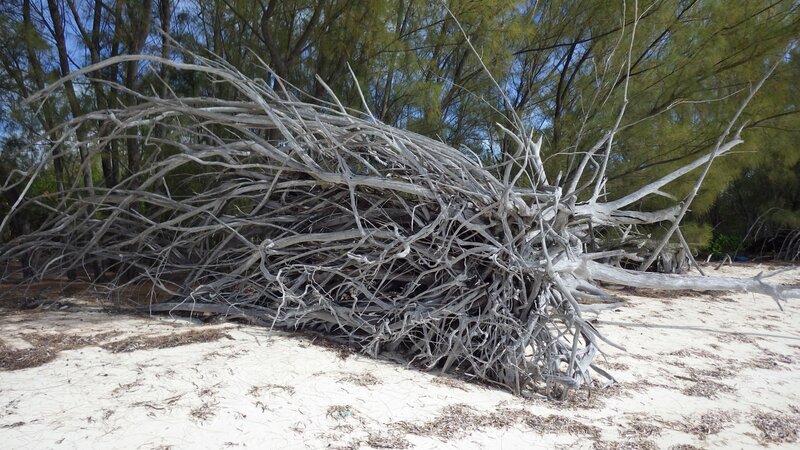 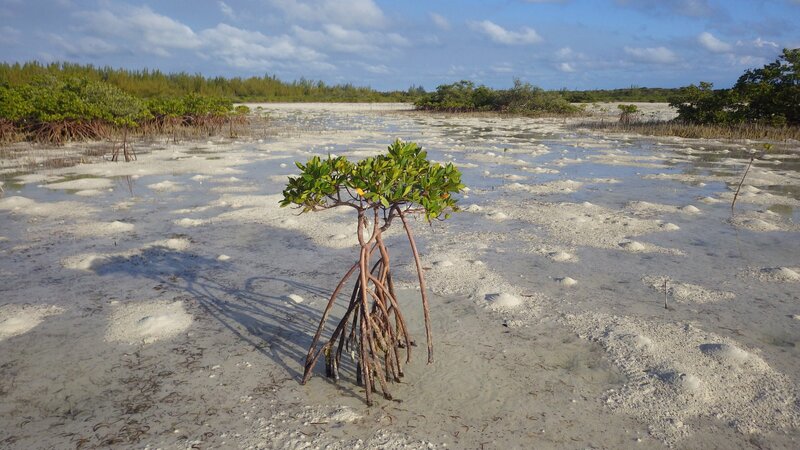 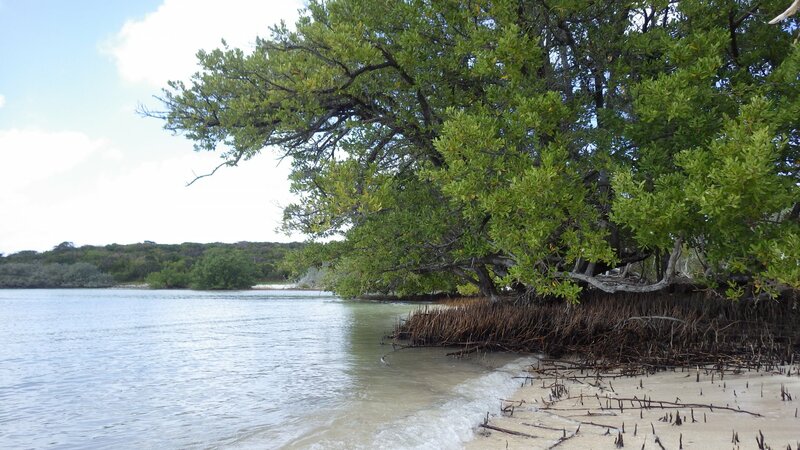 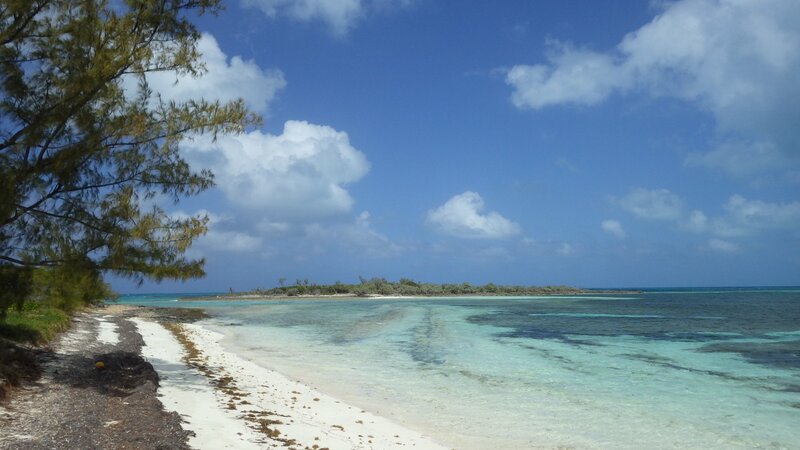 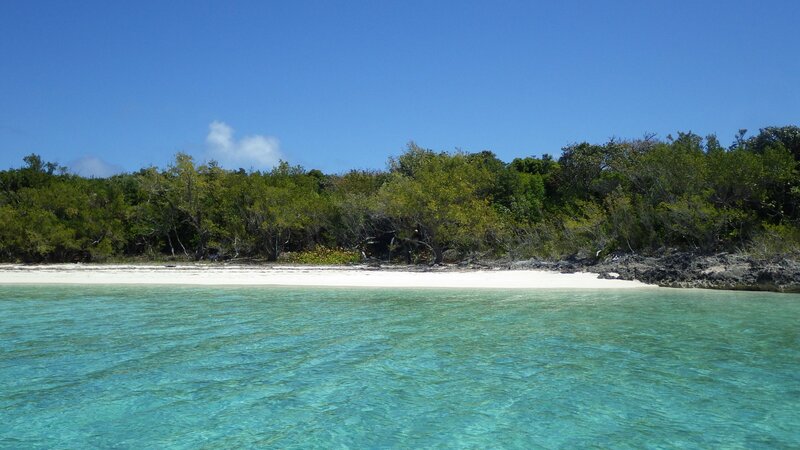 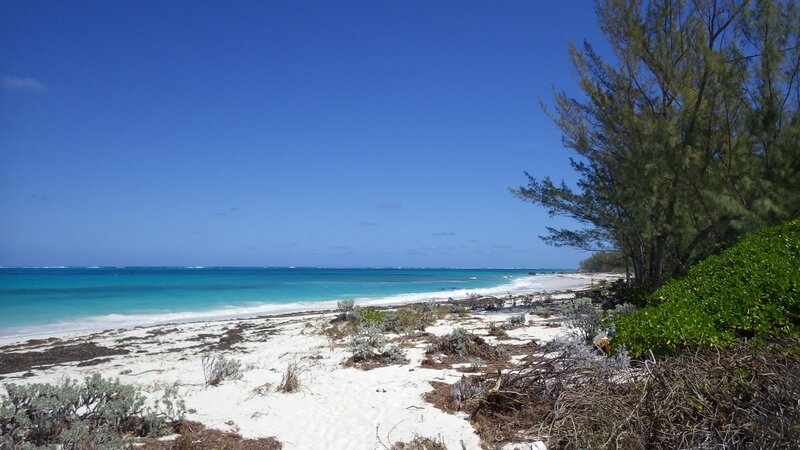 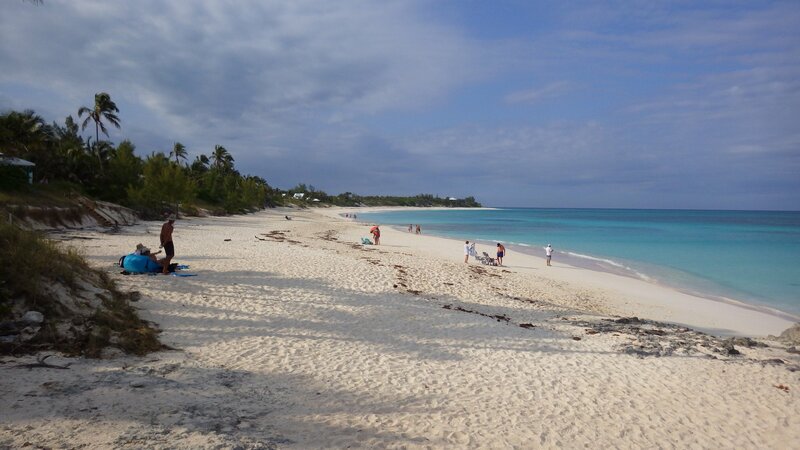 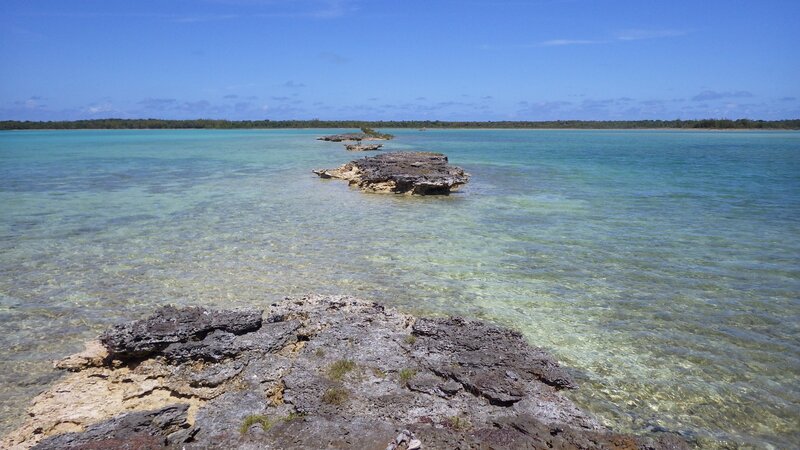 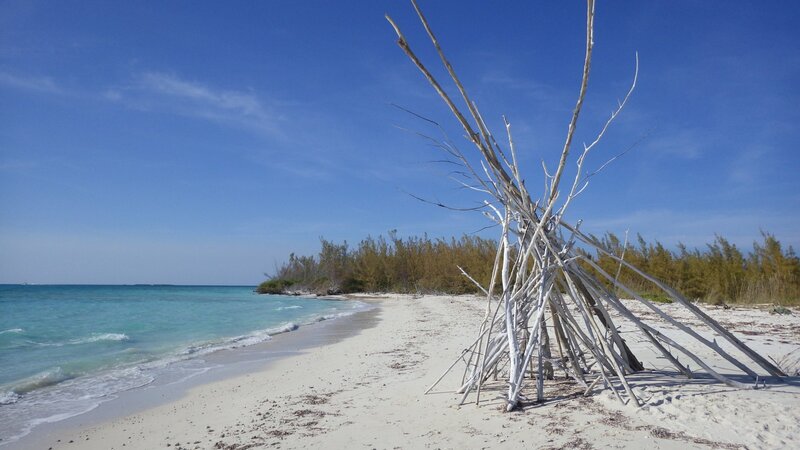 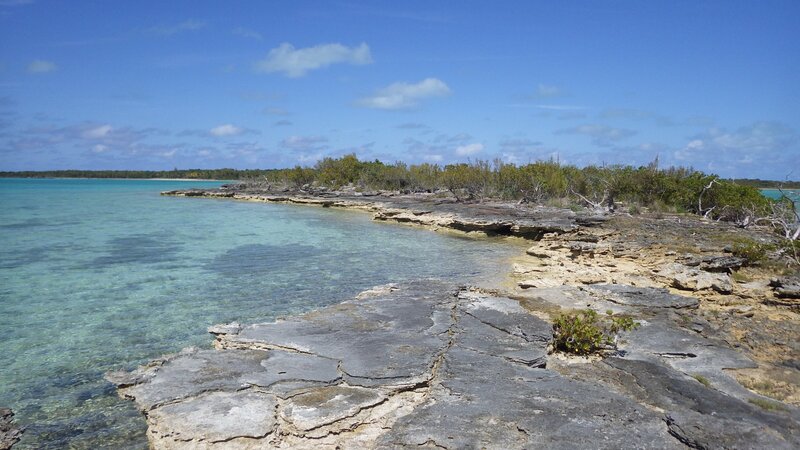 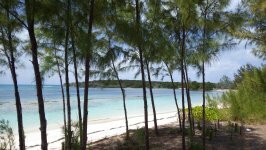 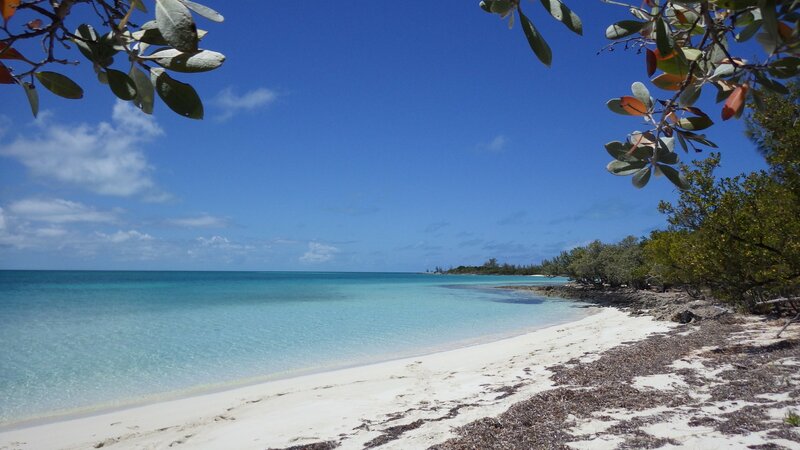 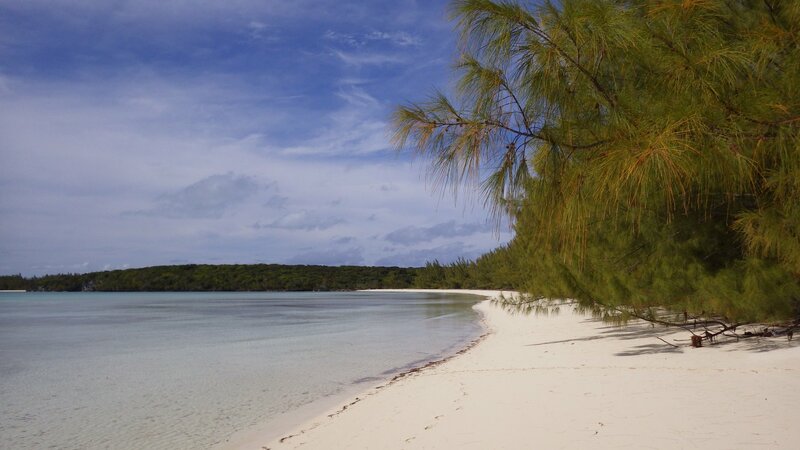 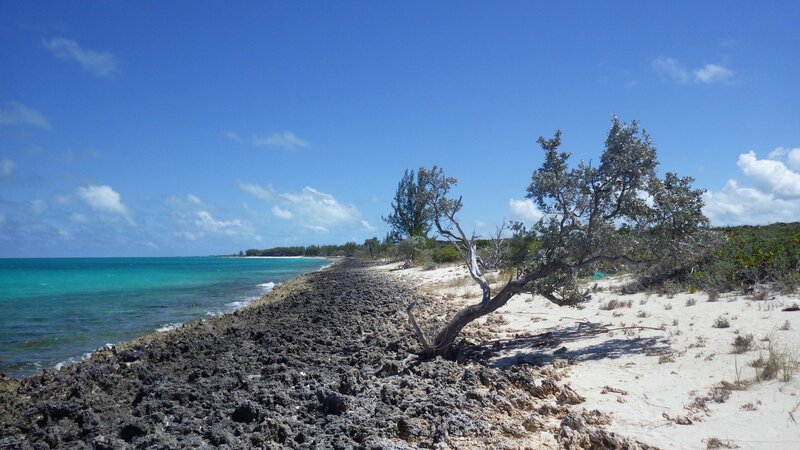 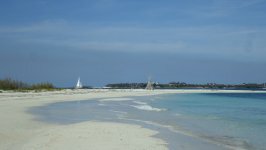 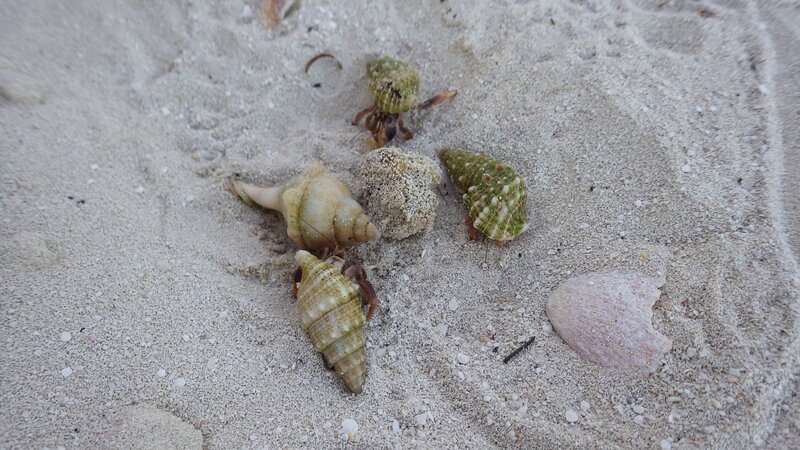 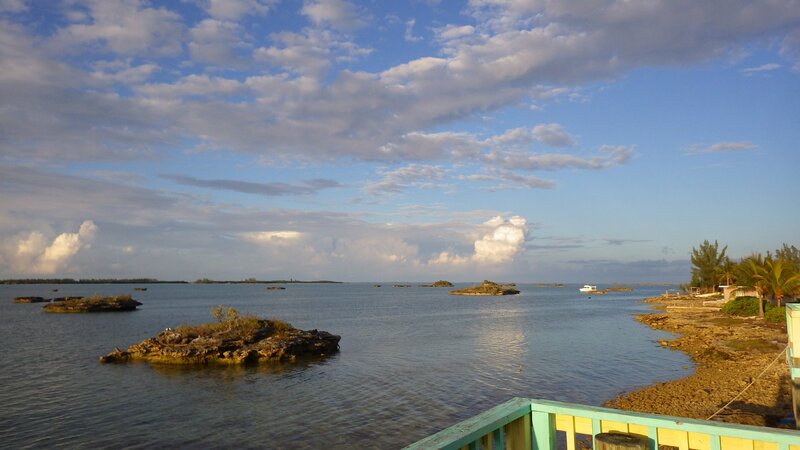 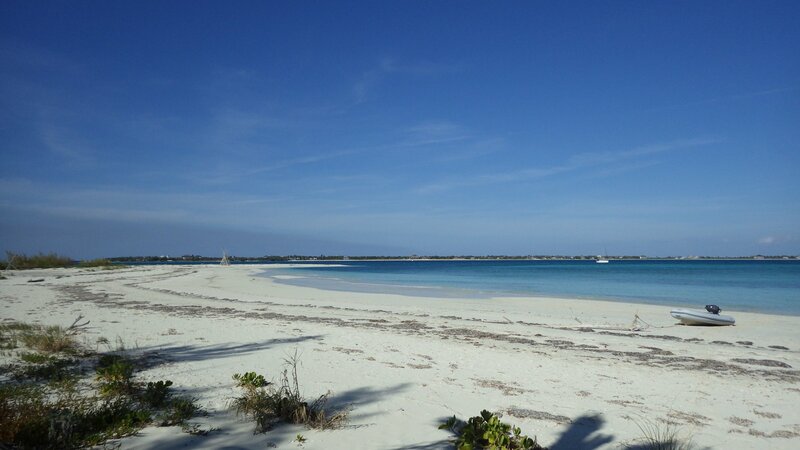 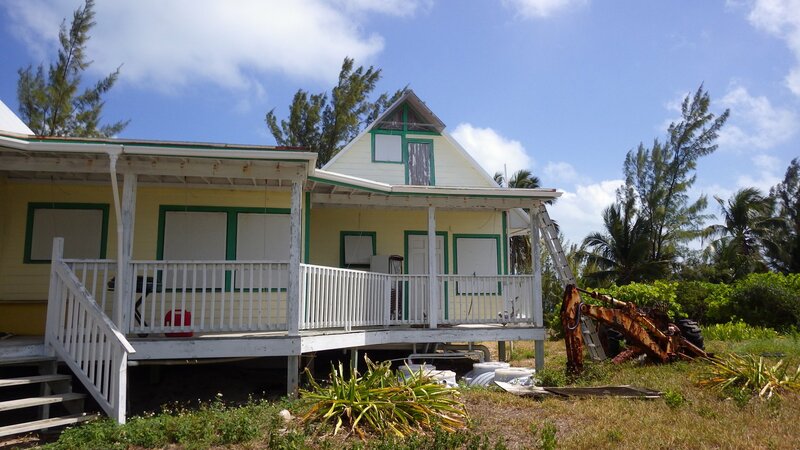 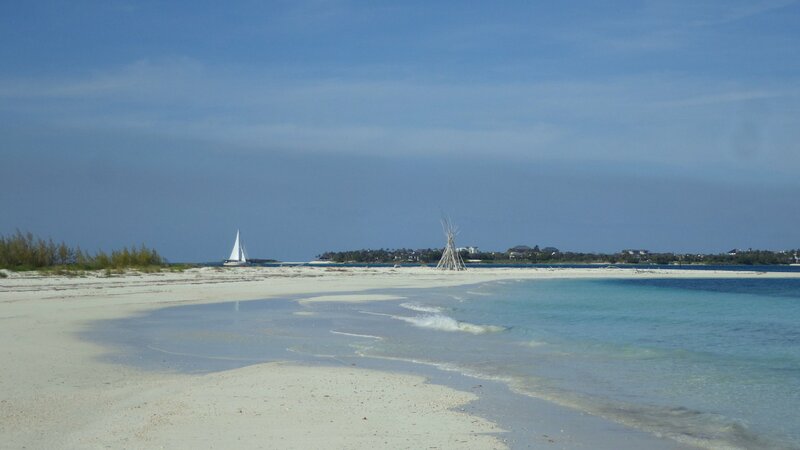 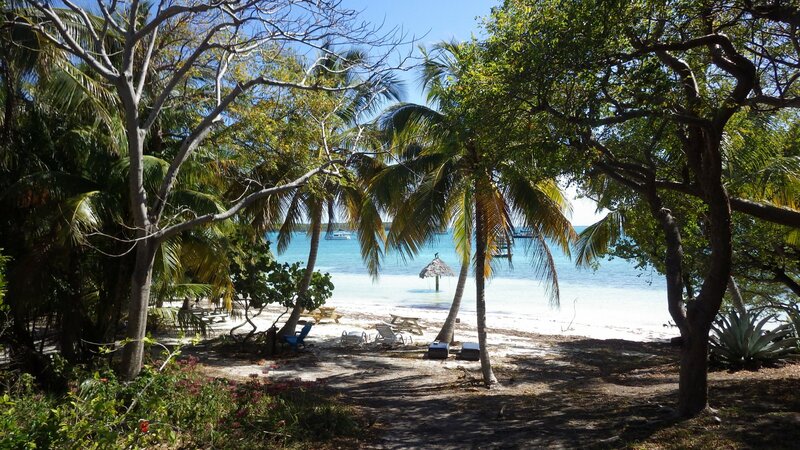 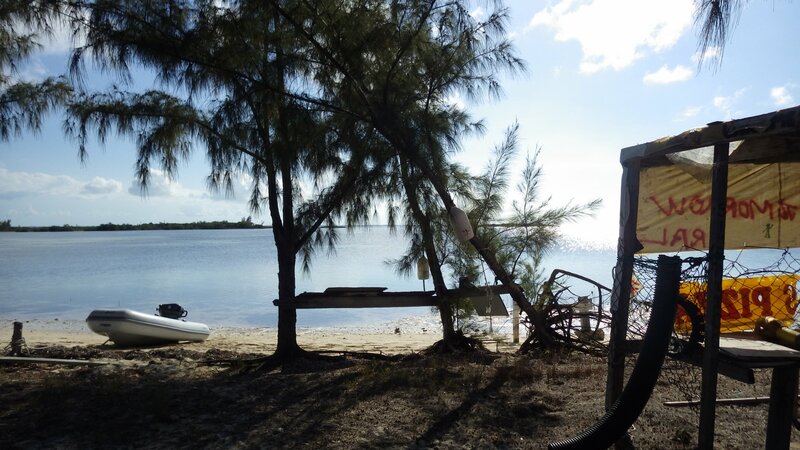 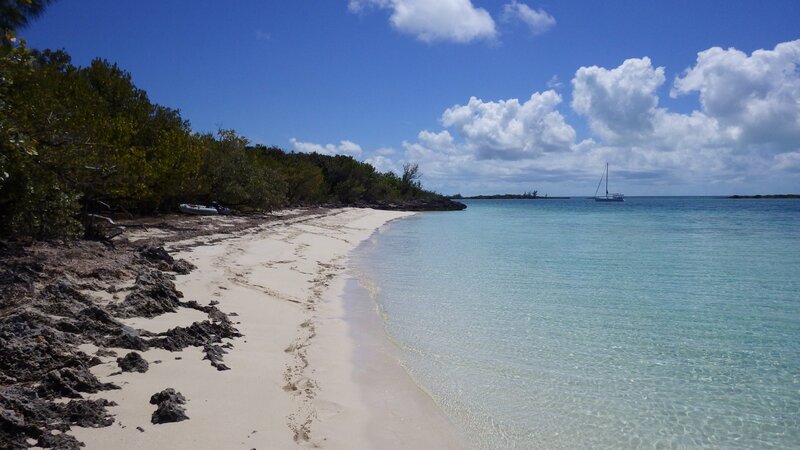 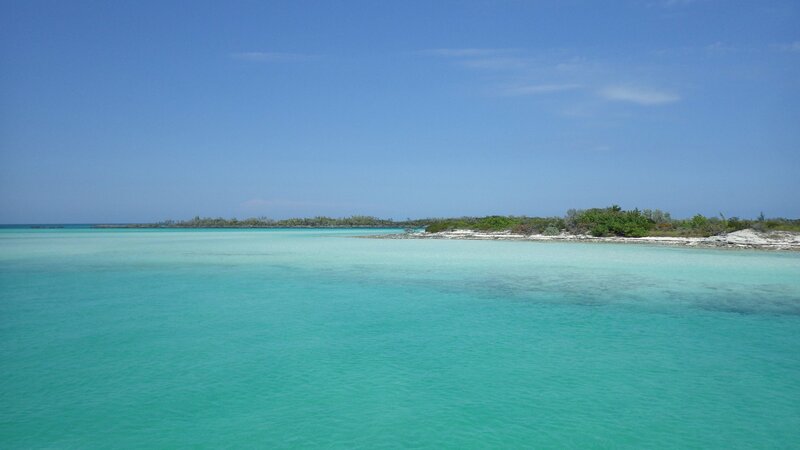 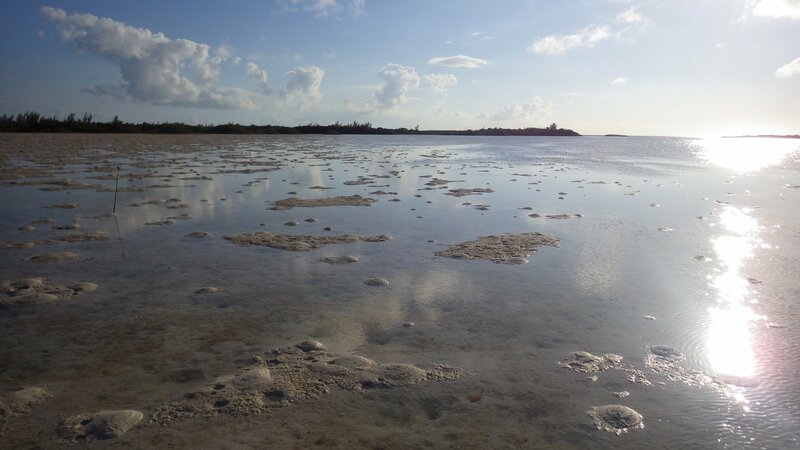 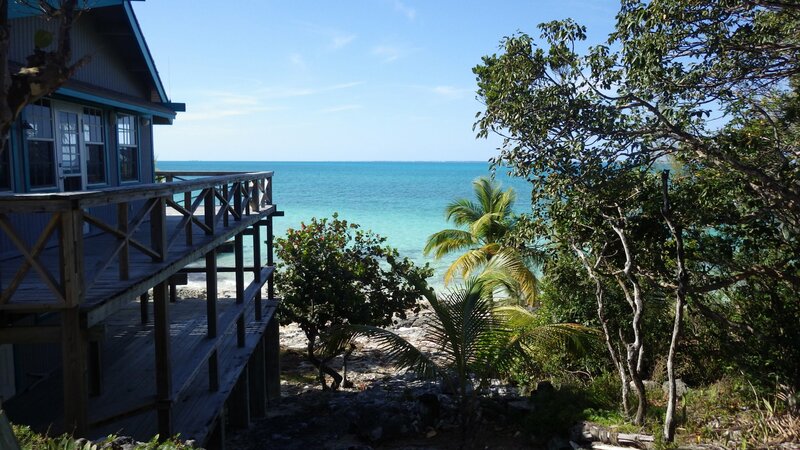 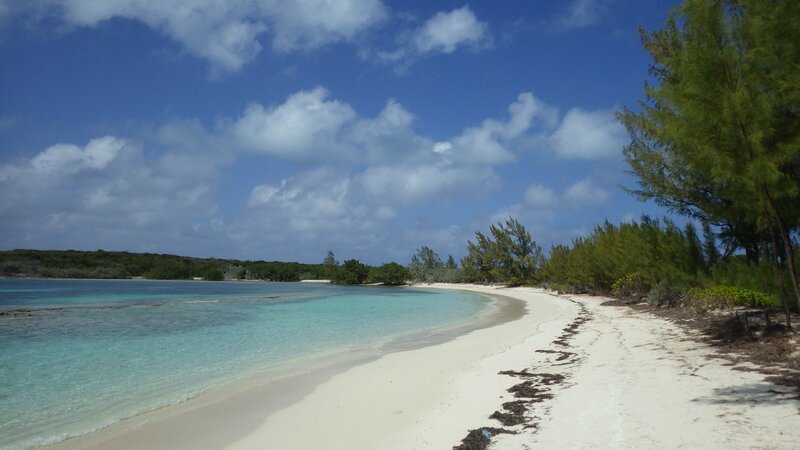 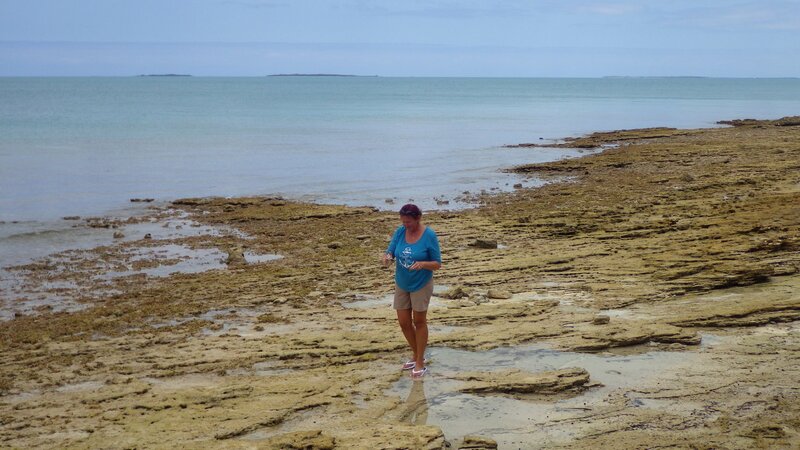 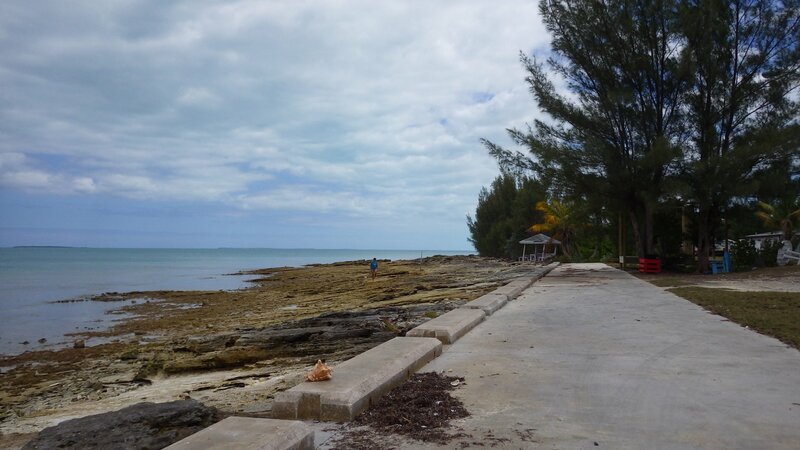 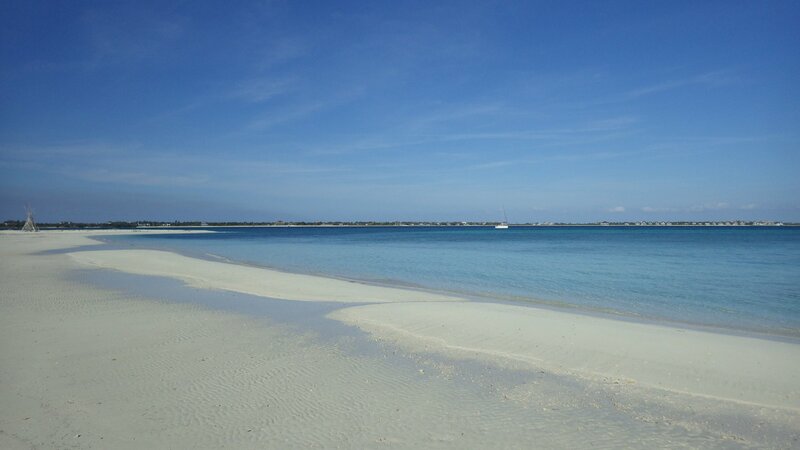 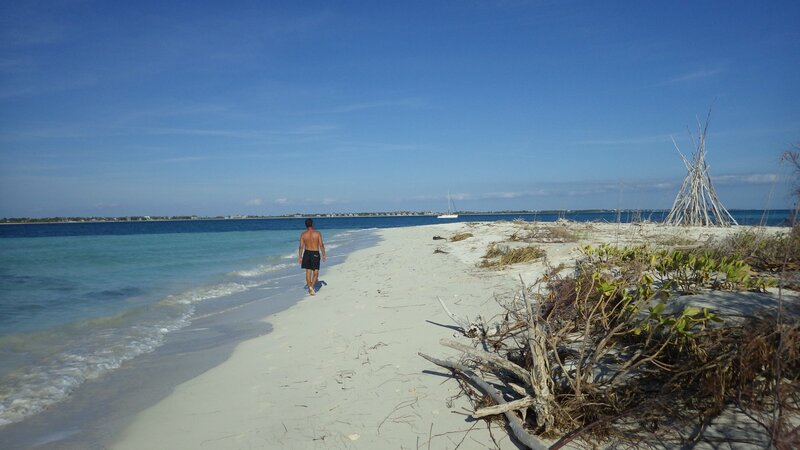 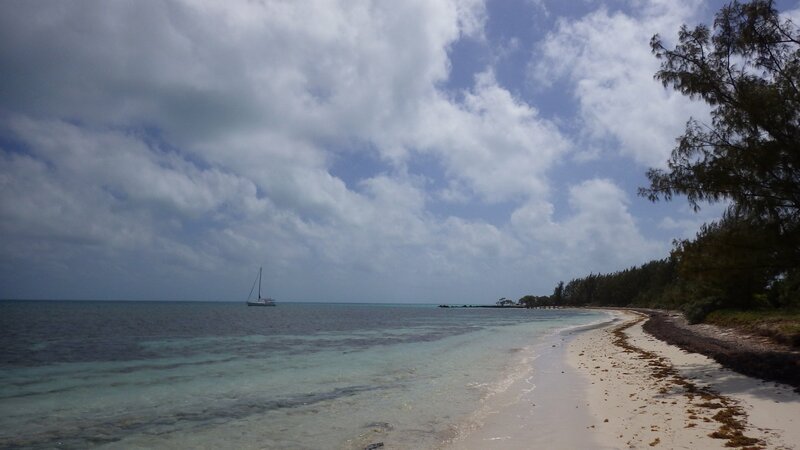 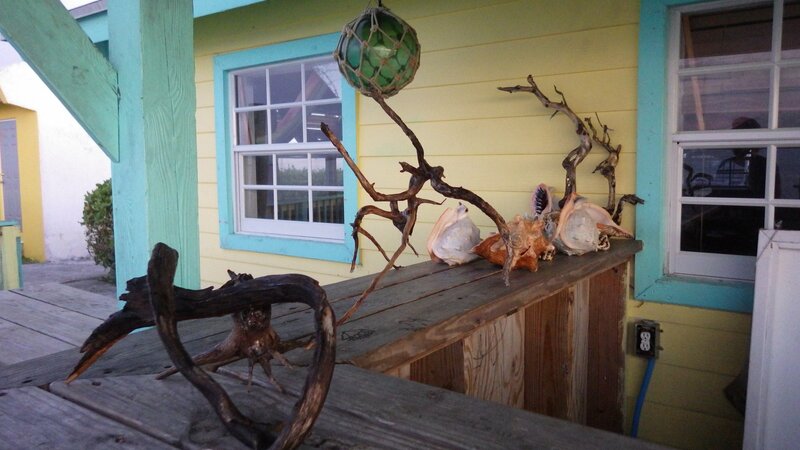 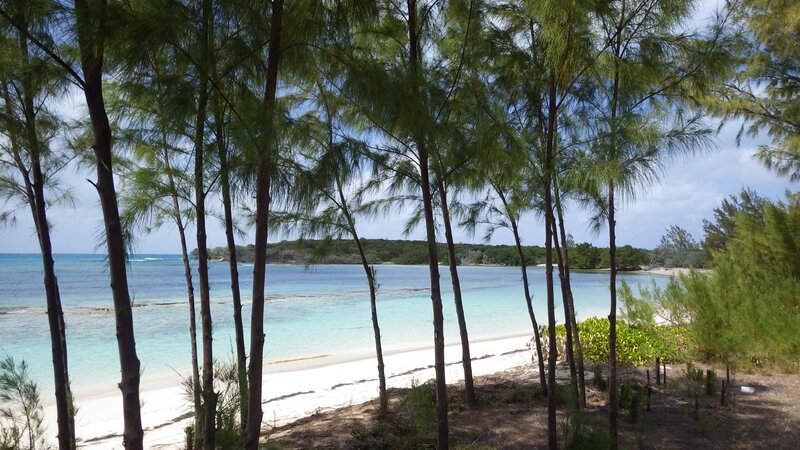 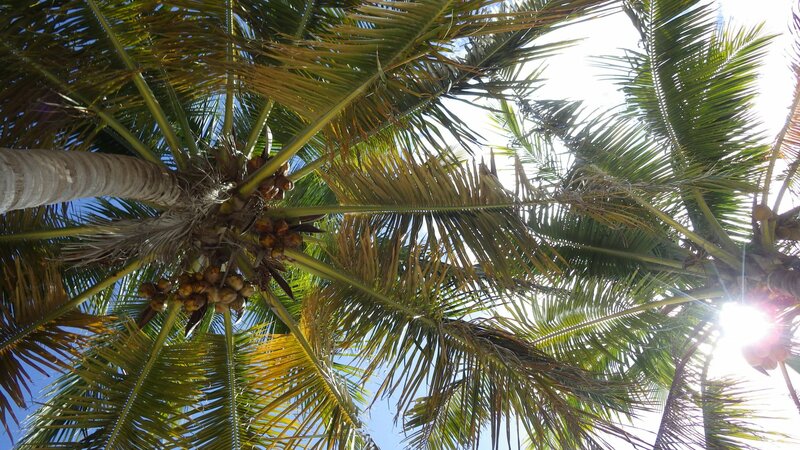 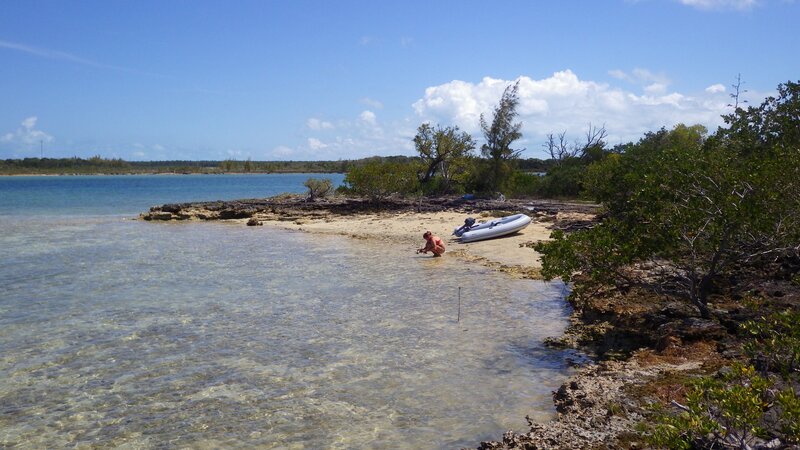 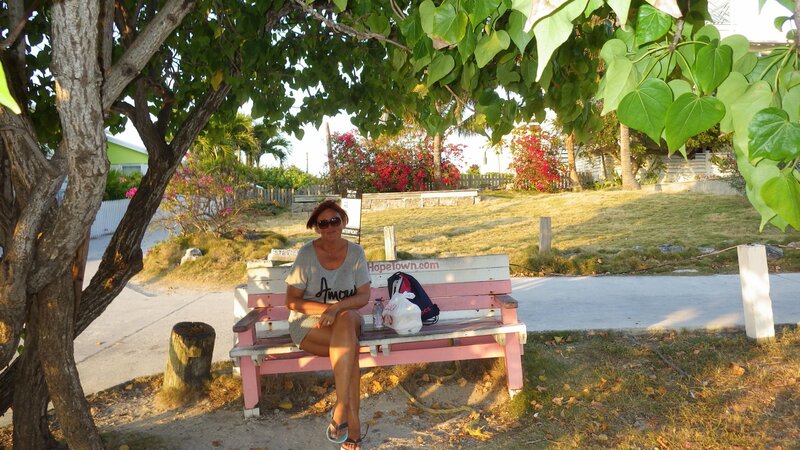 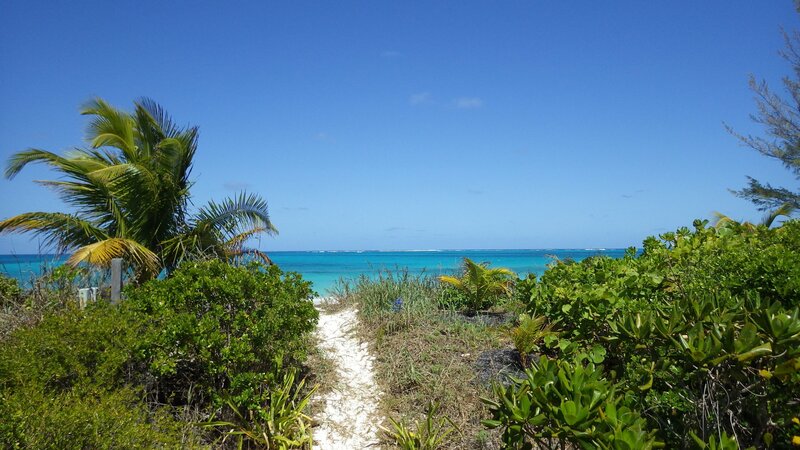 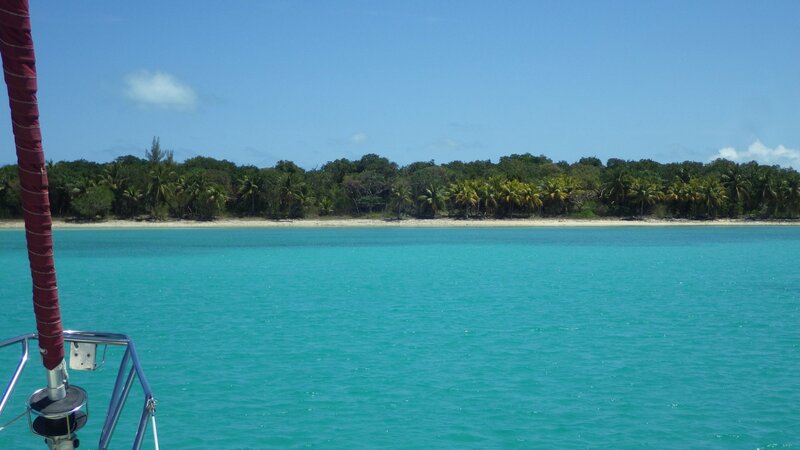 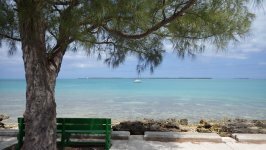 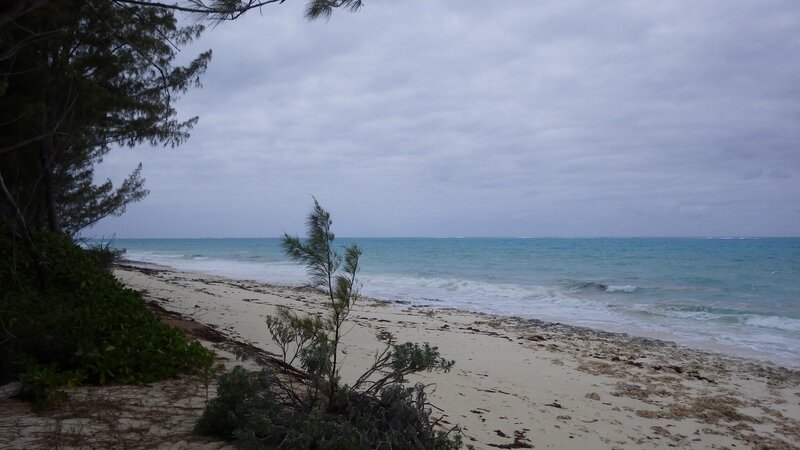 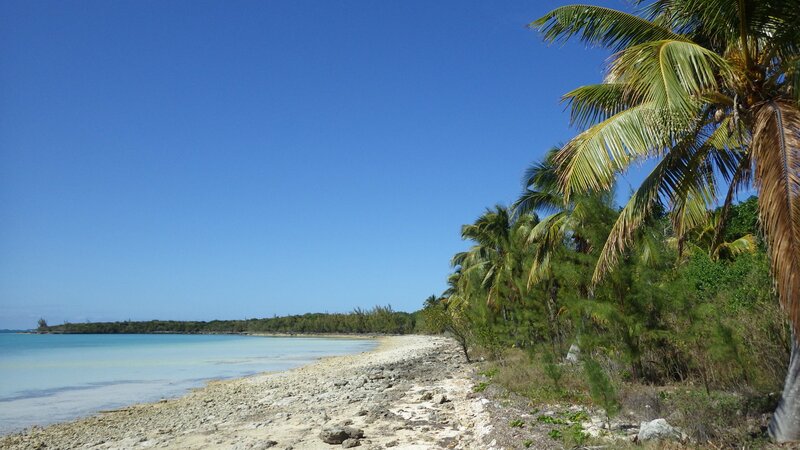 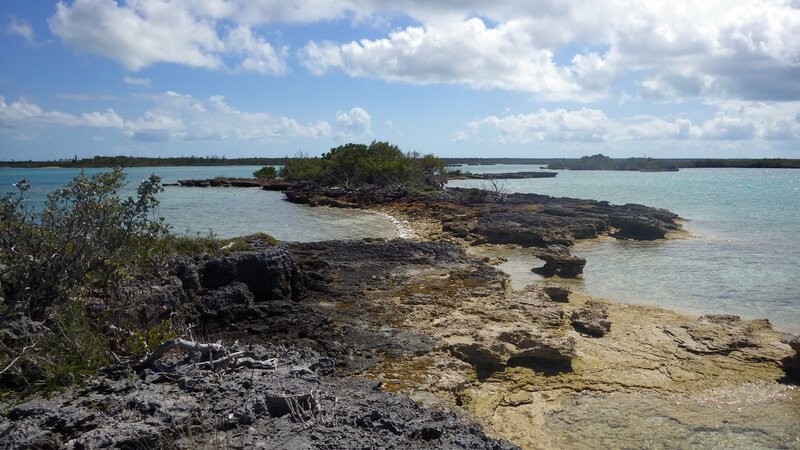 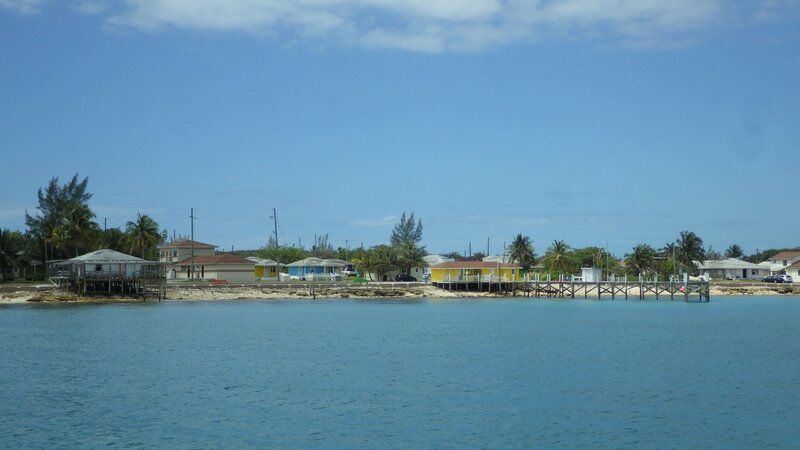 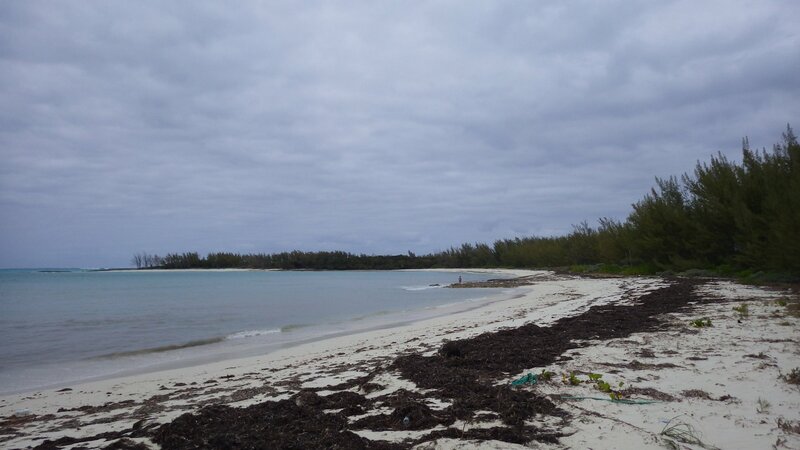 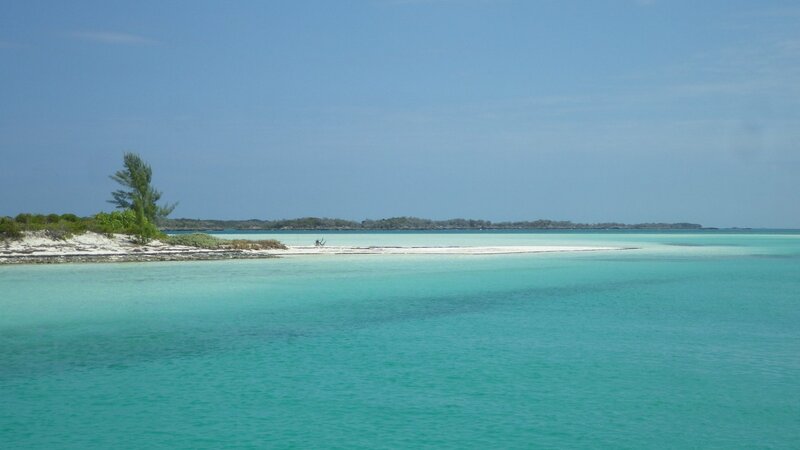 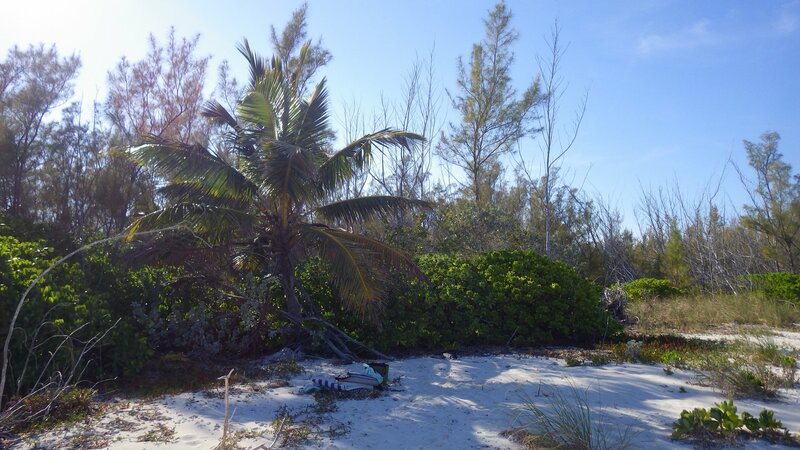 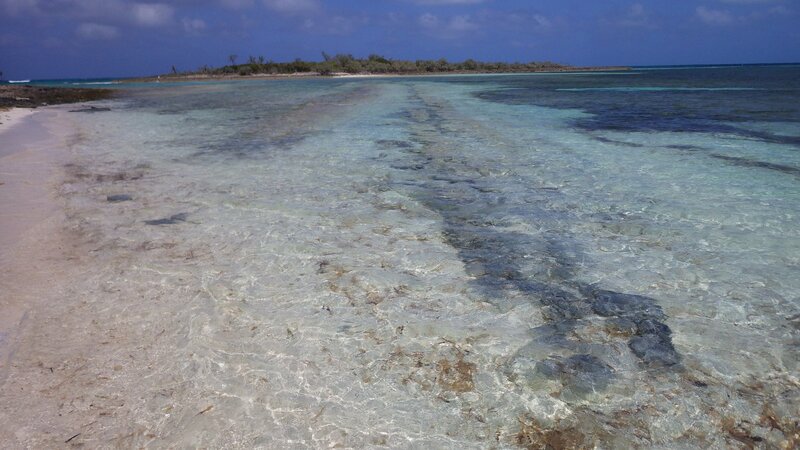 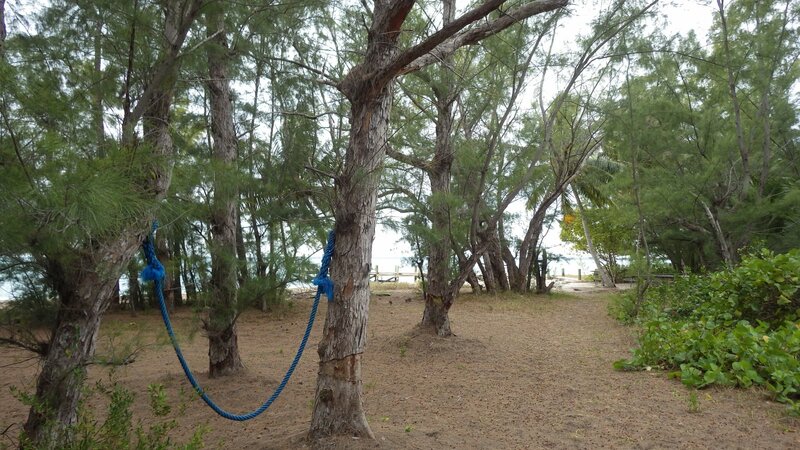 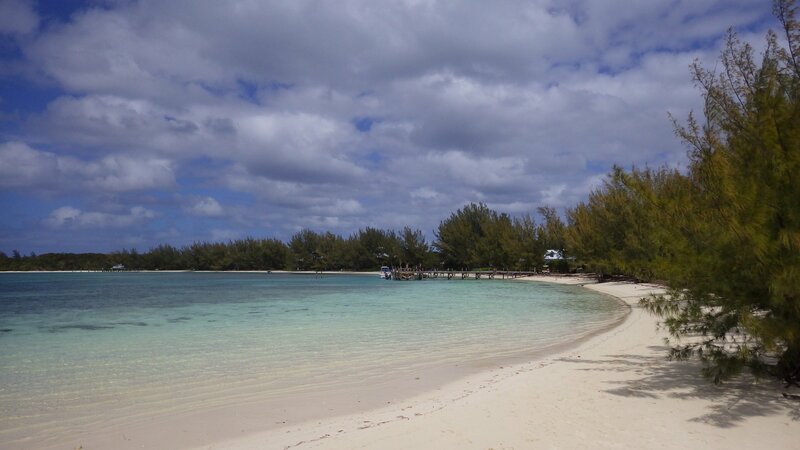 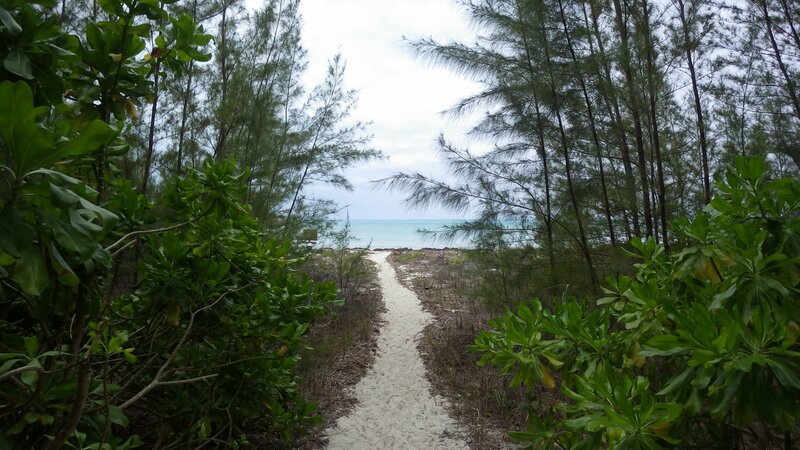 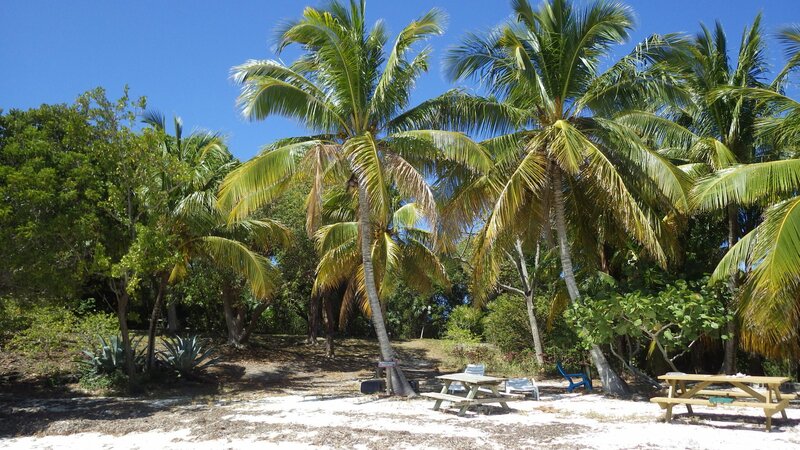 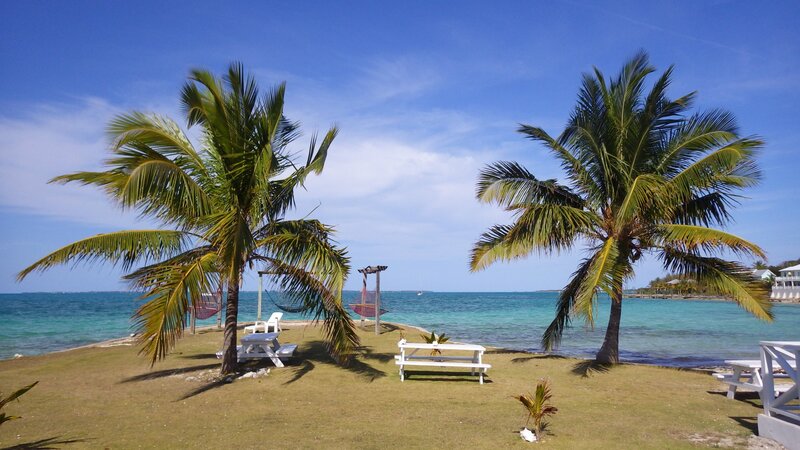 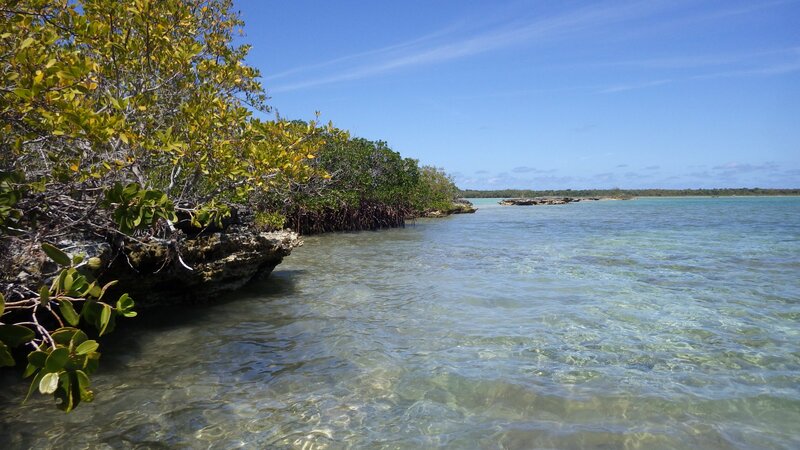 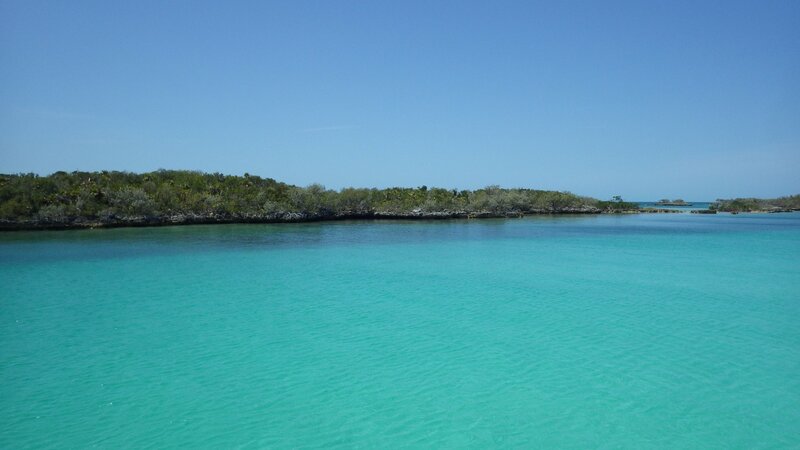 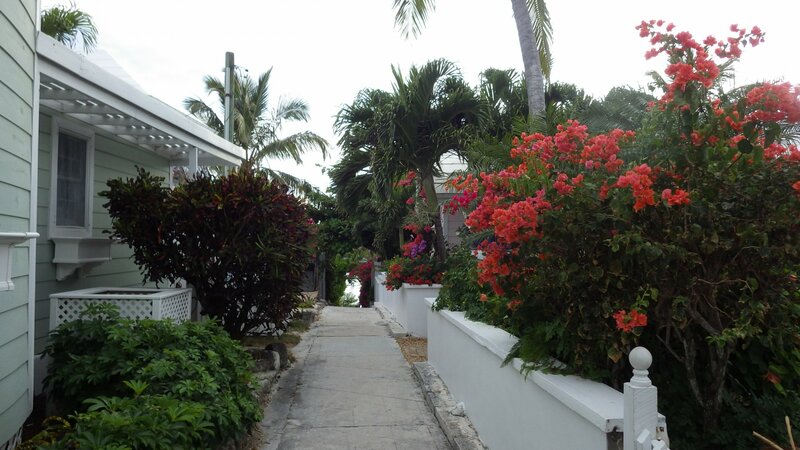 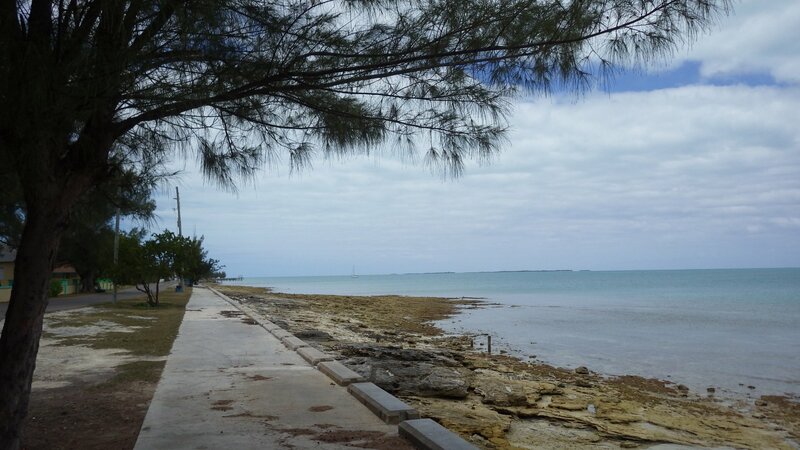 Powel Cay has nice beaches and walking trails crossing the island to the ocean side. 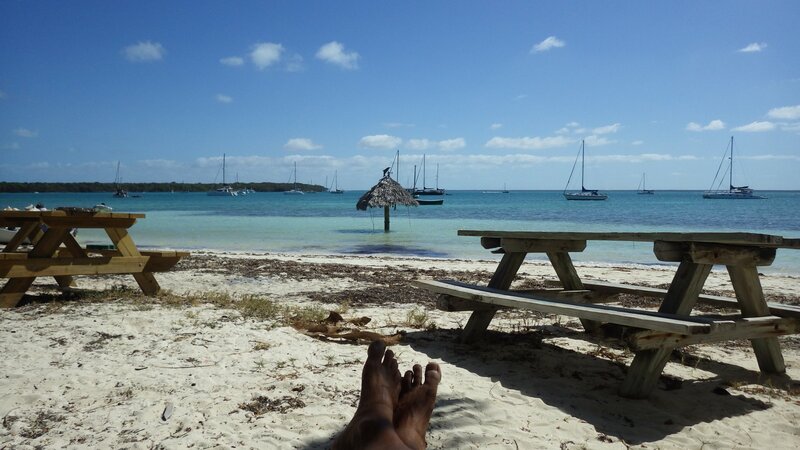 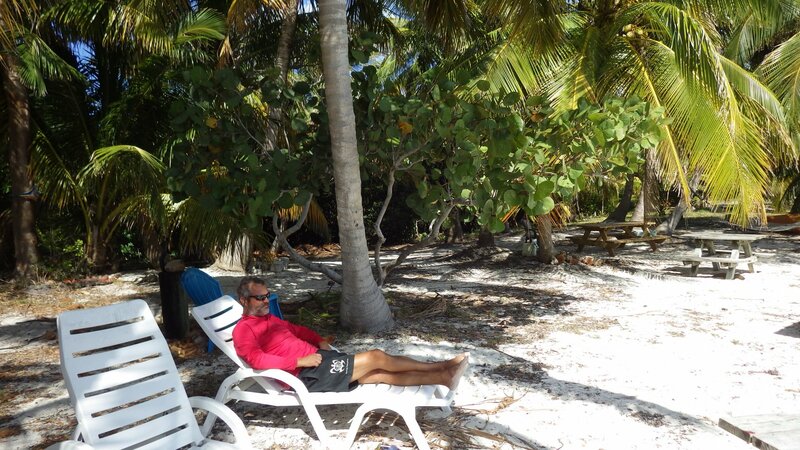 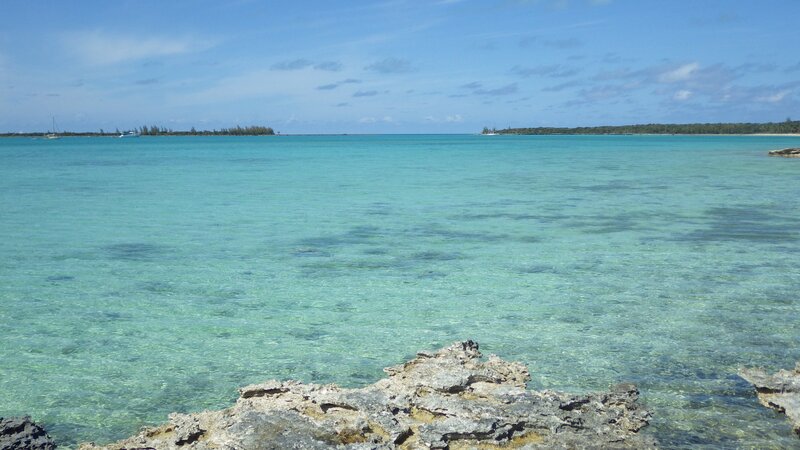 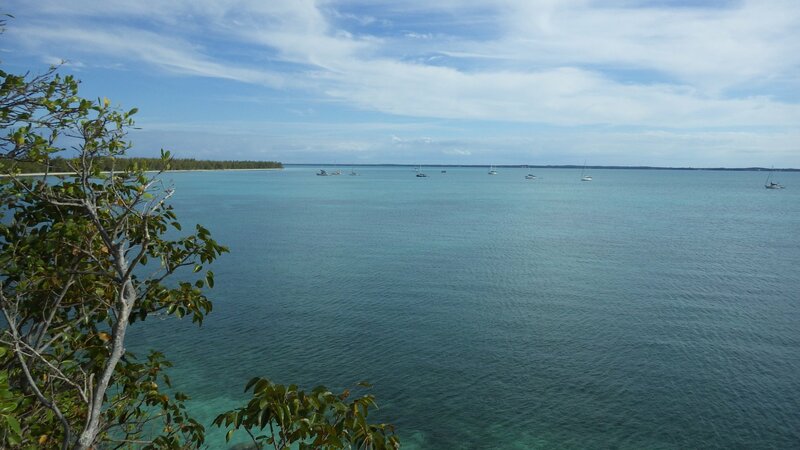 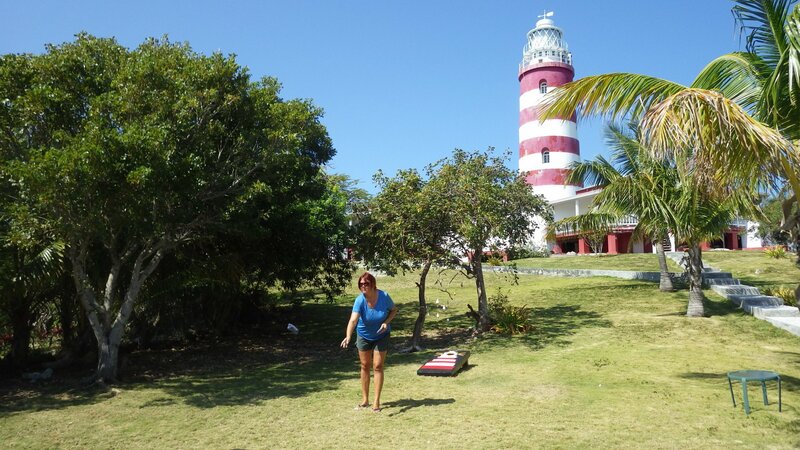 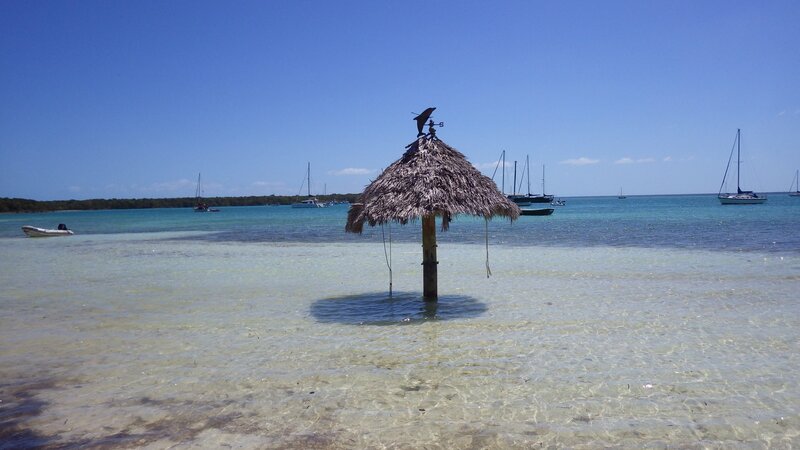 Spent few pleasurable days at Angel Fish Point near Crab Cay. 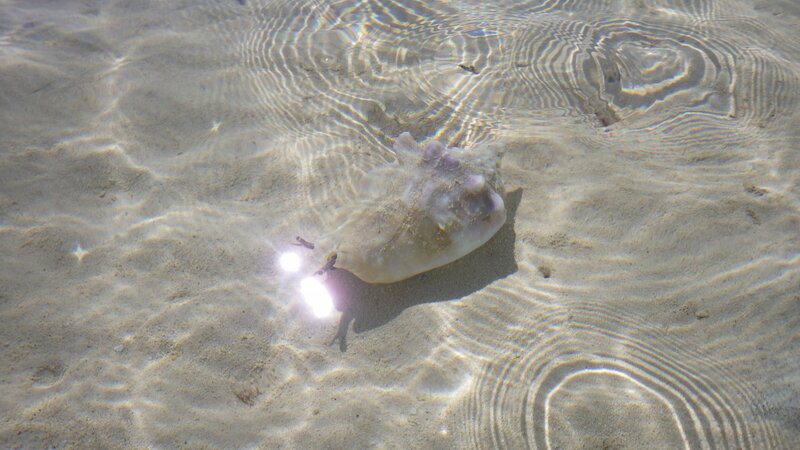 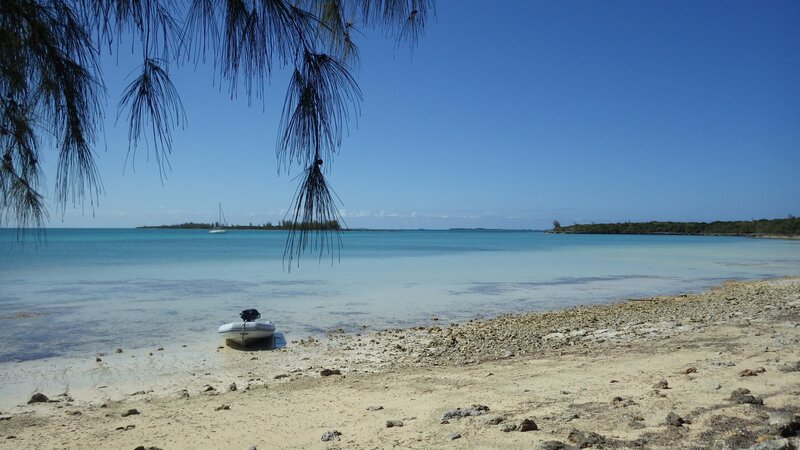 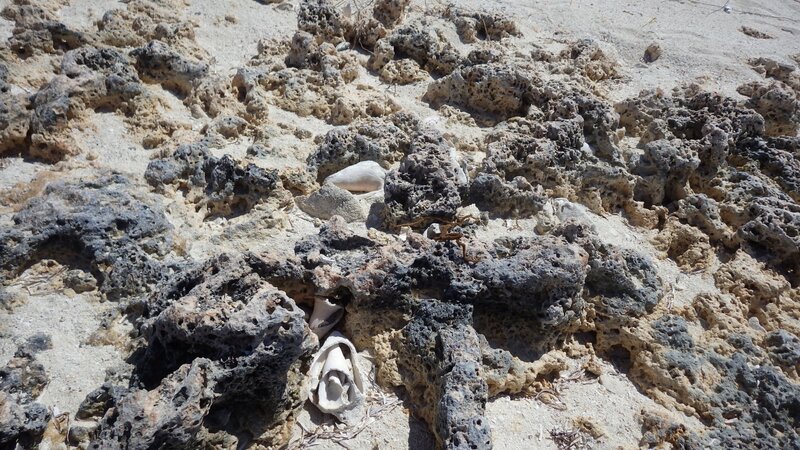 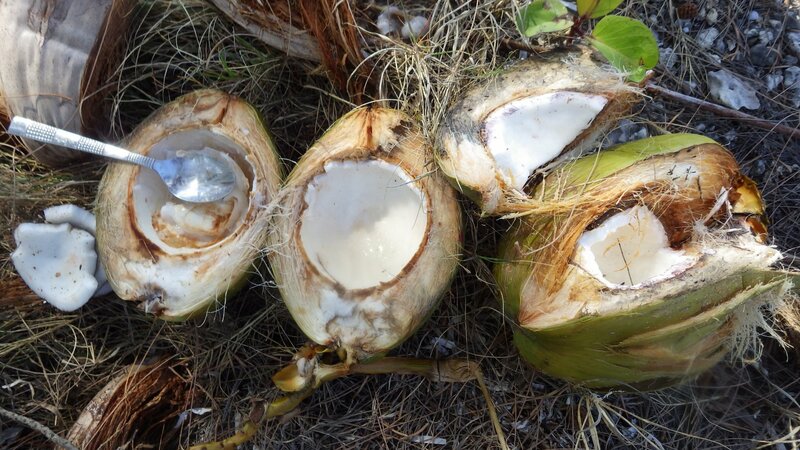 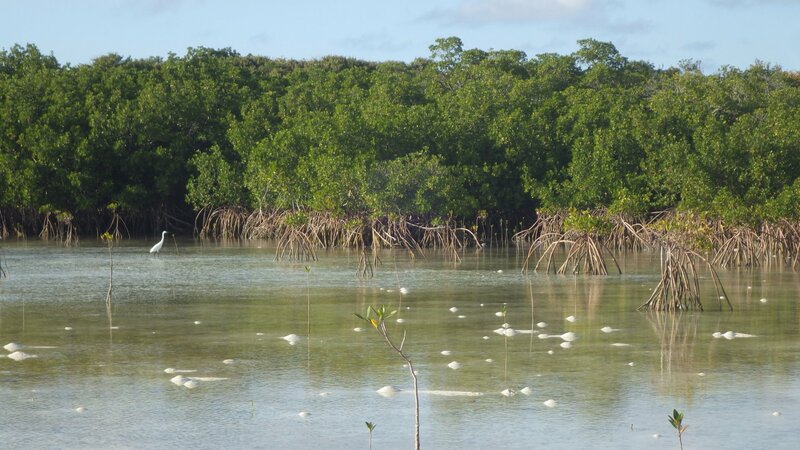 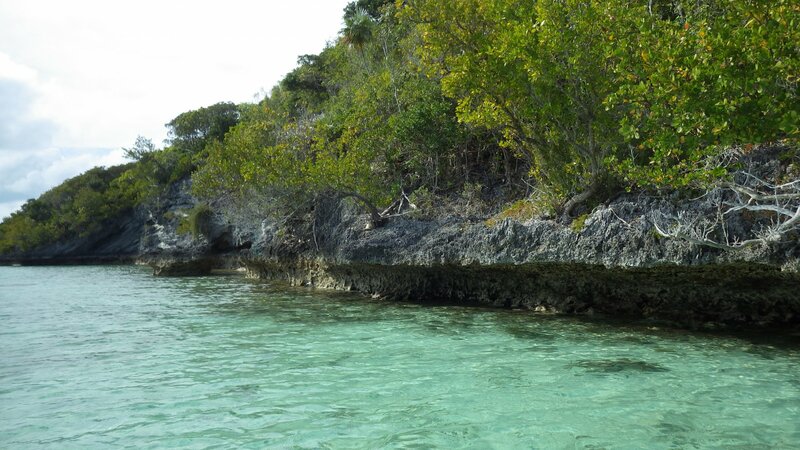 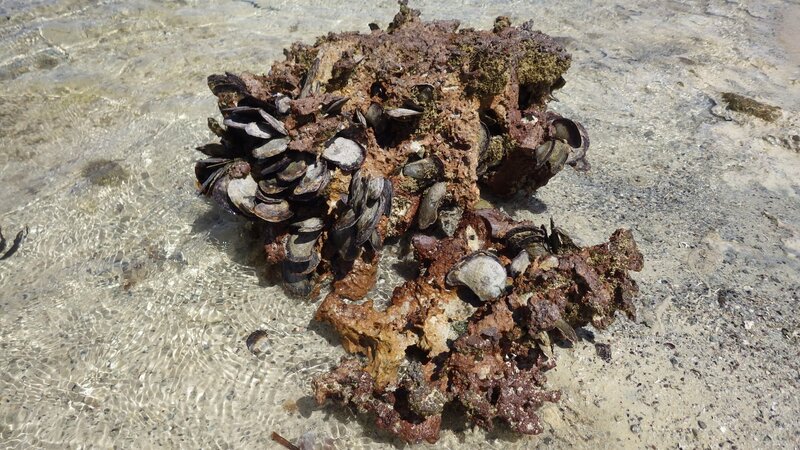 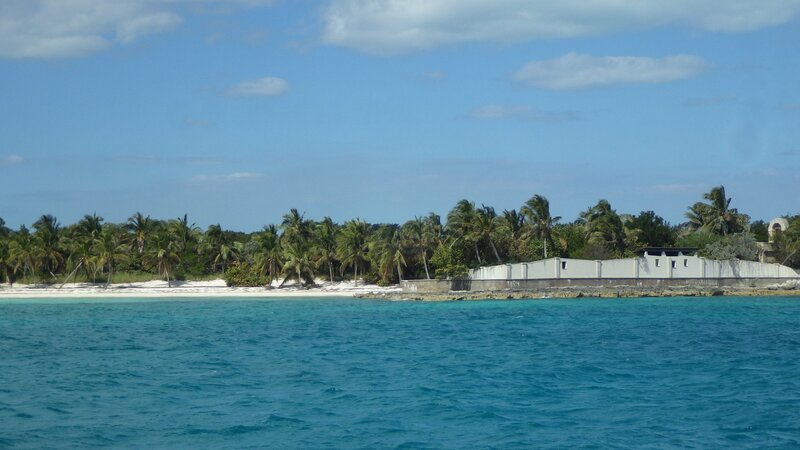 Visited small pebbly beach, explored nearby cays on dinghy. 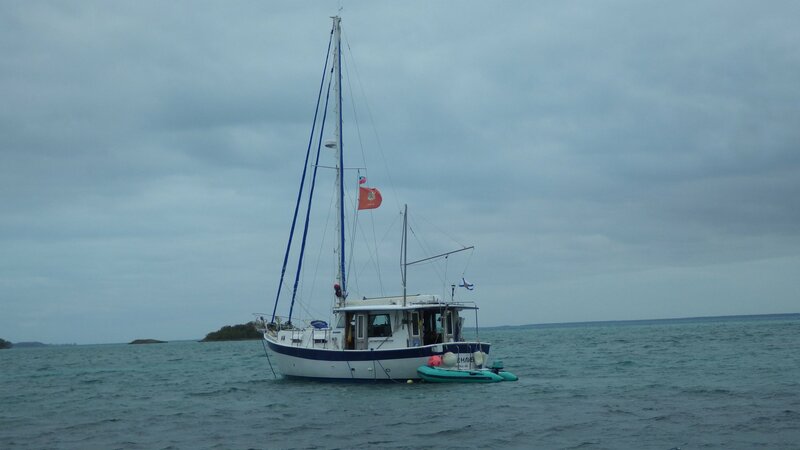 We also had a pleasant Easter turkey dinner with a cursing couple on their large trawler anchored nearby. 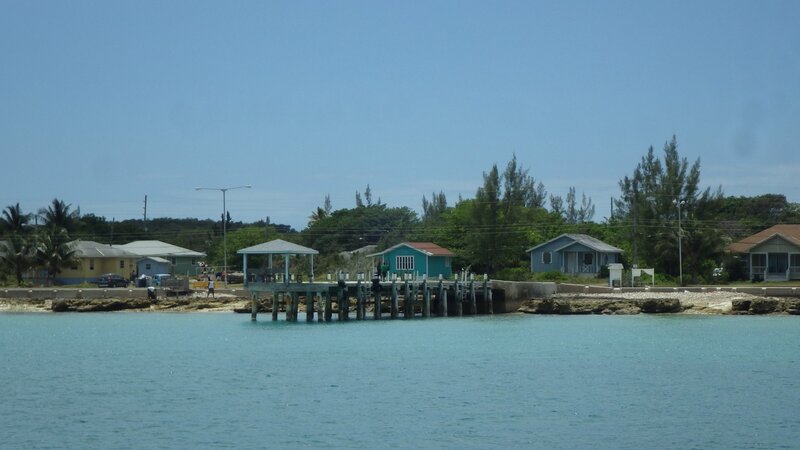 Allans-Pensacola Cays is very nice and popular little island. 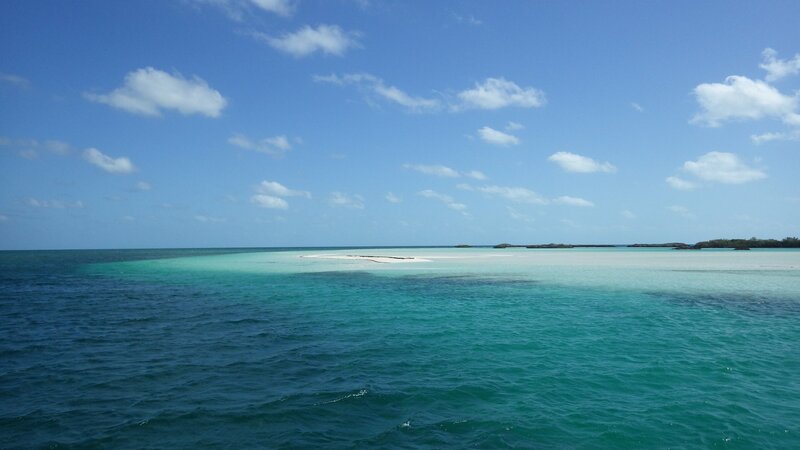 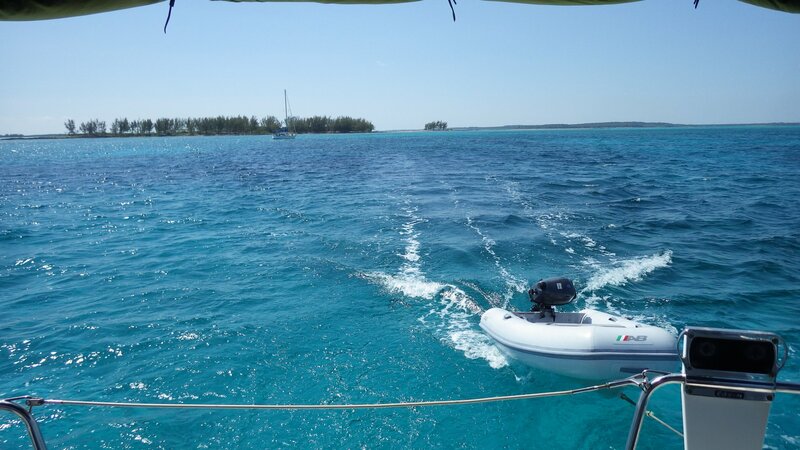 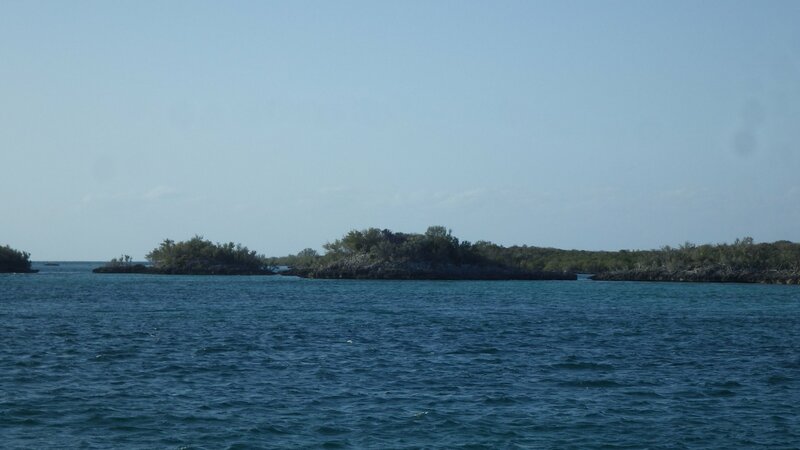 These are use to be two separate cays, but not long time ago a hurricane dumped huge amount of sand in a channel between the cays and joined them. 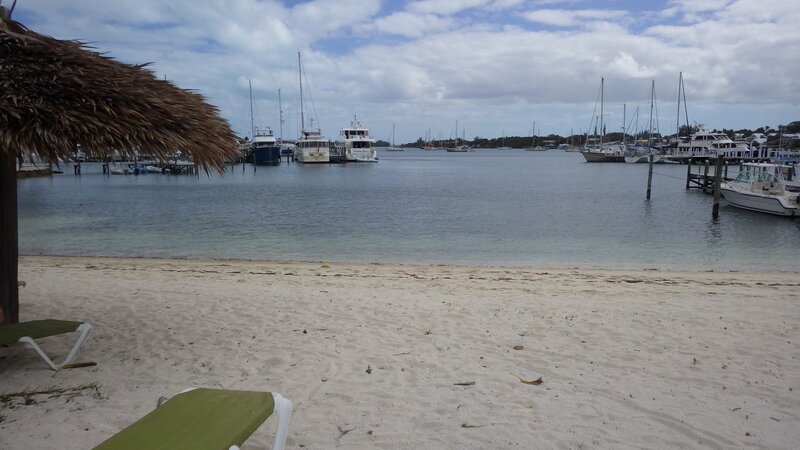 First, there are several nice beaches on the calm leeward side. 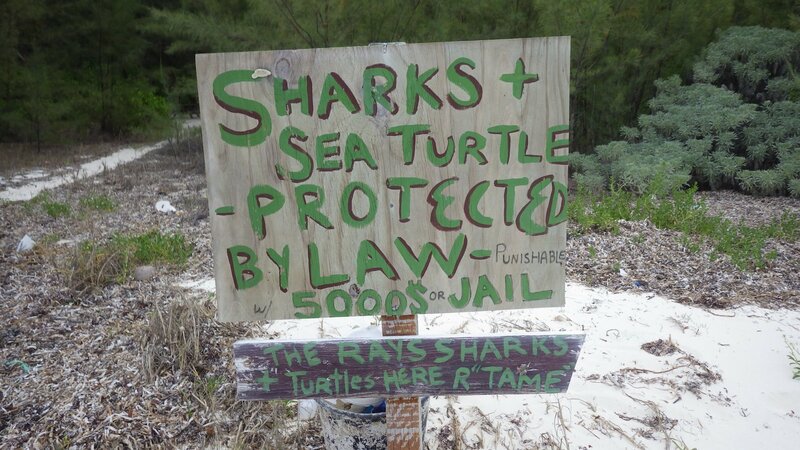 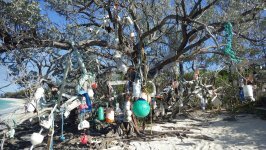 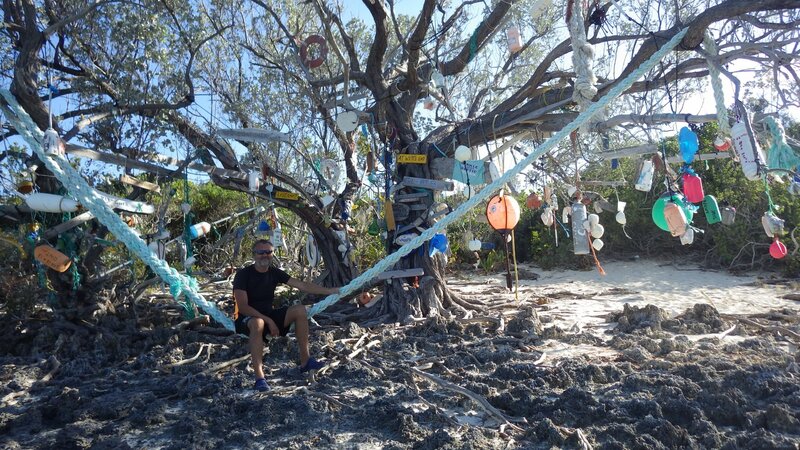 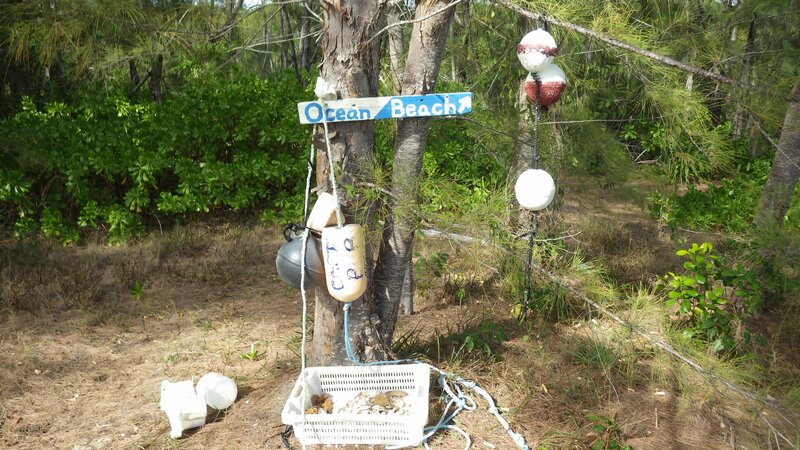 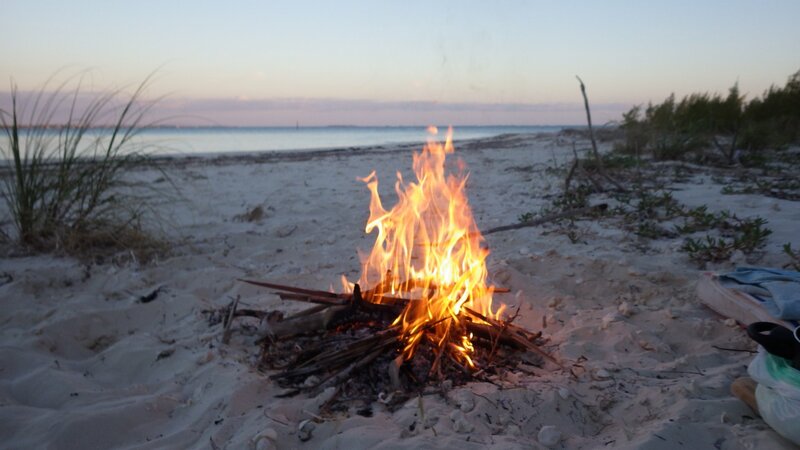 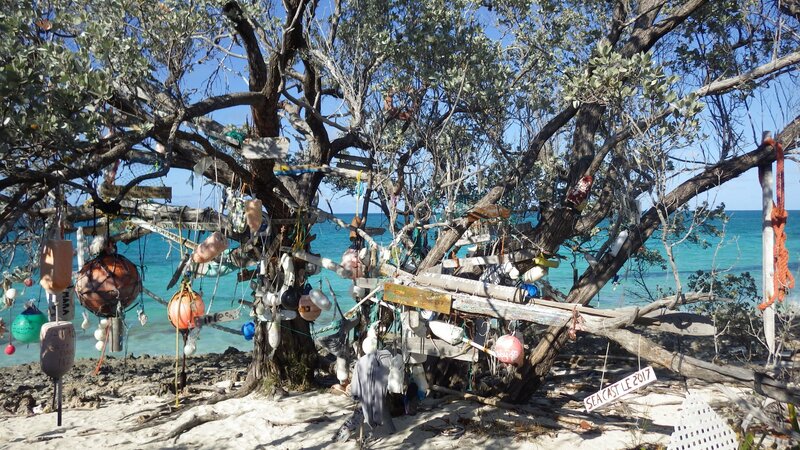 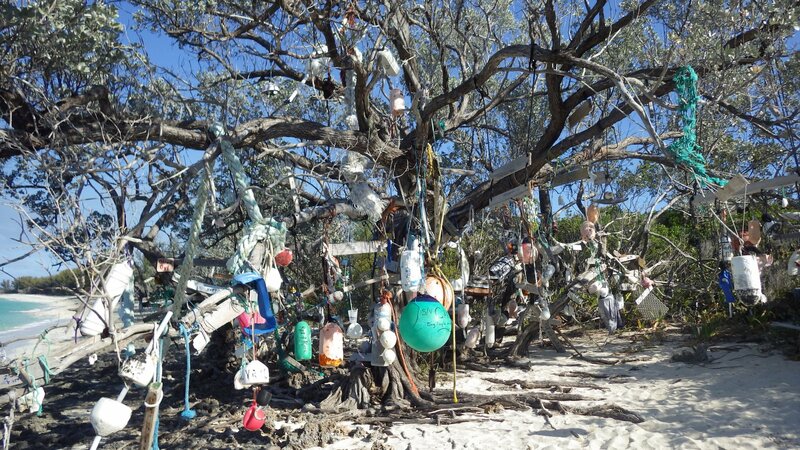 Second, there are pretty but somewhat rough beaches on the windward side, with several "signing" trees, where visiting cruisers leave their writings on pieces of flotsam. 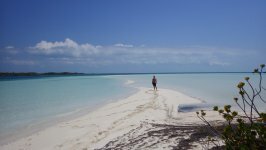 Third, there is a shallow sand bank inside the bay which dries at low tide - it is pleasant to walk on and watch some wildlife. 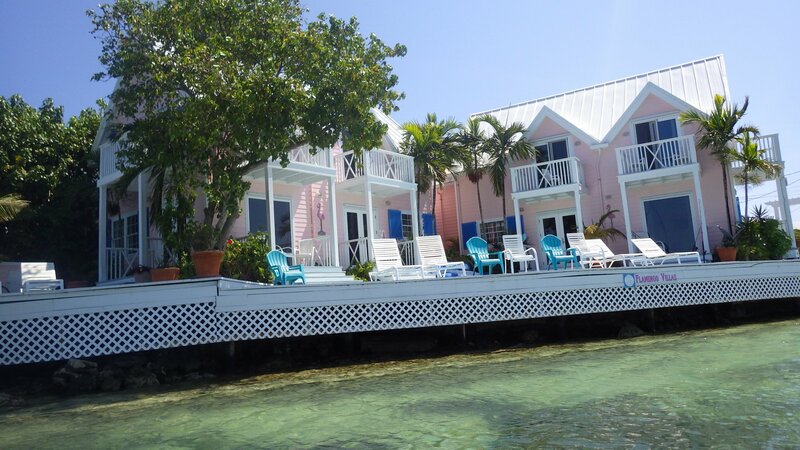 Spent couple days here � liked it. 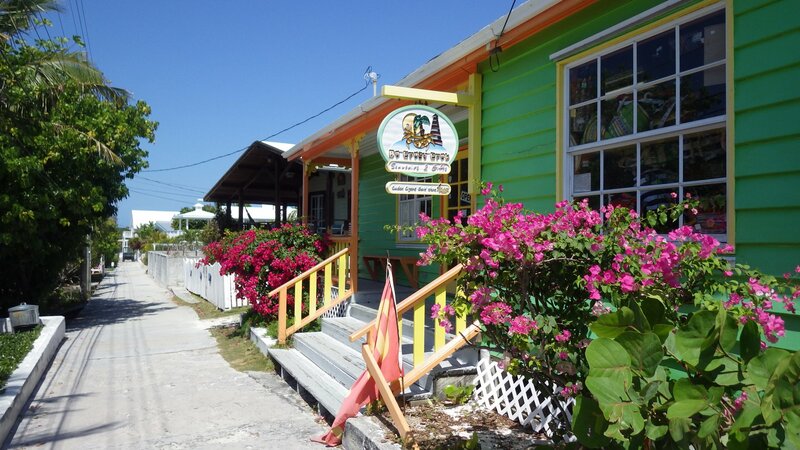 Fox Town is a small outpost settlement, a place to get fresh fish, conch and OK restaurant. 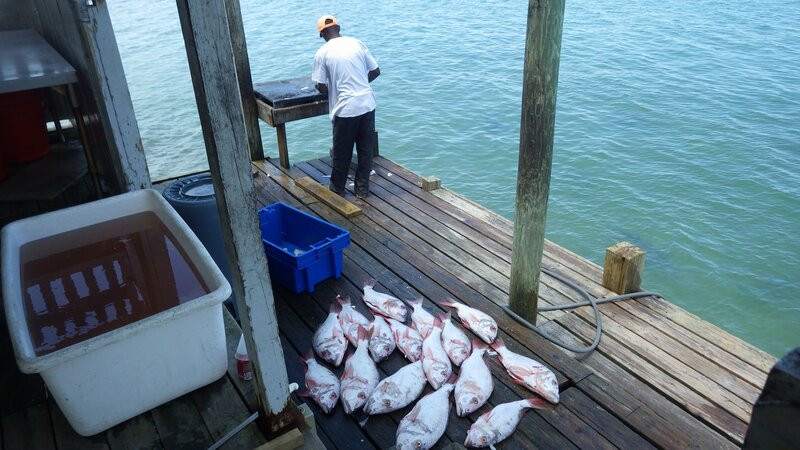 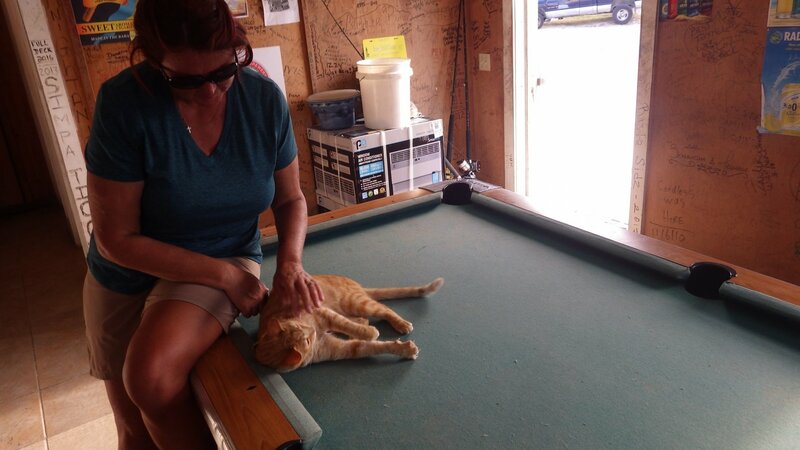 Not much is going on � locals just minding their own mostly fishing business. 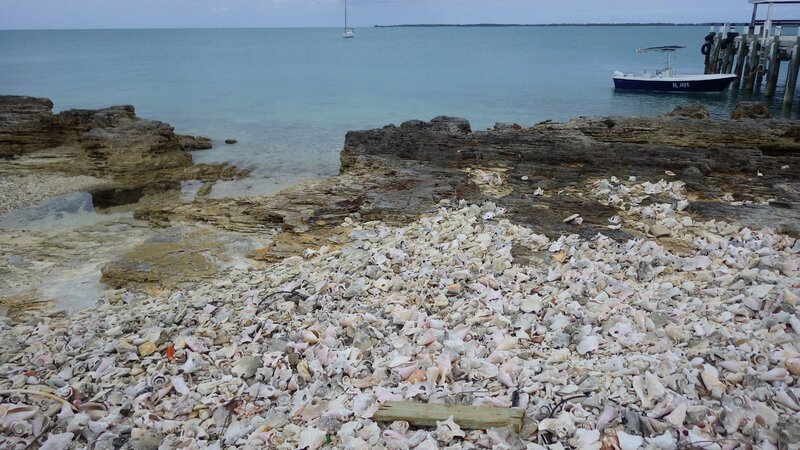 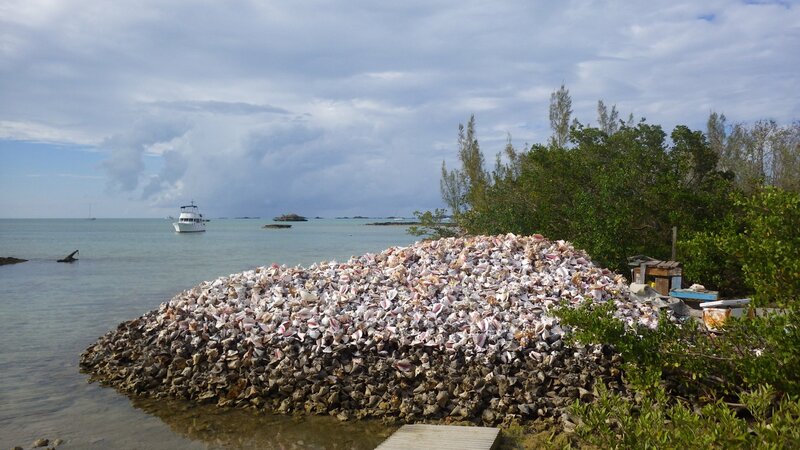 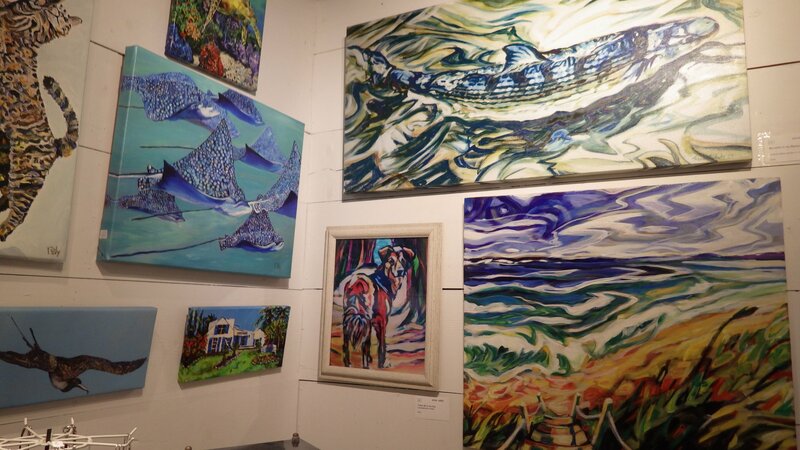 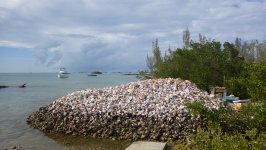 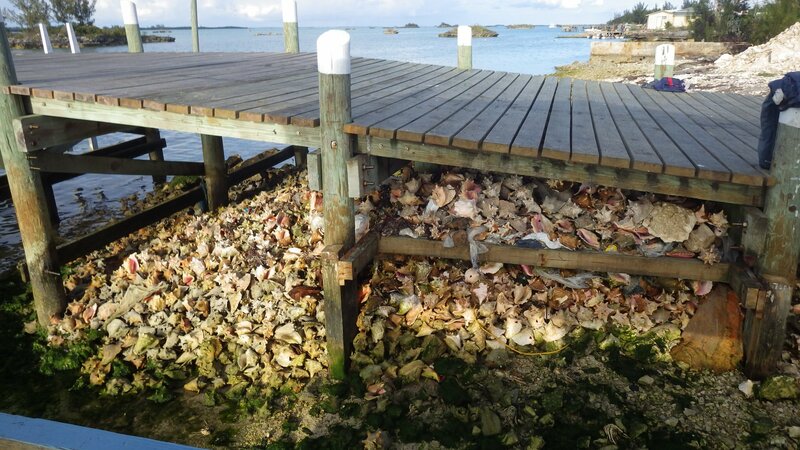 See mountains of conch shells. 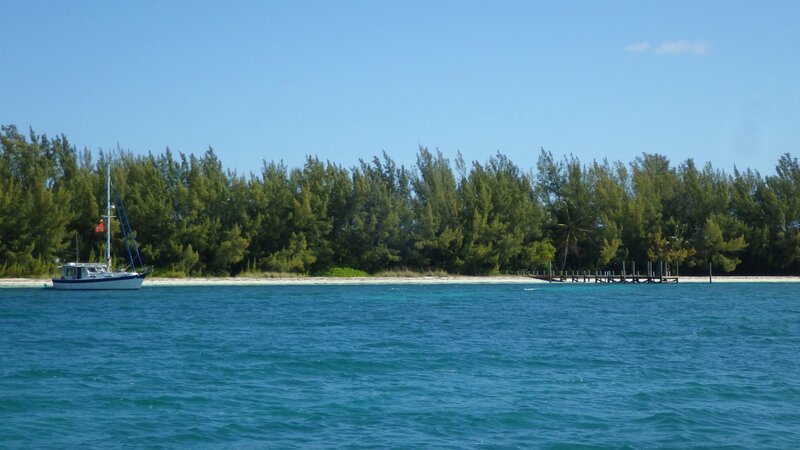 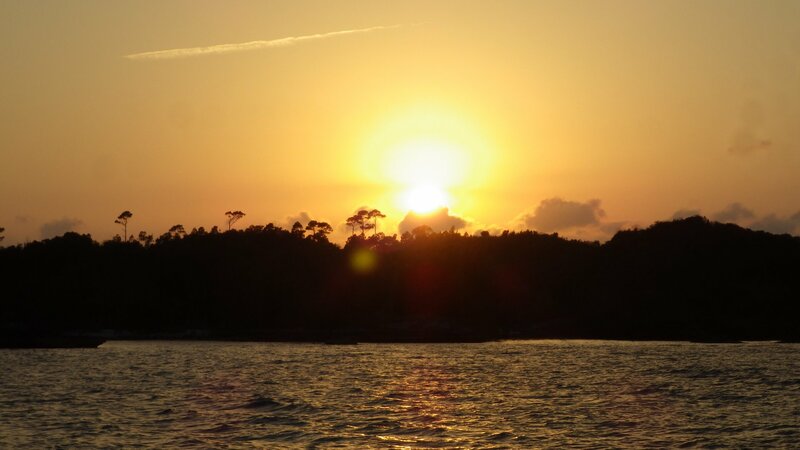 We spent few great and memorable days on this small island. 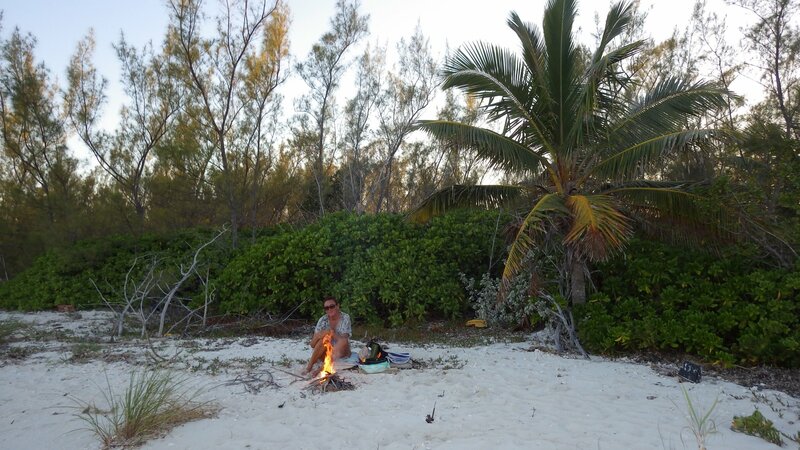 No one came during our stay here, so we had the place to ourselves. 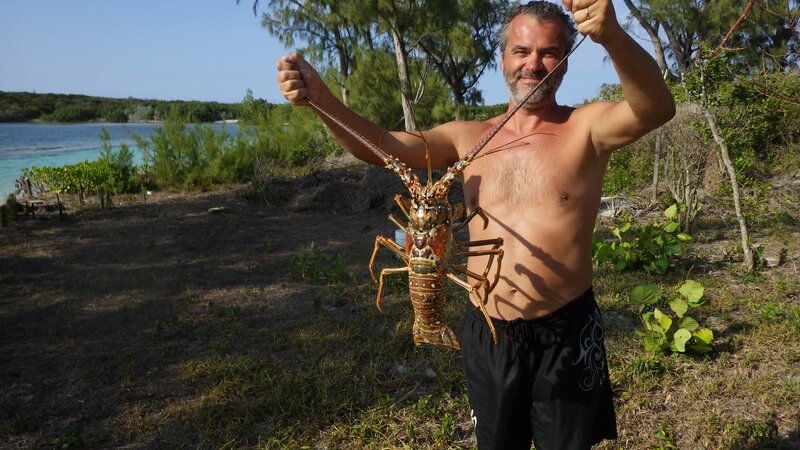 Had a chance to catch a decent size lobster � what a treat! 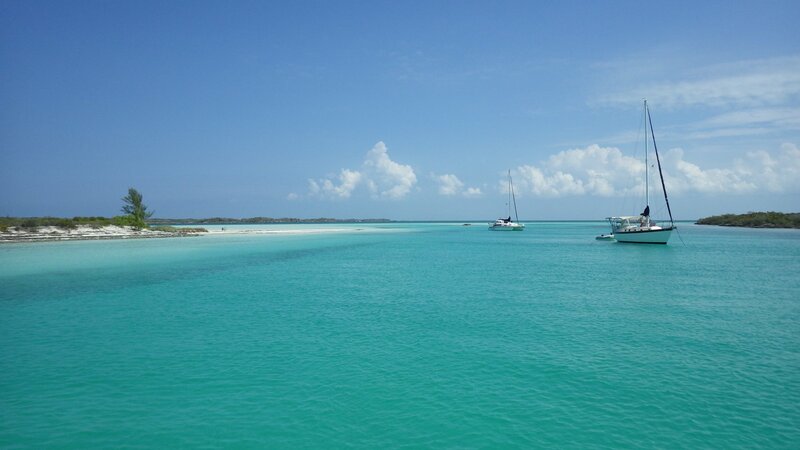 Double Breasted Cays is a very picturesque anchorage in Abacos. 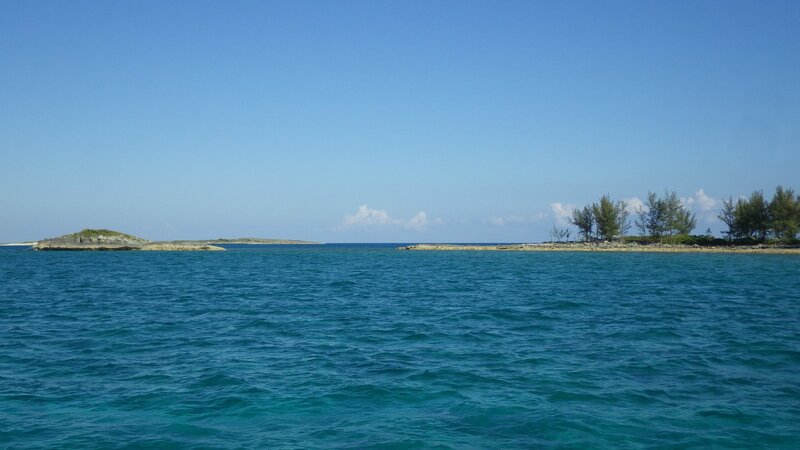 Not easy to get in or out due to a shallow and narrow entrance channel with strong currents, but once in, it is beautiful. 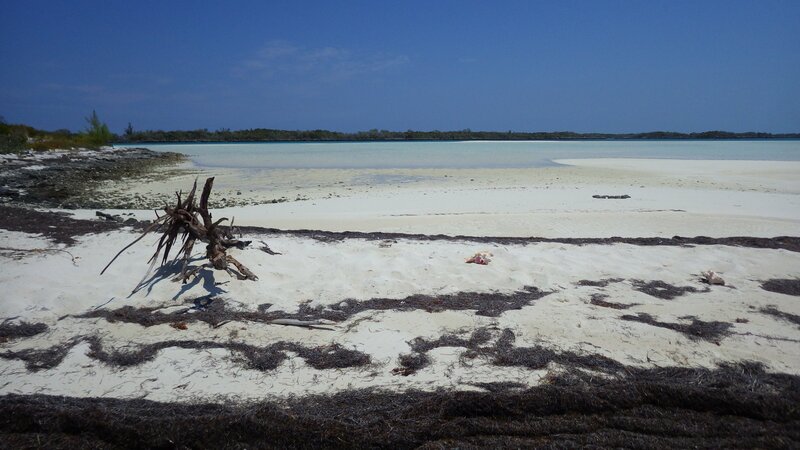 Large parts of Sand Island in the middle of the anchorage appear and disappear with tide. 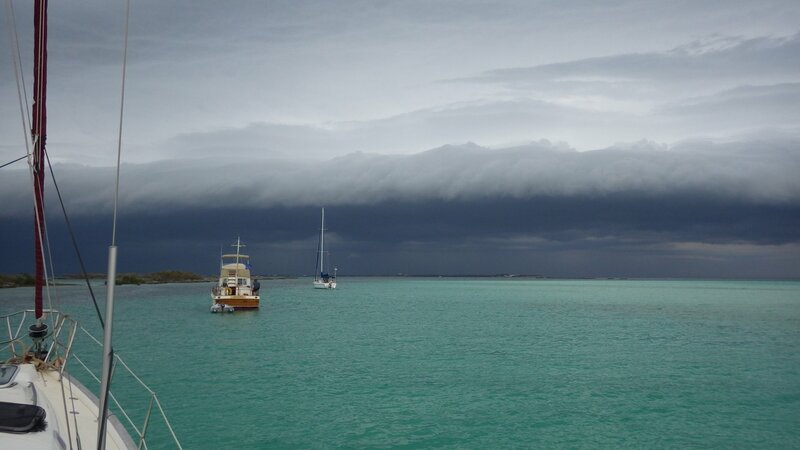 Had an unexpected strong storm coming through, some boats dragged anchors. 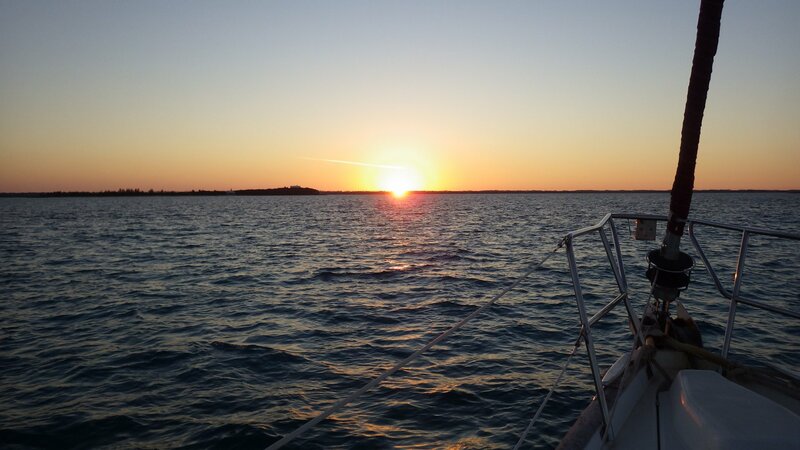 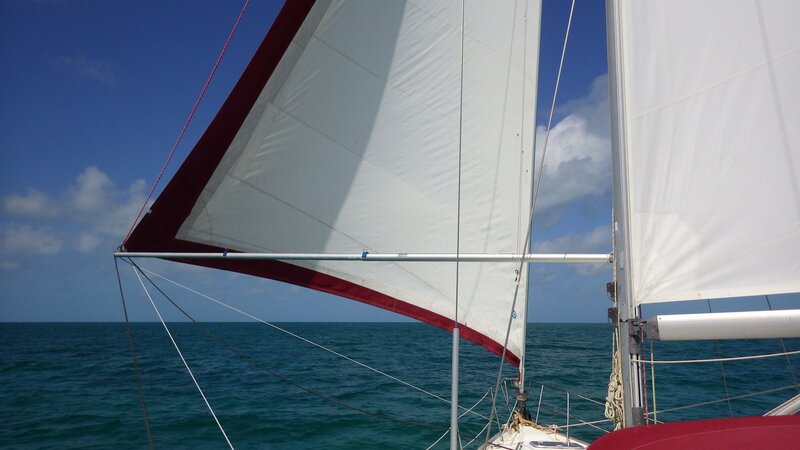 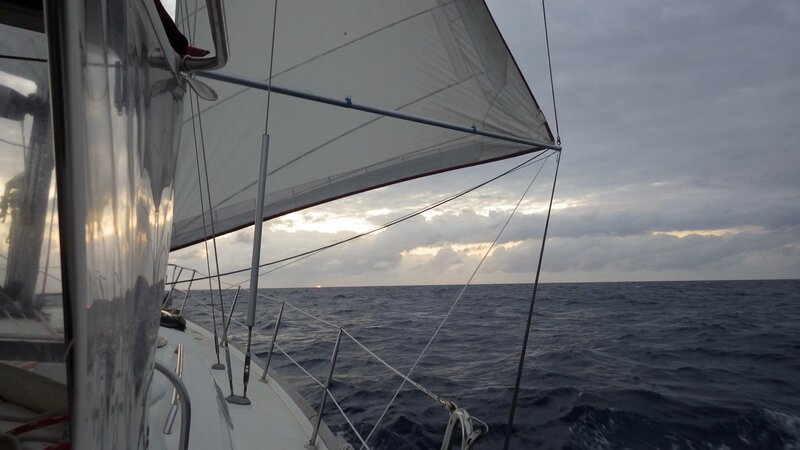 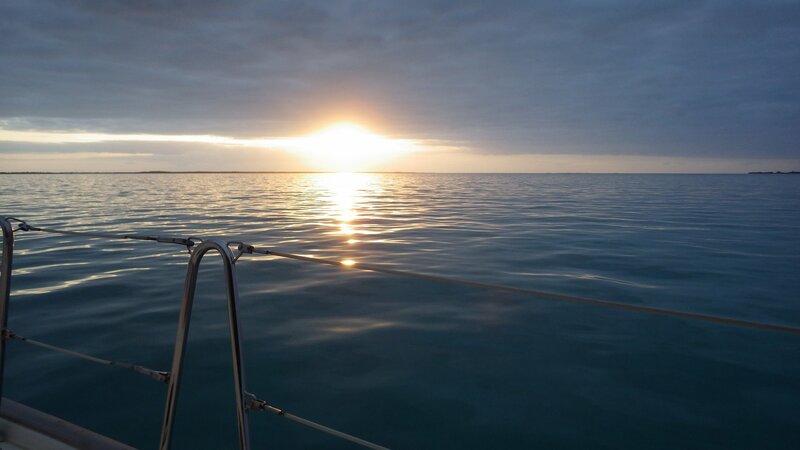 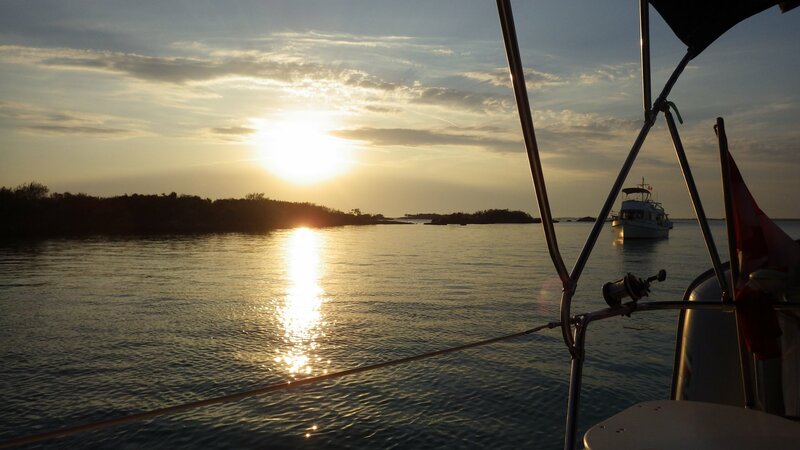 After staying few days here, we are sailing an overnight downwind passage back to Florida. 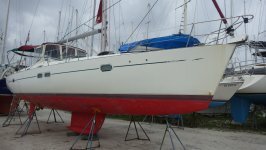 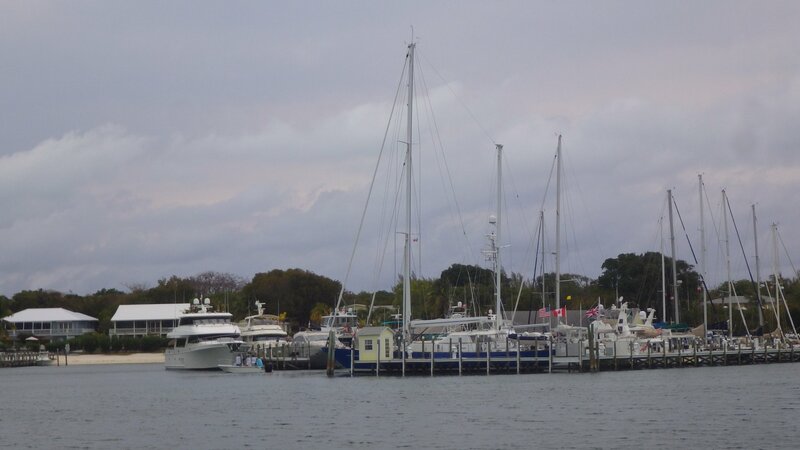 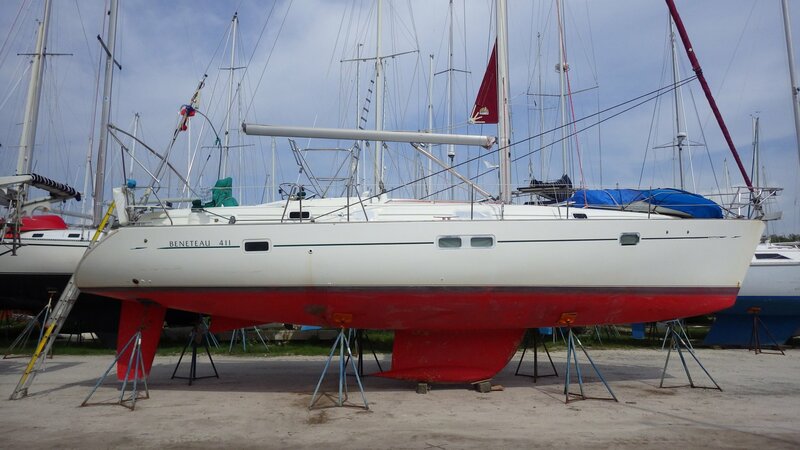 After staying several days on the anchor in the ICW waiting for haul-out, our yacht is up on the land for the season. 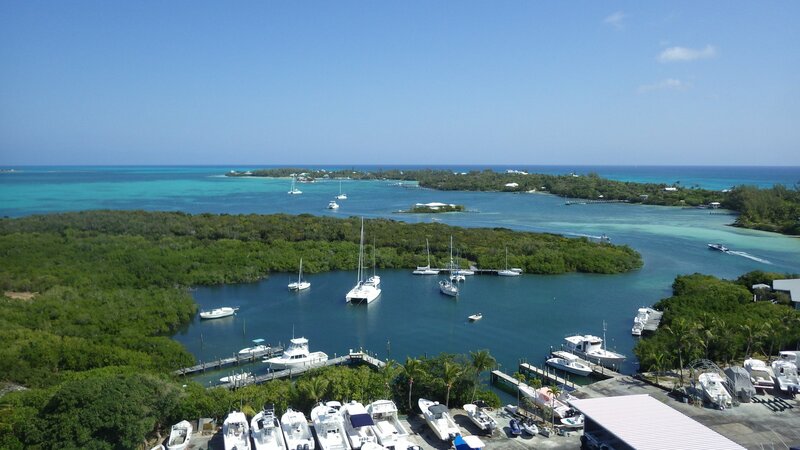 We are back home in Canada.